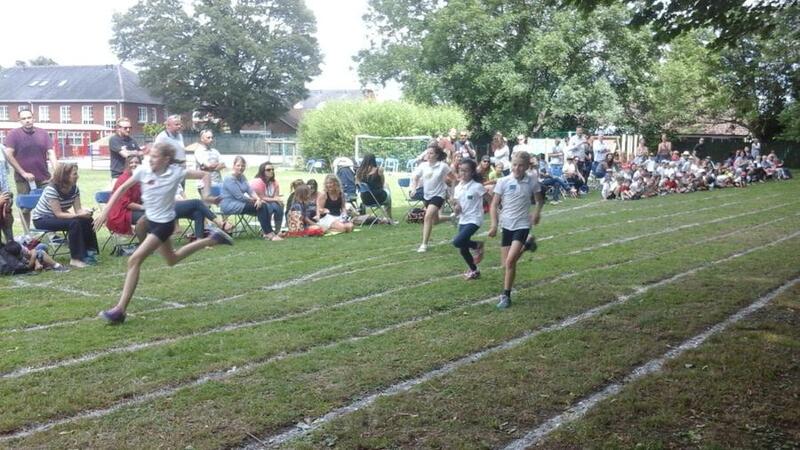 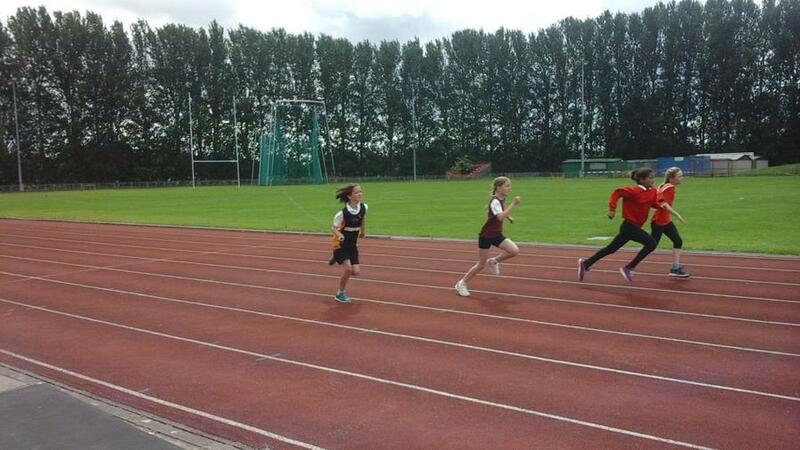 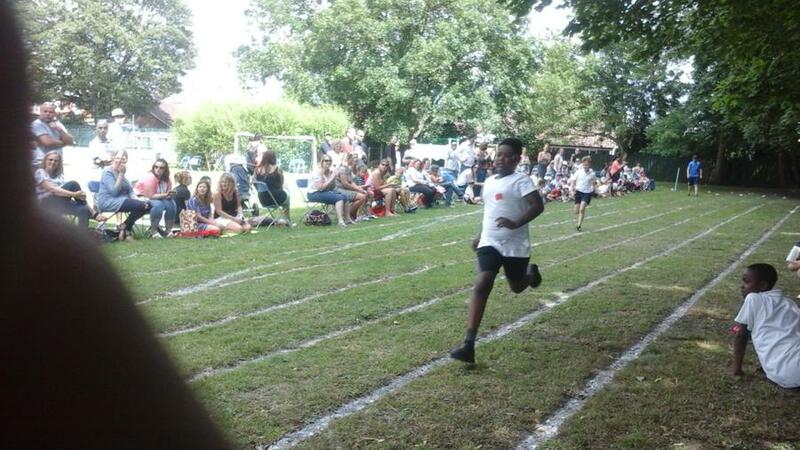 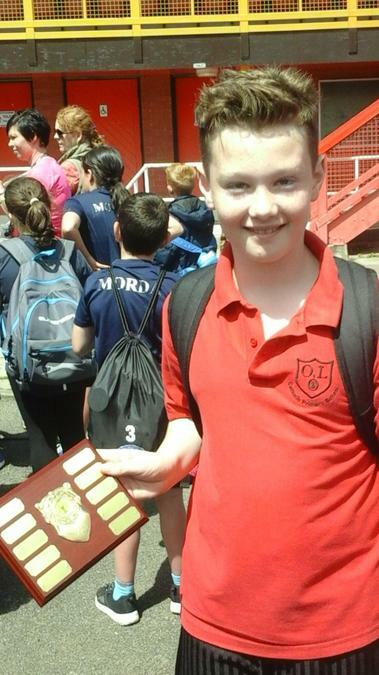 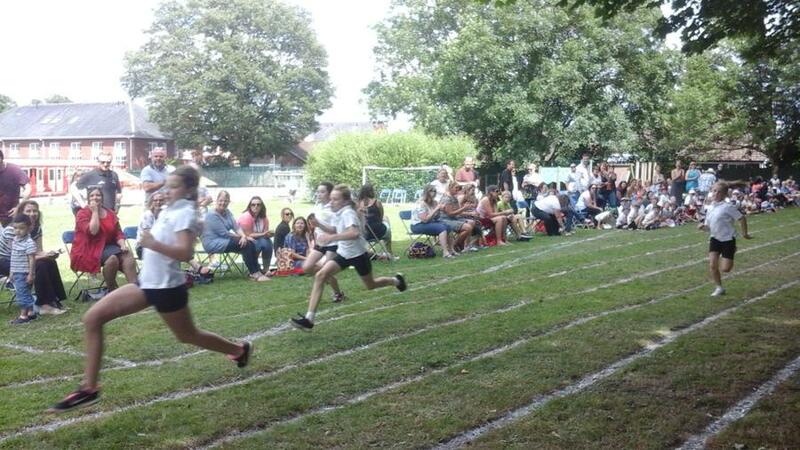 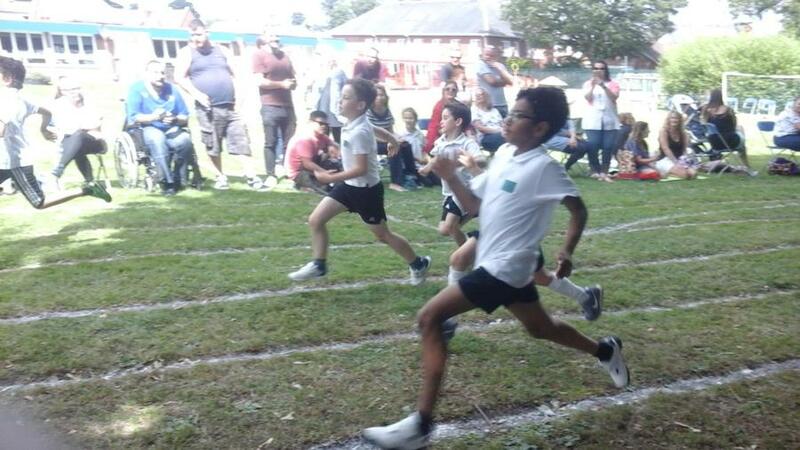 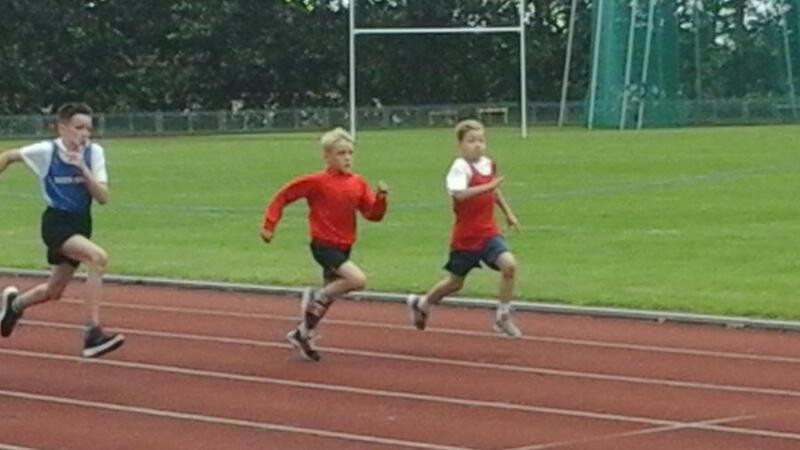 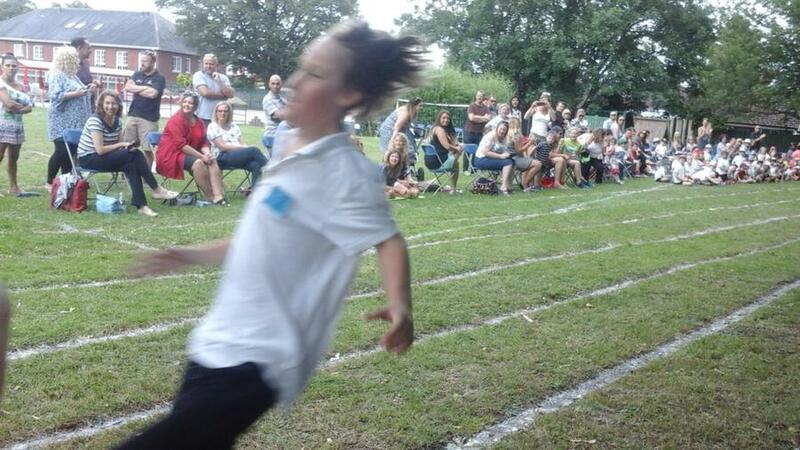 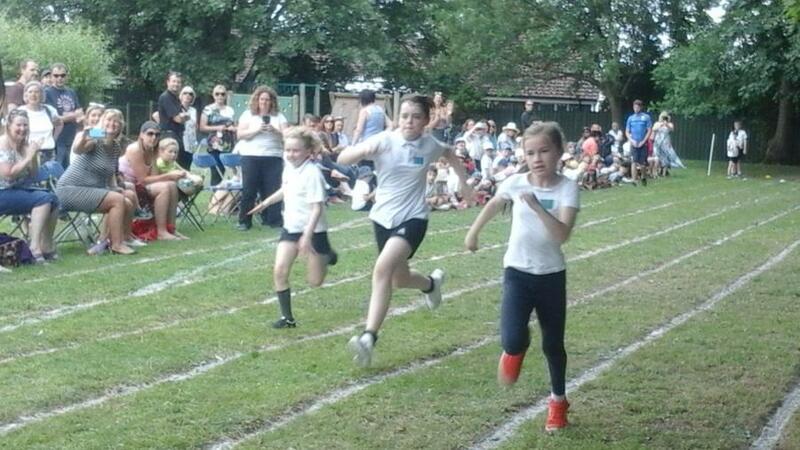 Update: Inter-House Results after Sports Day and the Swimming Gala. 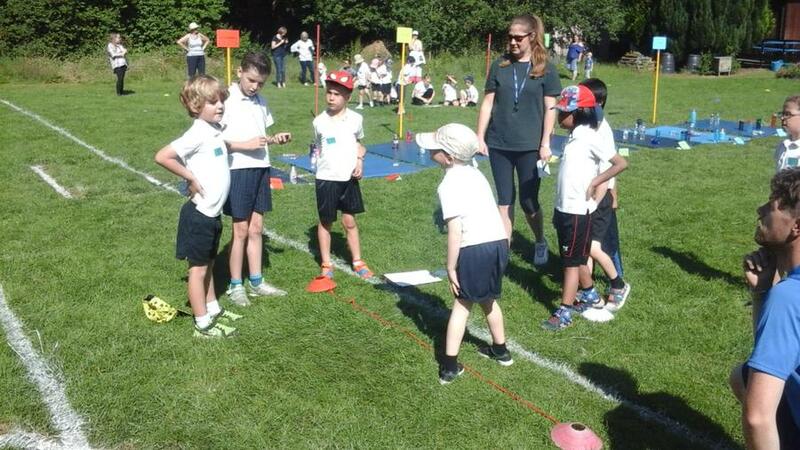 4th place - Blue with 128 points, 3rd place Green with 146 points, 2nd place Yellow with 158 points and 1st place Red with 178 points. 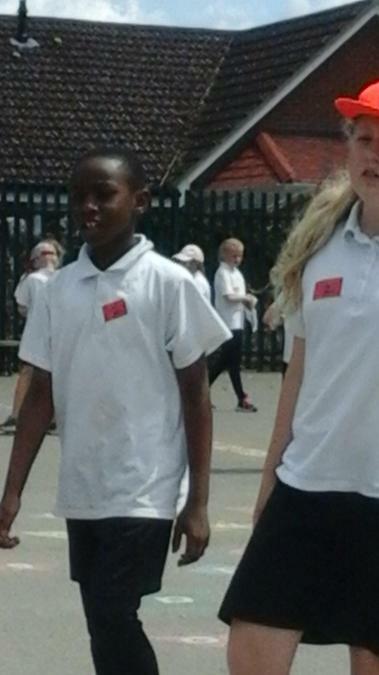 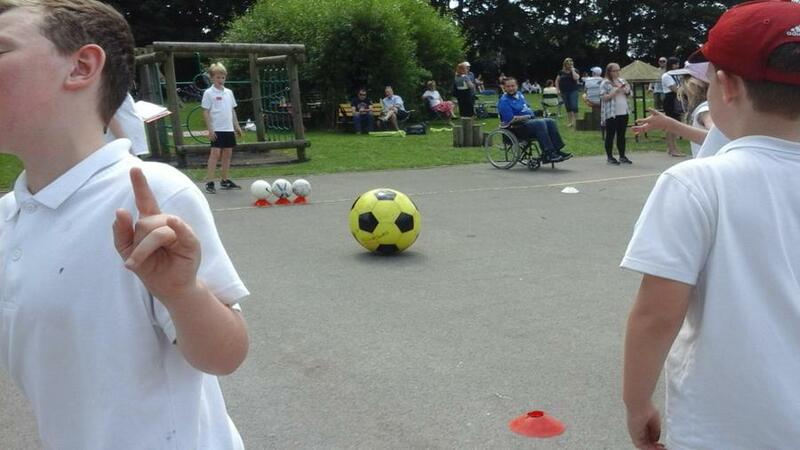 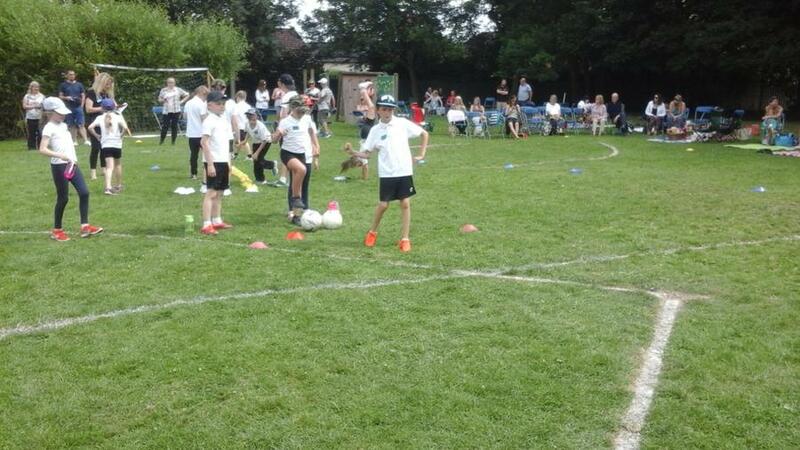 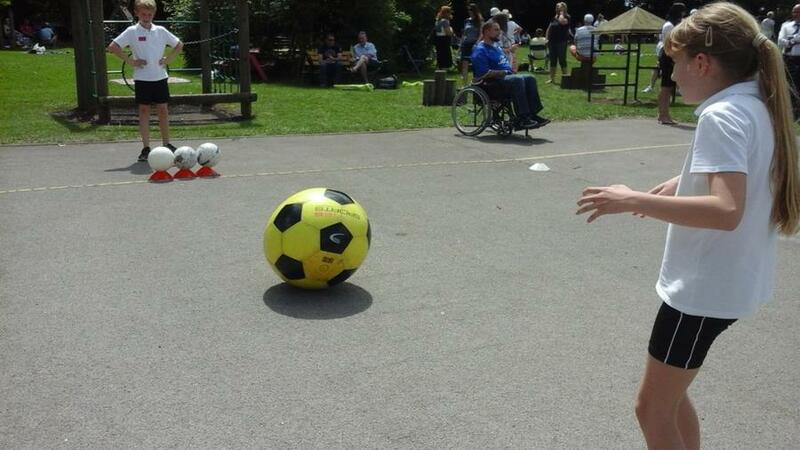 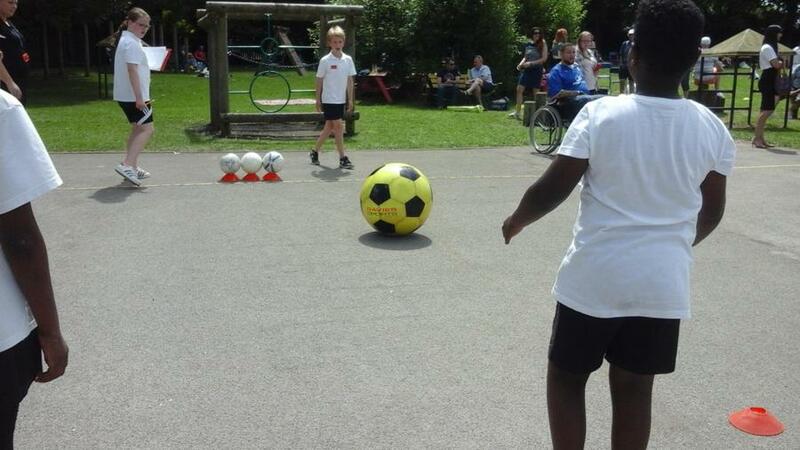 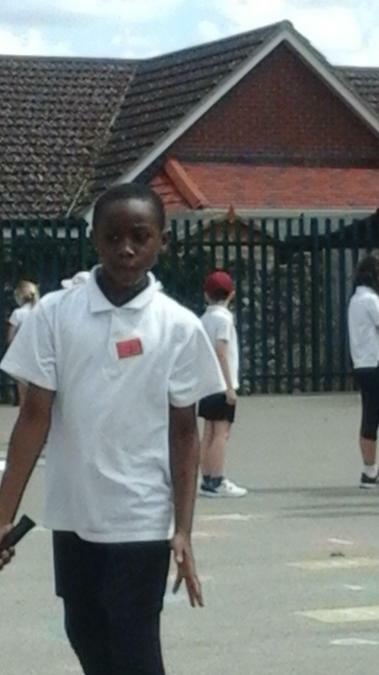 We took two teams to the KS2 Footbal Tournament at Gobowen. 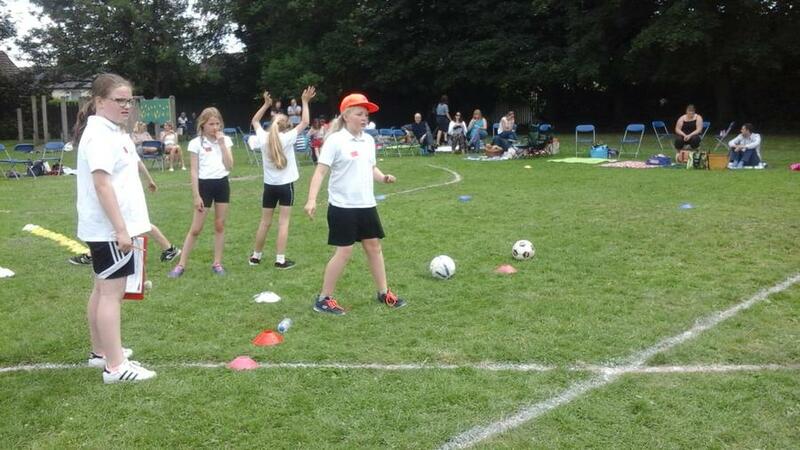 The A team won 2 games and drew one to finish joint 1st (2nd on goal difference!) 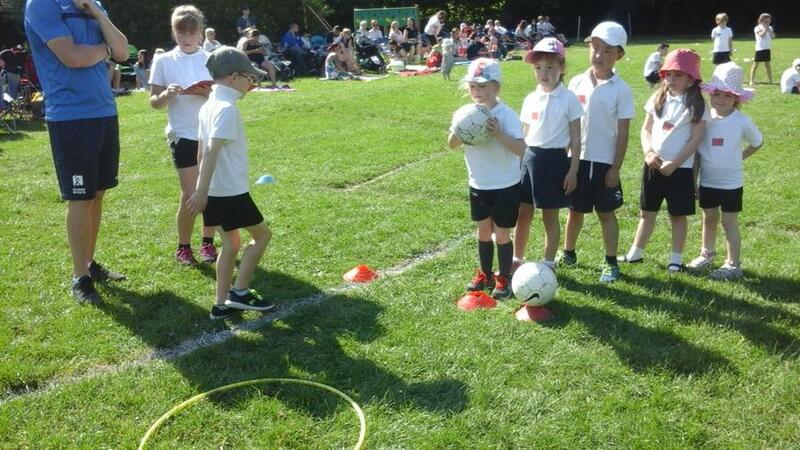 whilst the B Team lost their first game but then won the next 2 to finish 2nd in their group. 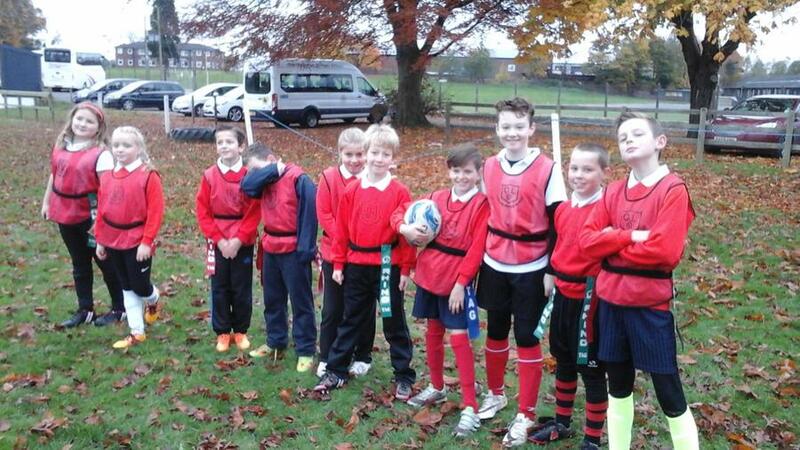 Both team played some very good football and showed great team work. 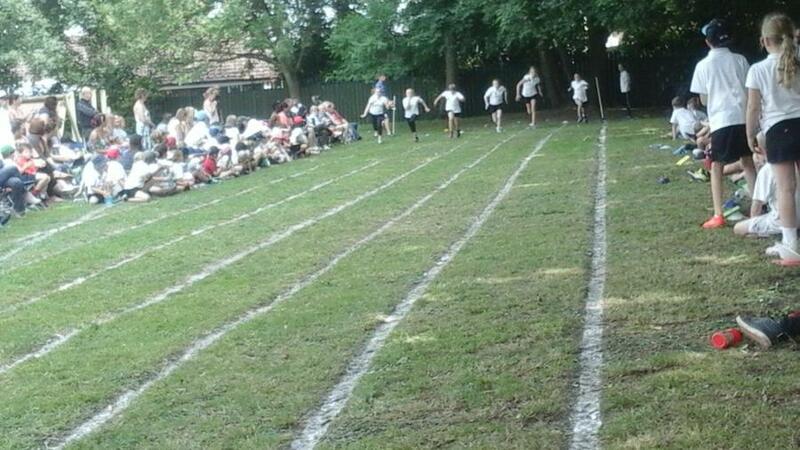 Well Done!! 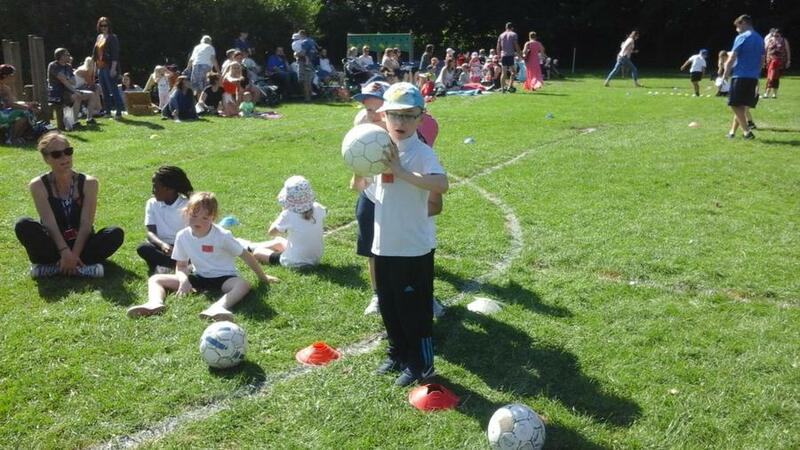 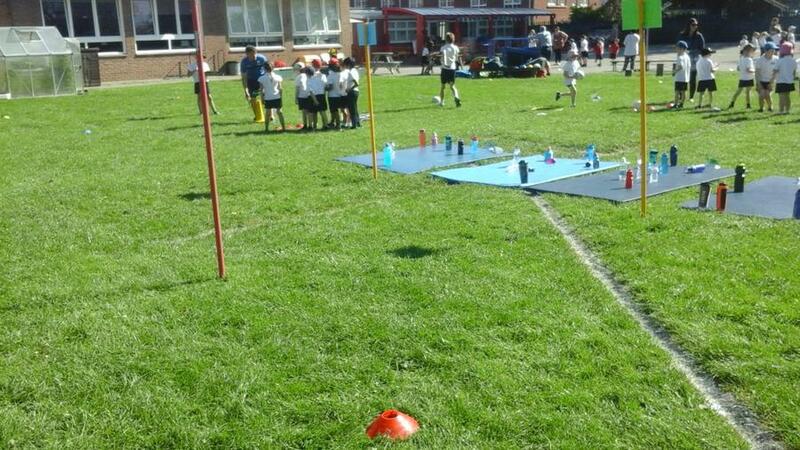 The sun was shining and so many parents and carers came to join us. 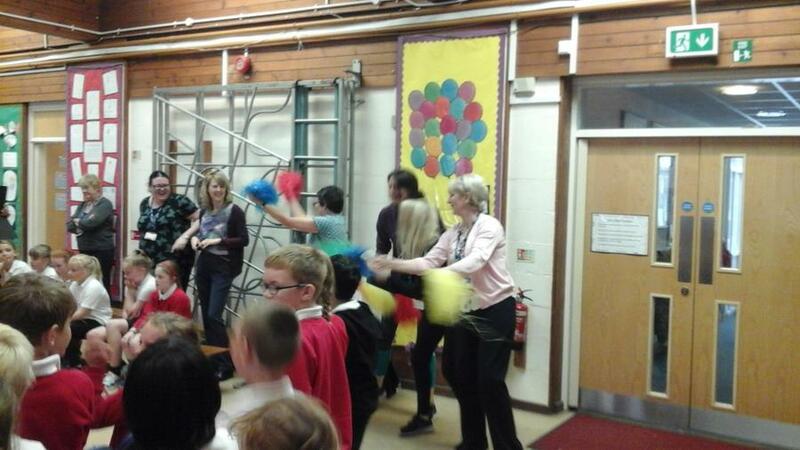 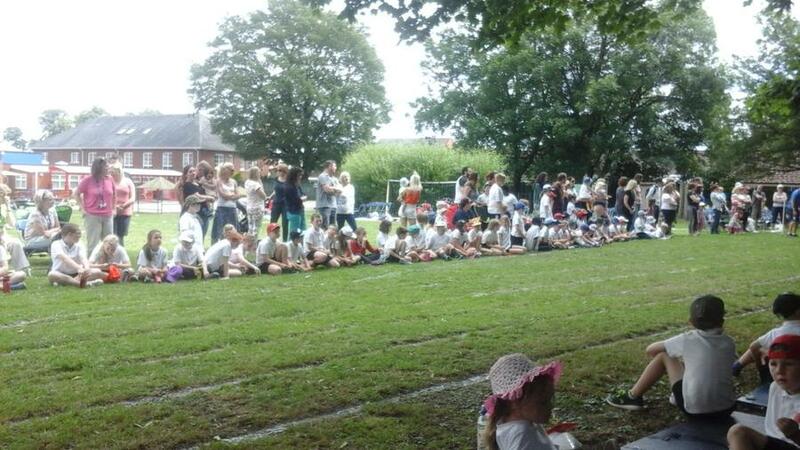 I am sure you will all agree the children had a lovely day and the atmosphere was wonderful! 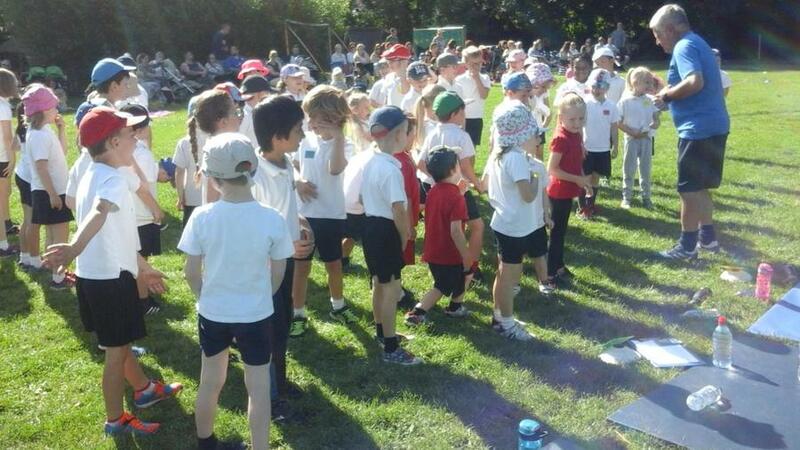 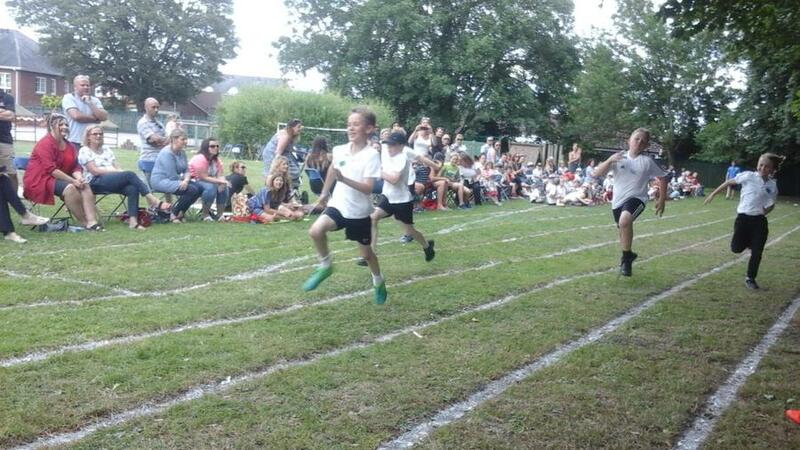 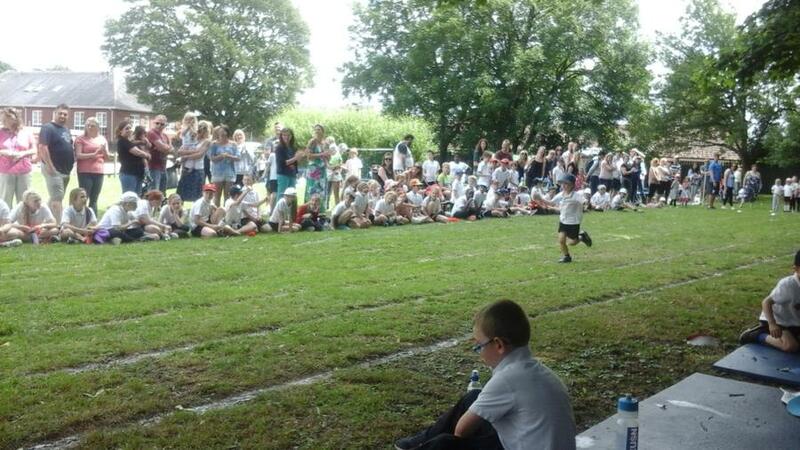 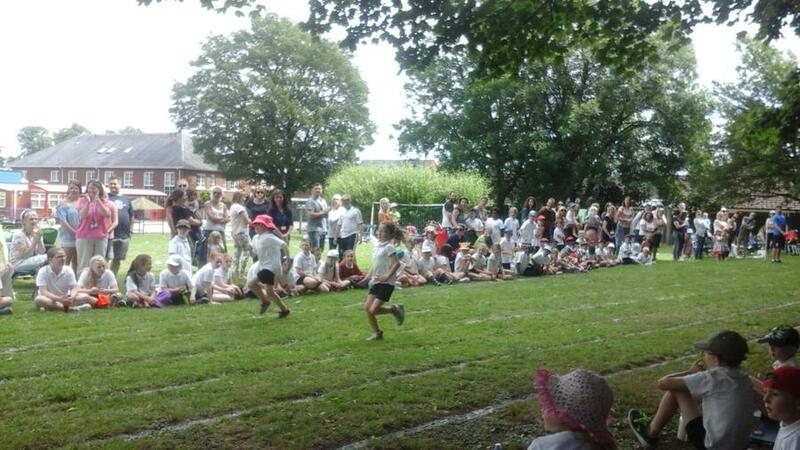 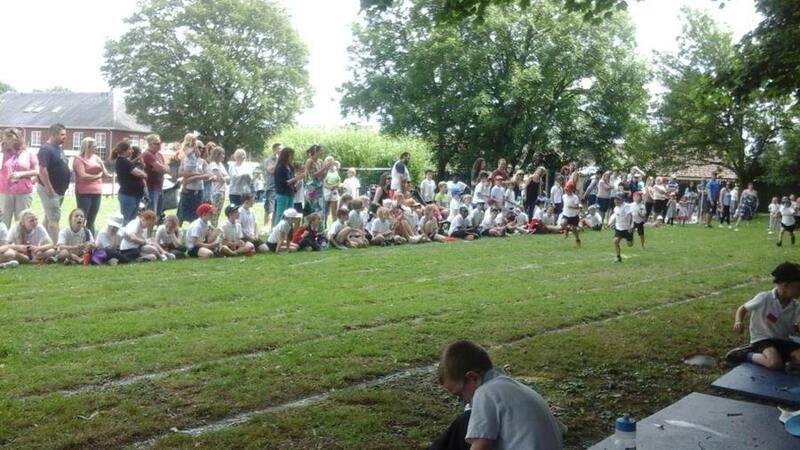 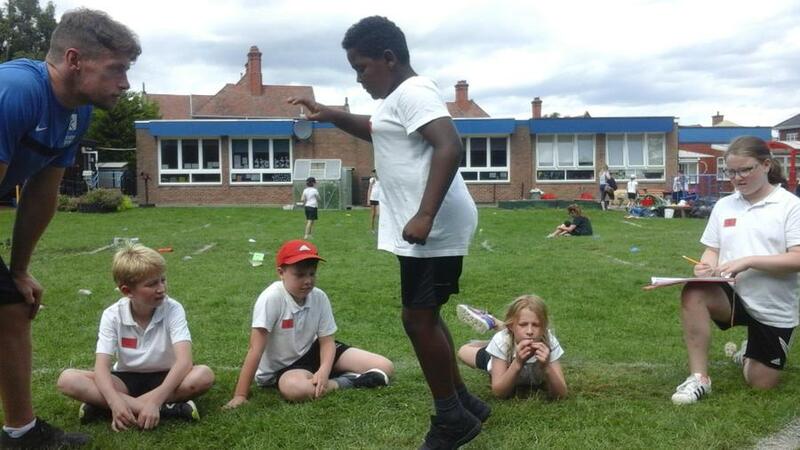 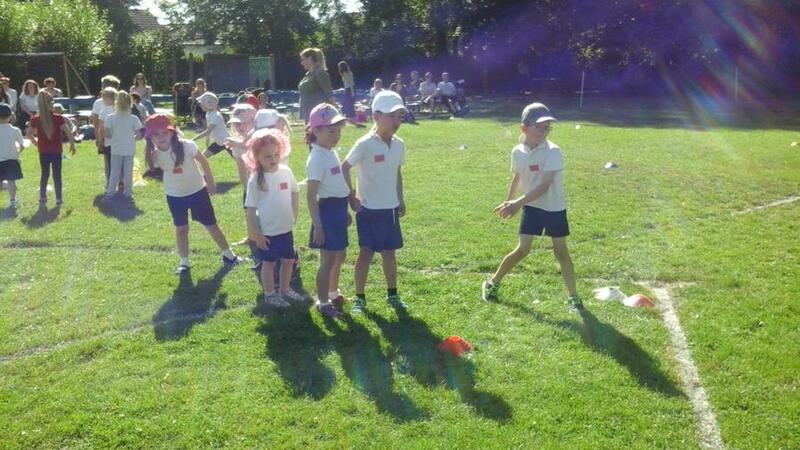 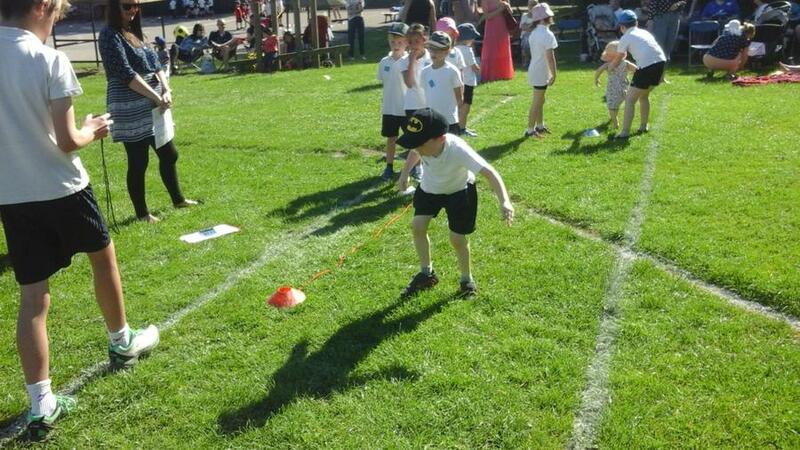 KS1 completed all their events to gain points for their houses and then competed in their races including a longer distance race this year! 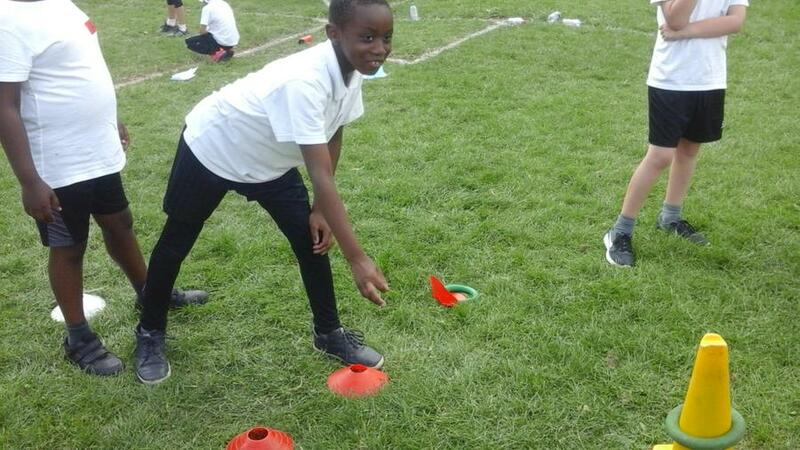 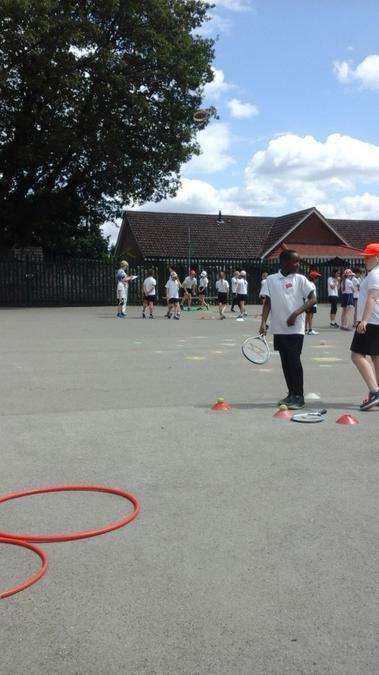 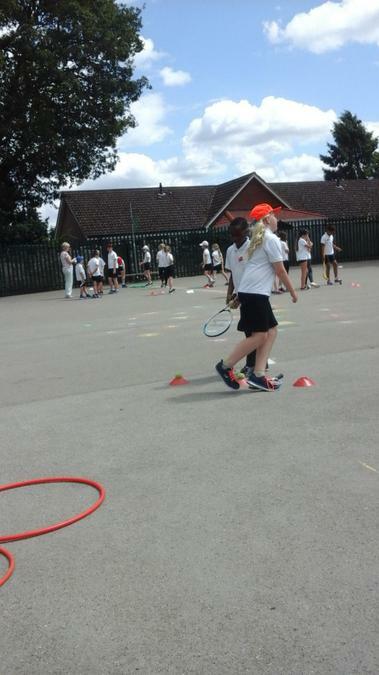 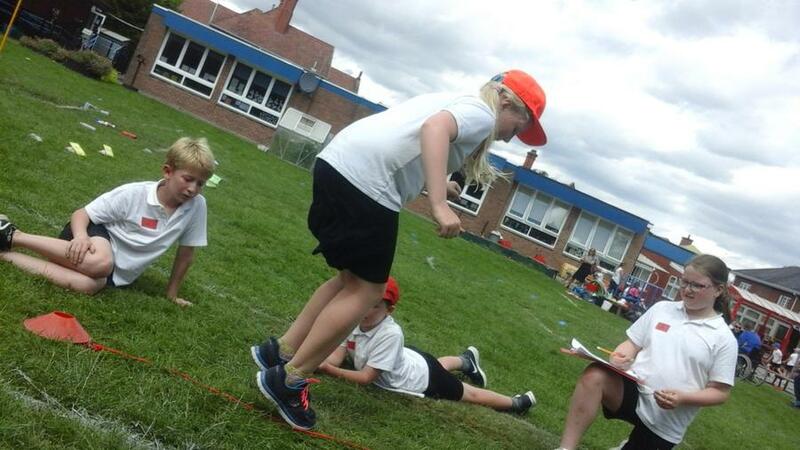 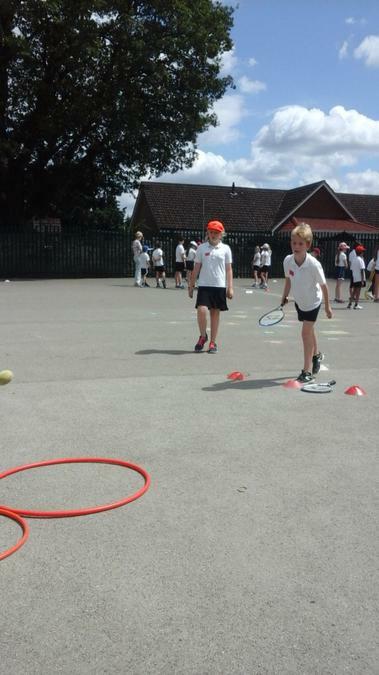 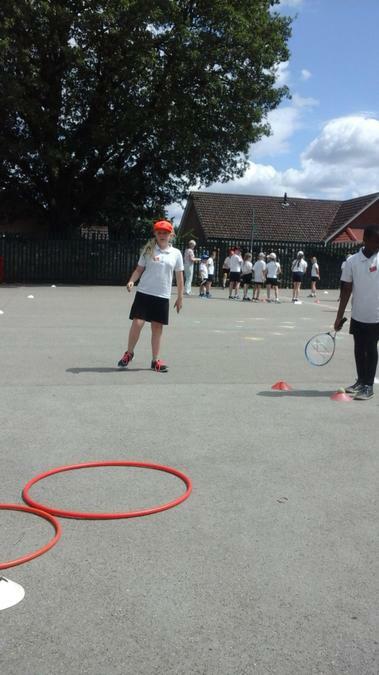 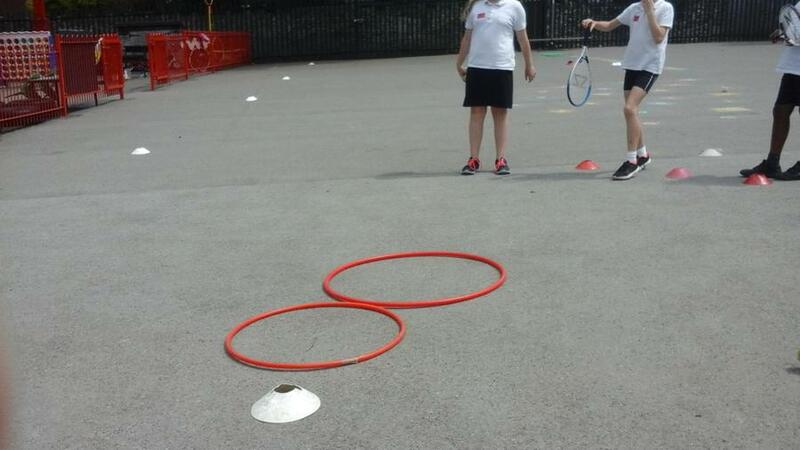 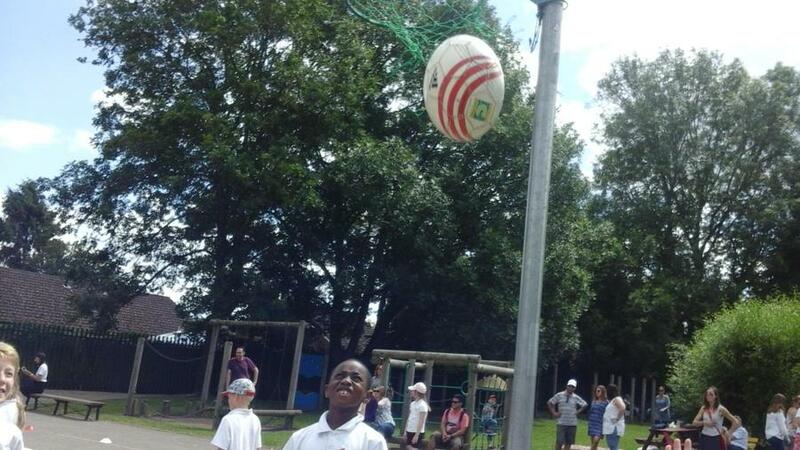 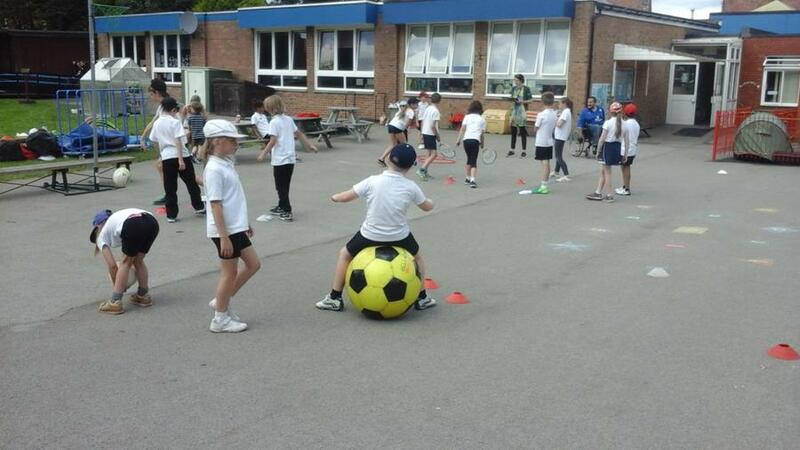 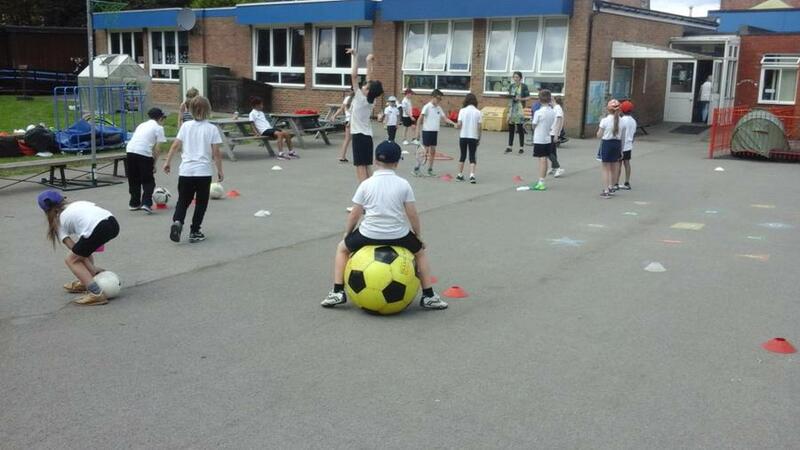 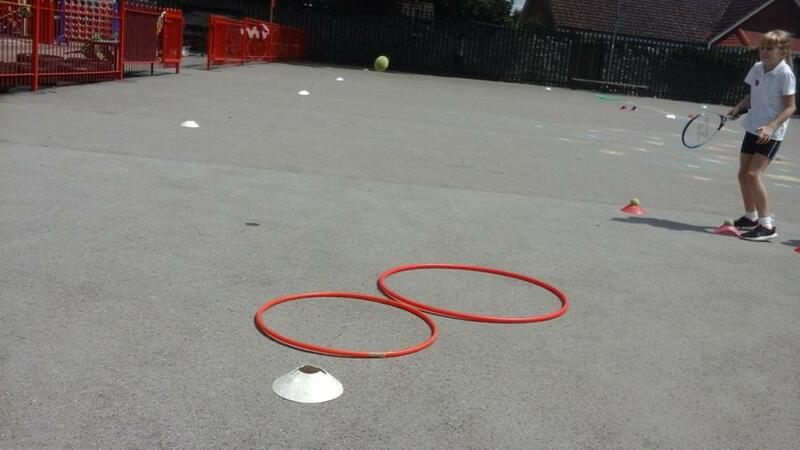 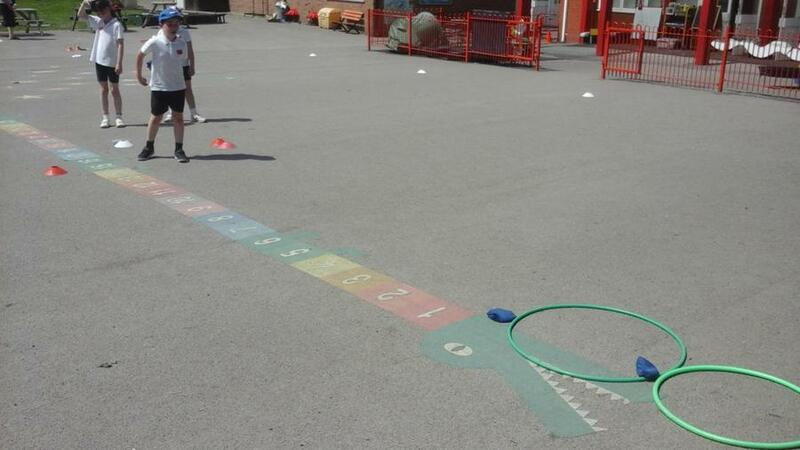 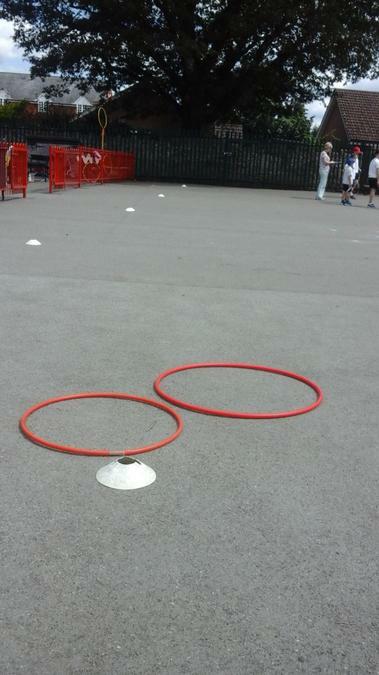 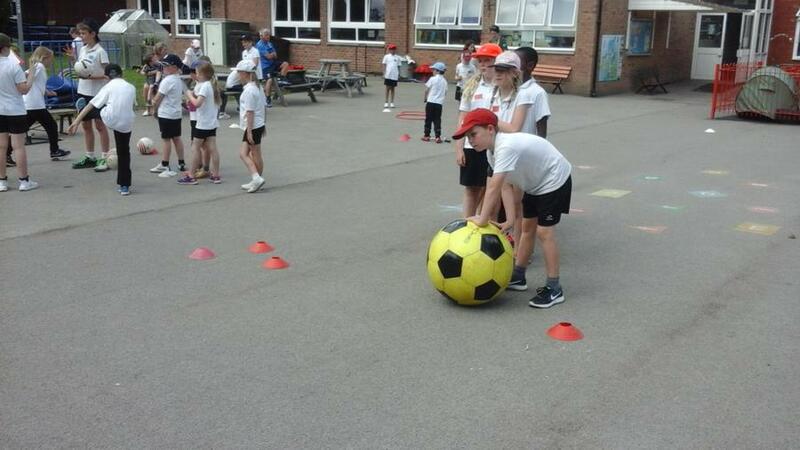 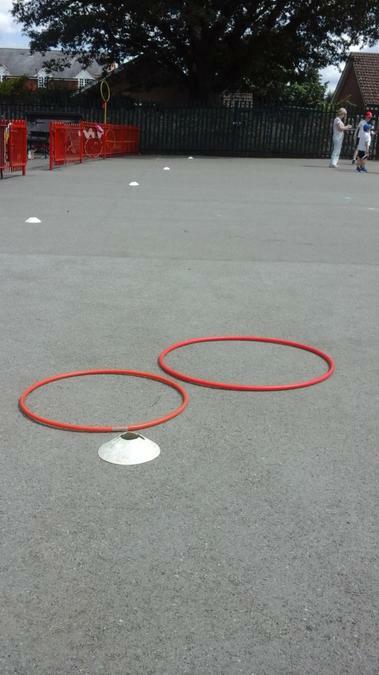 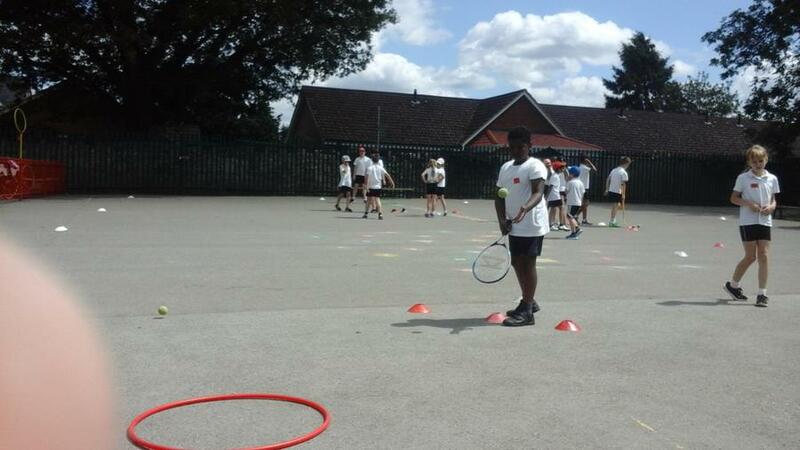 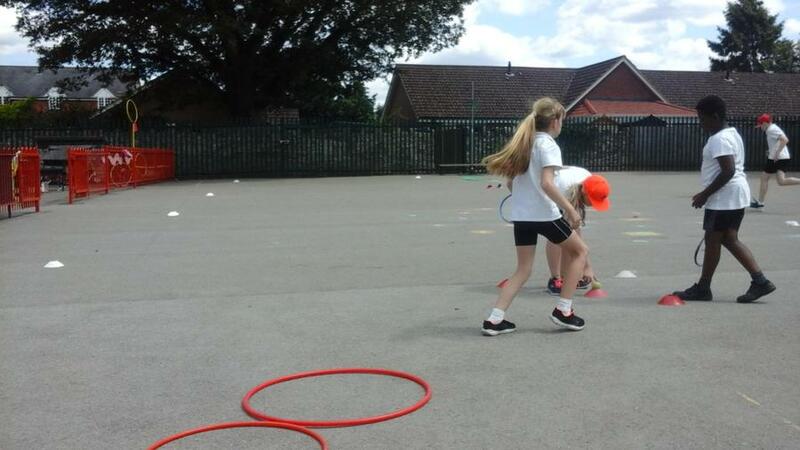 After a very enjoyable picnic lunch it was the turn of KS2 to complete the activities to gain points for their houses. 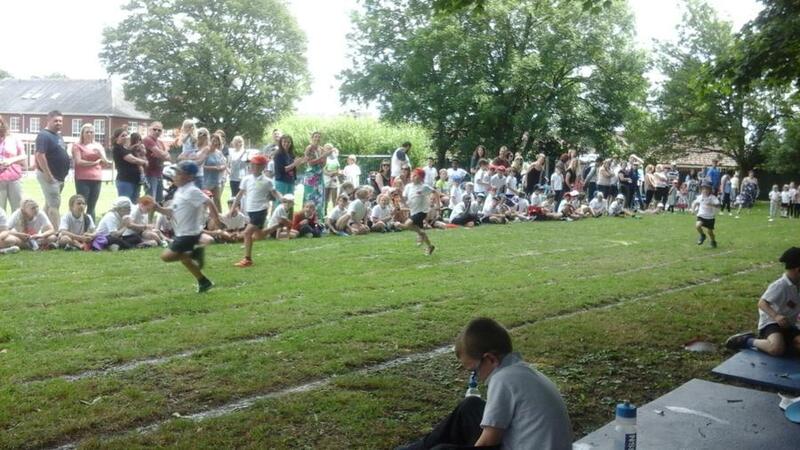 Points after KS1 4th- Yellow 754, 3rd -Red 760, 2nd- Blue 813 and Green in the lead with 853. 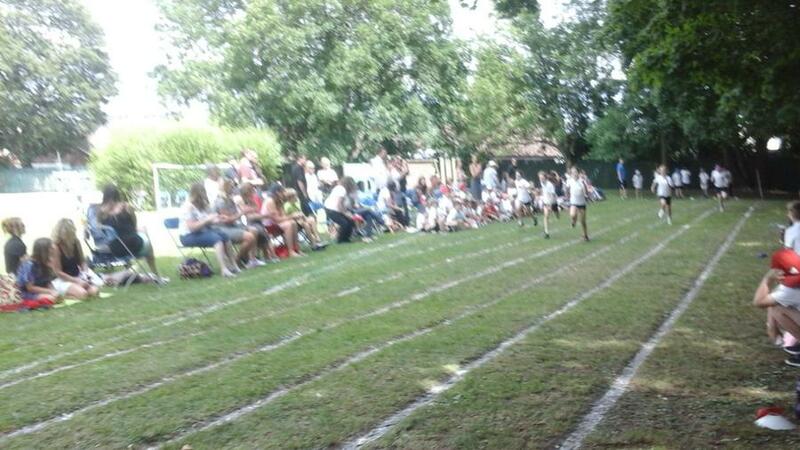 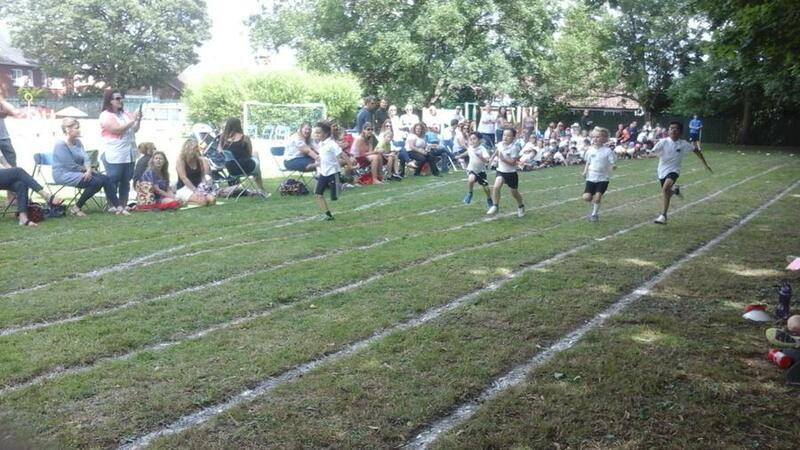 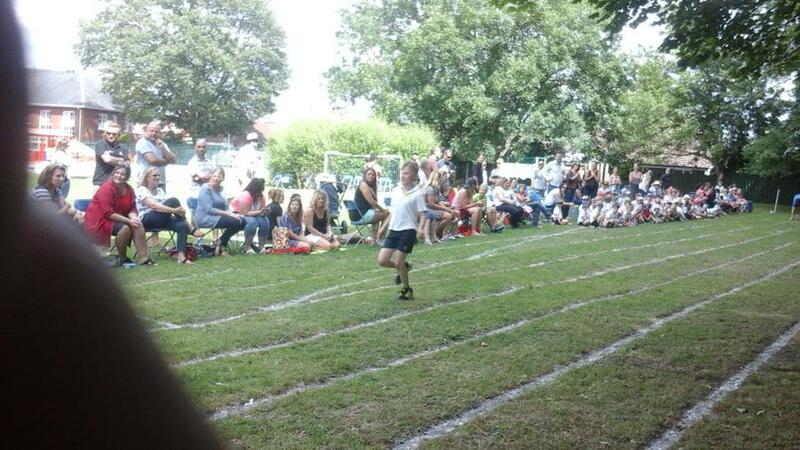 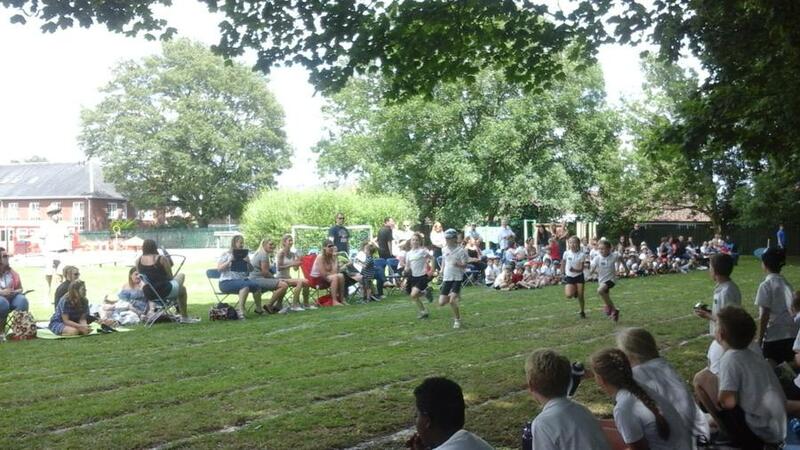 Points after KS2 4th -Green 1118.5, 3rd- Yellow 1152, 2nd- Red 1159 and Blue in the lead with 1169. 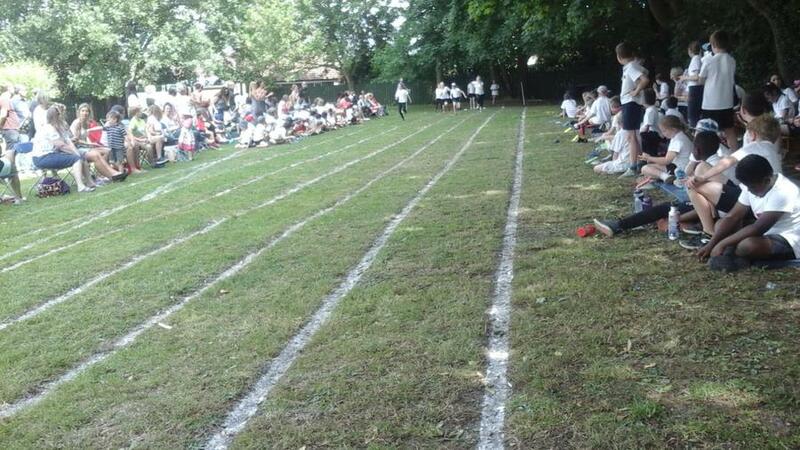 Final Scores 1st Blue 1982, 2nd Green 1971.5, 3rd Red 1919 and 4th Yellow 1906. 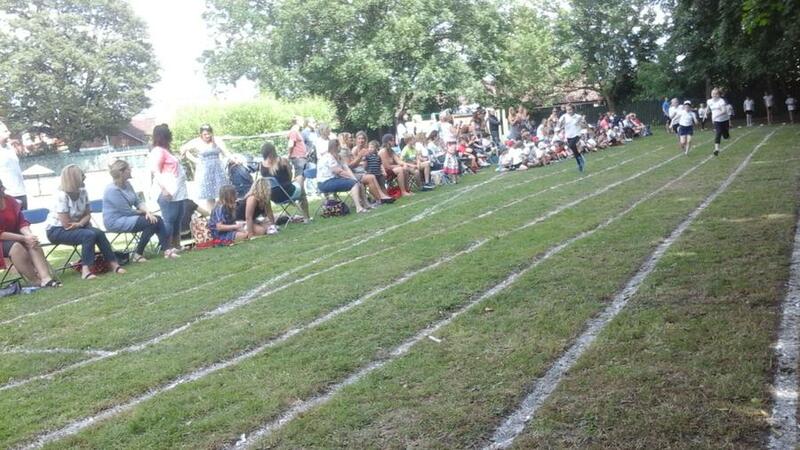 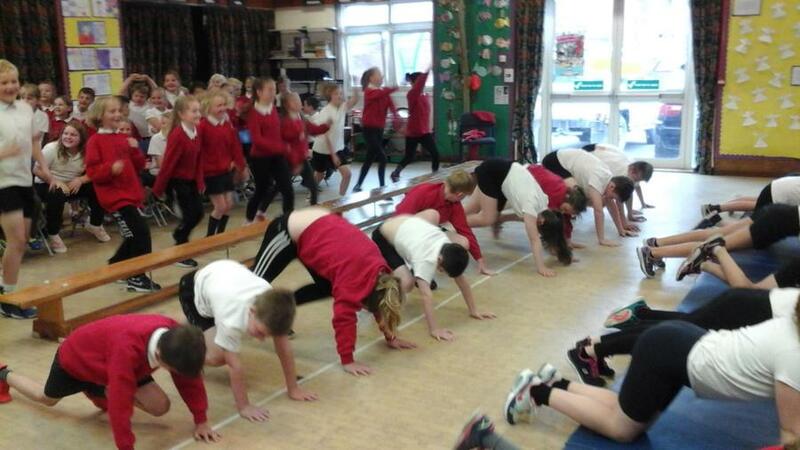 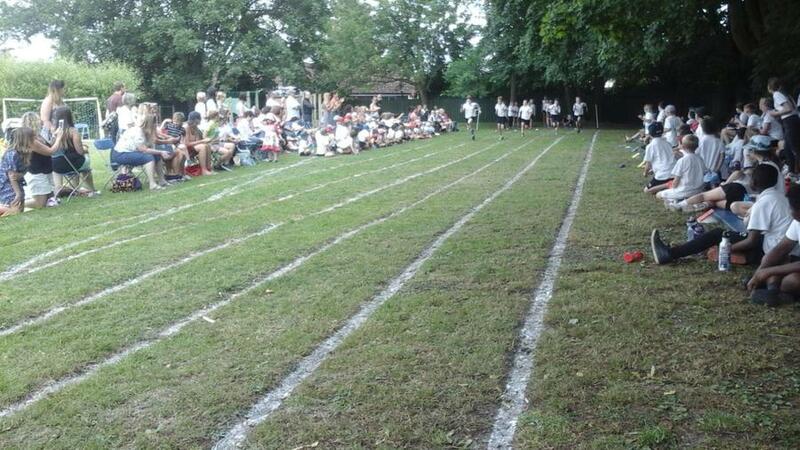 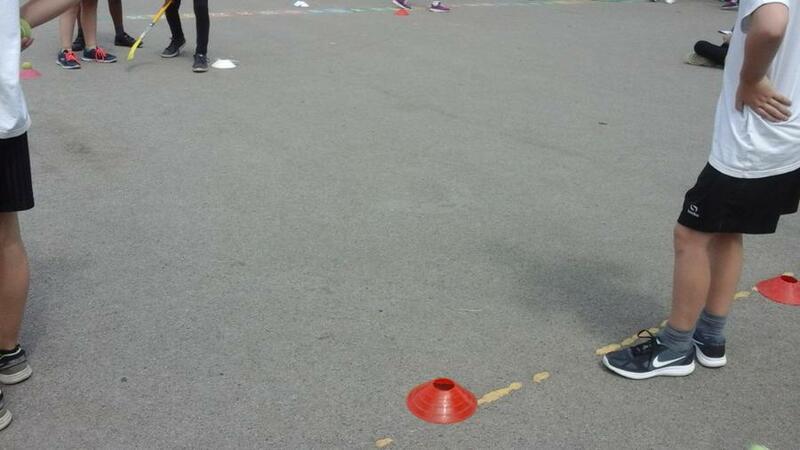 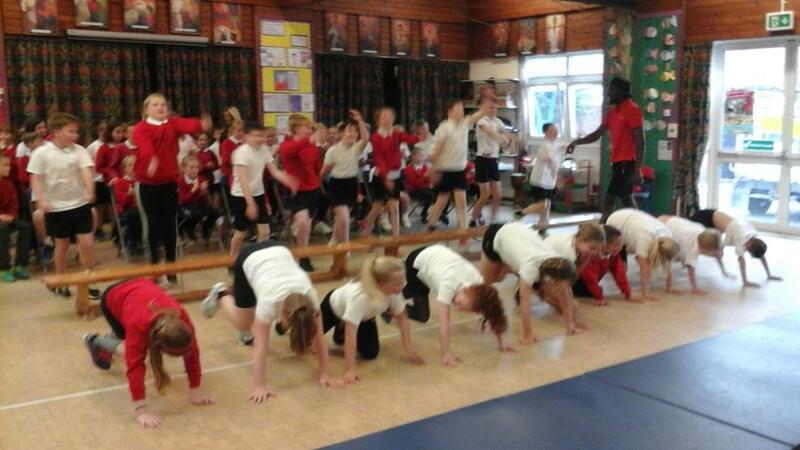 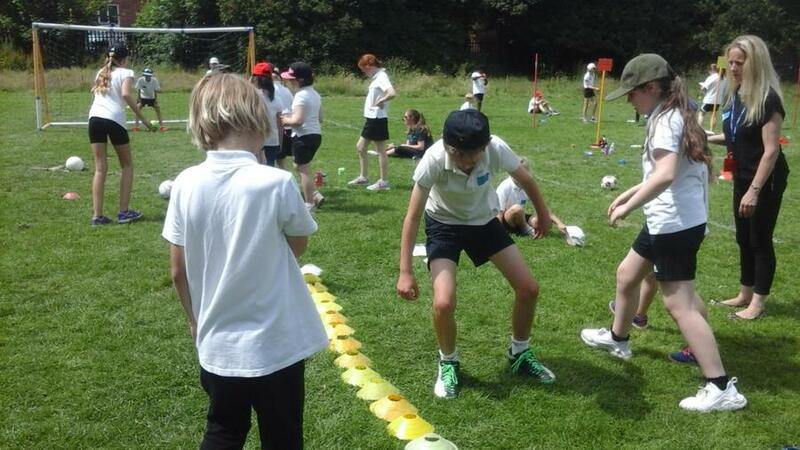 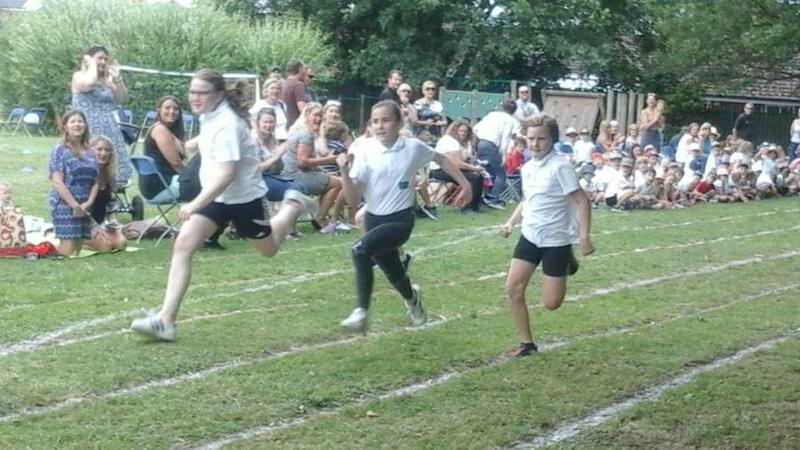 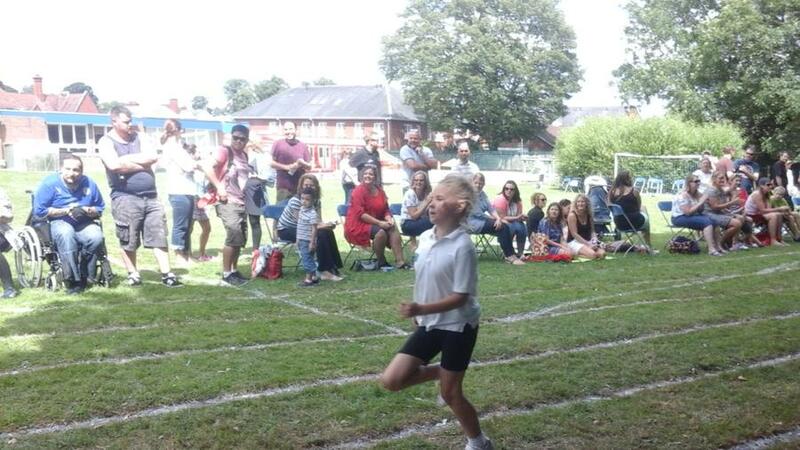 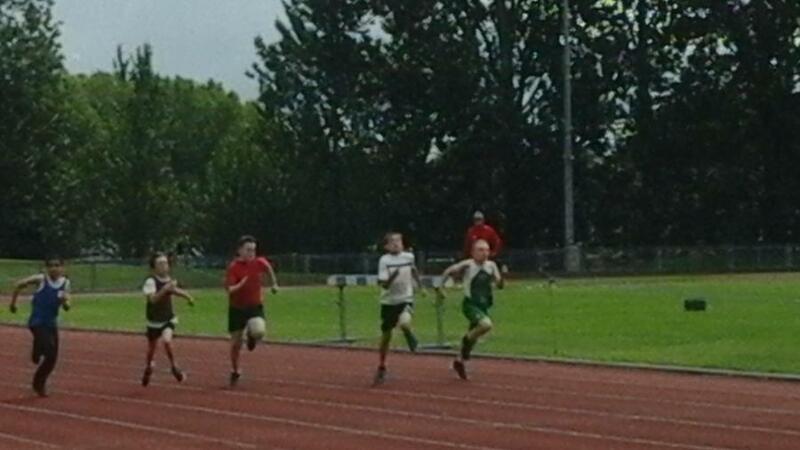 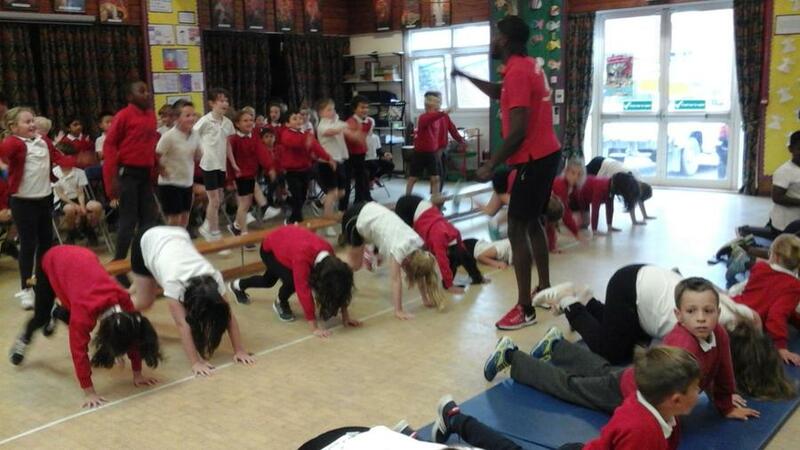 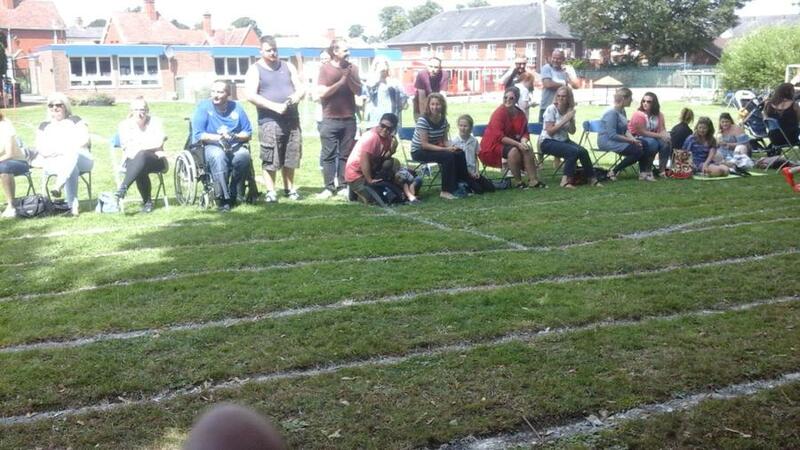 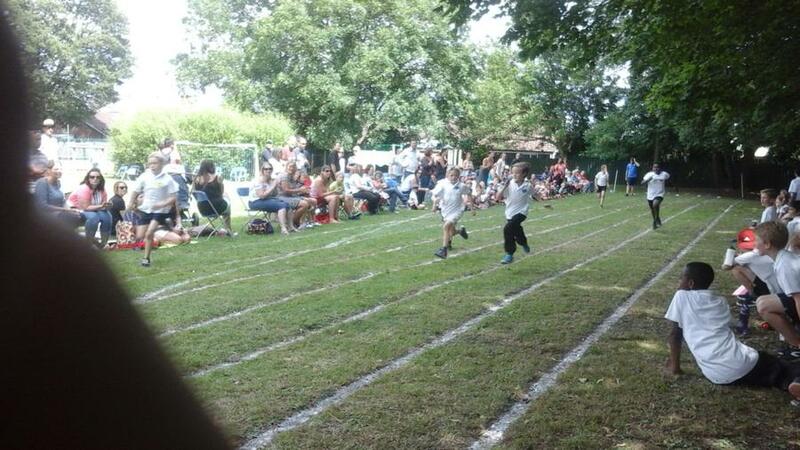 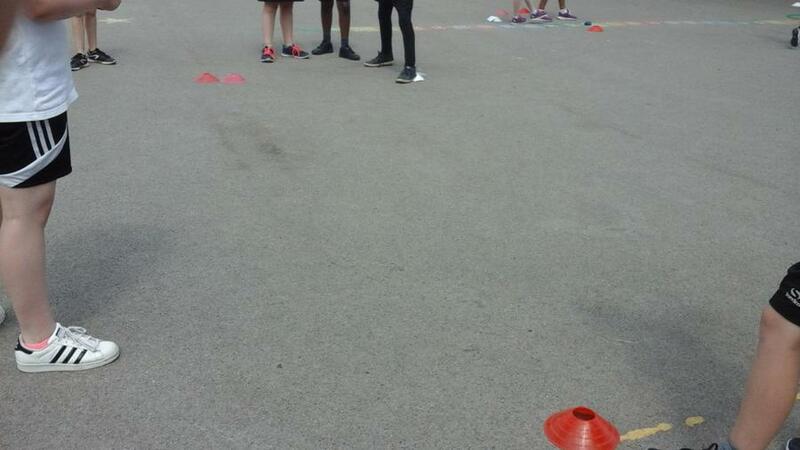 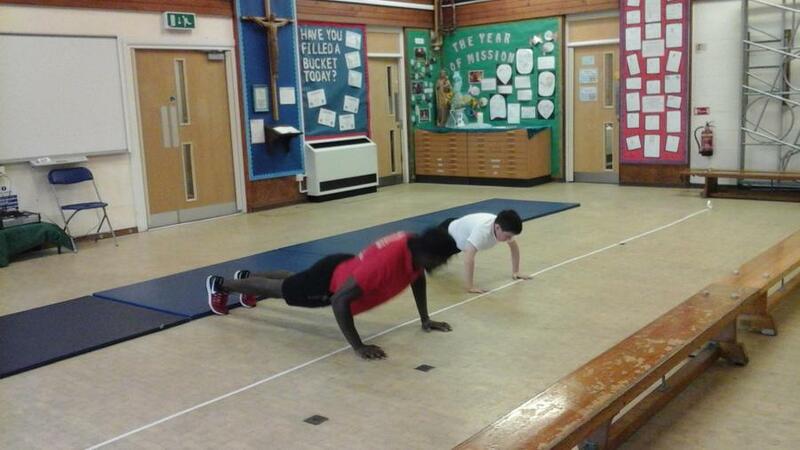 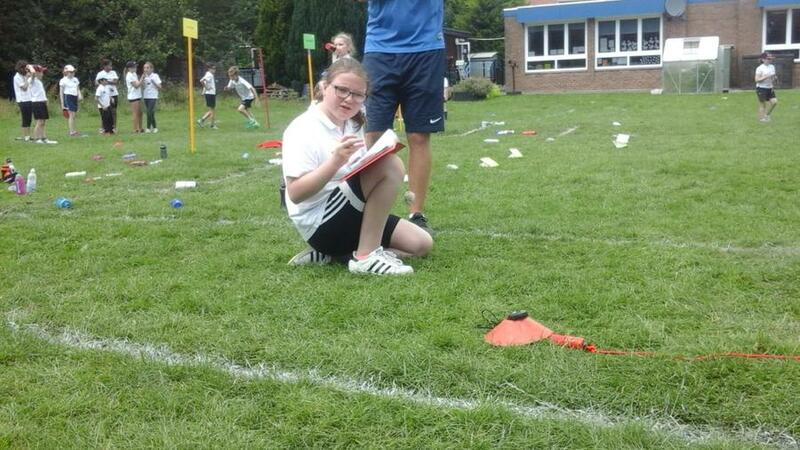 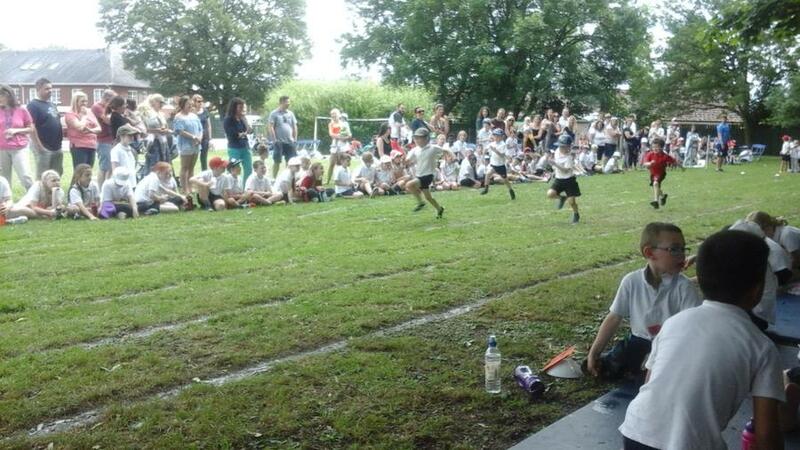 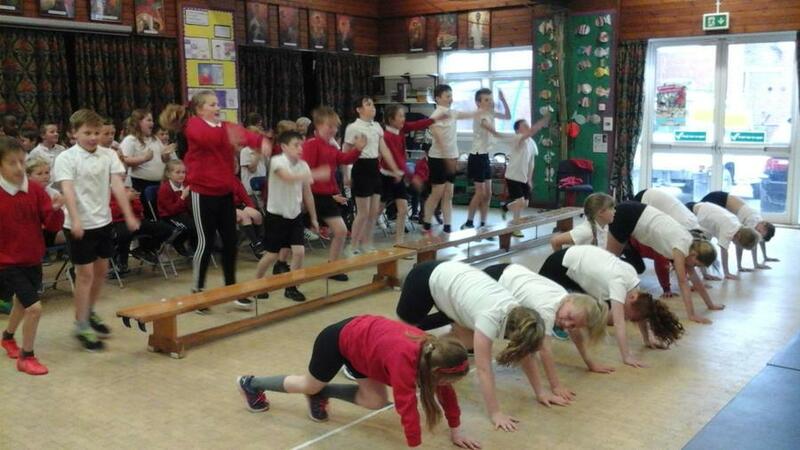 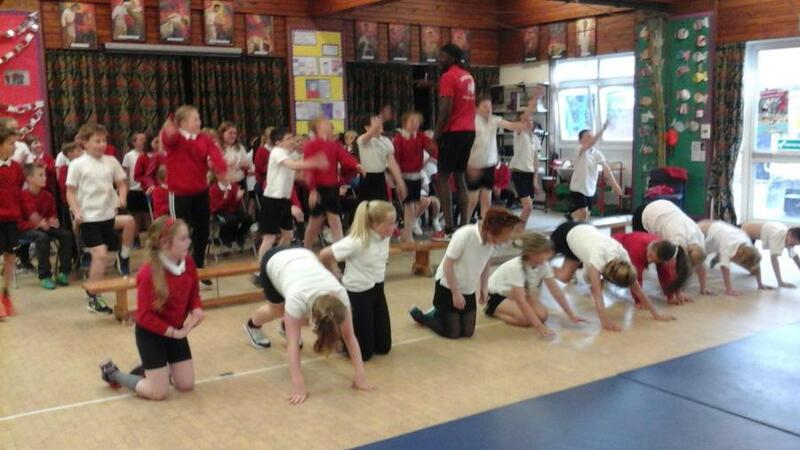 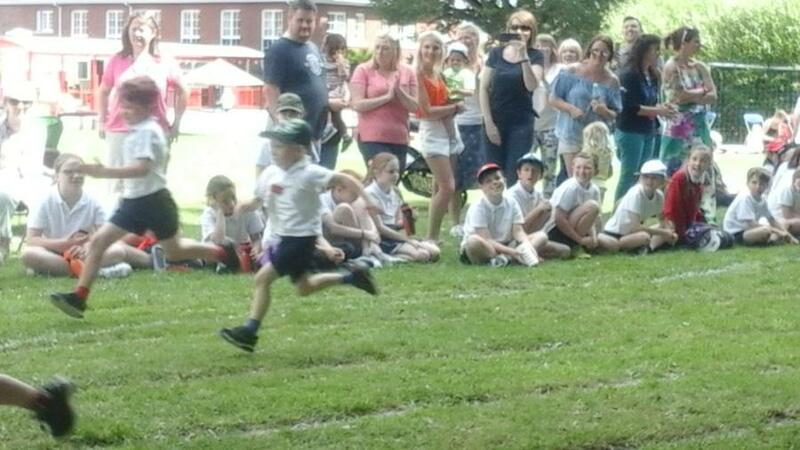 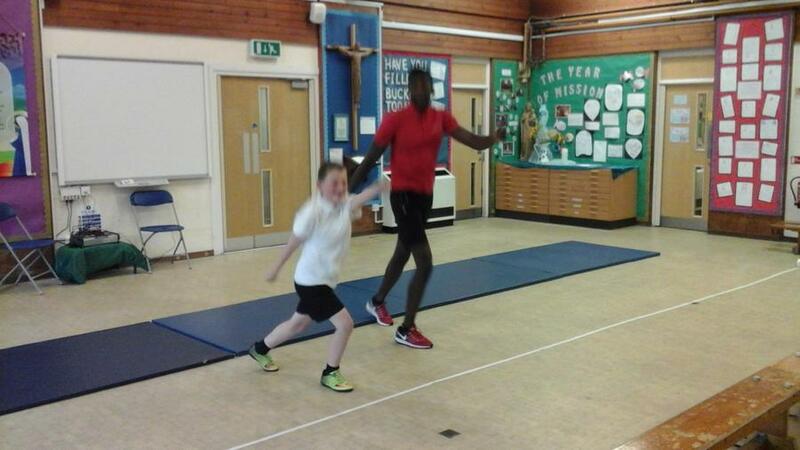 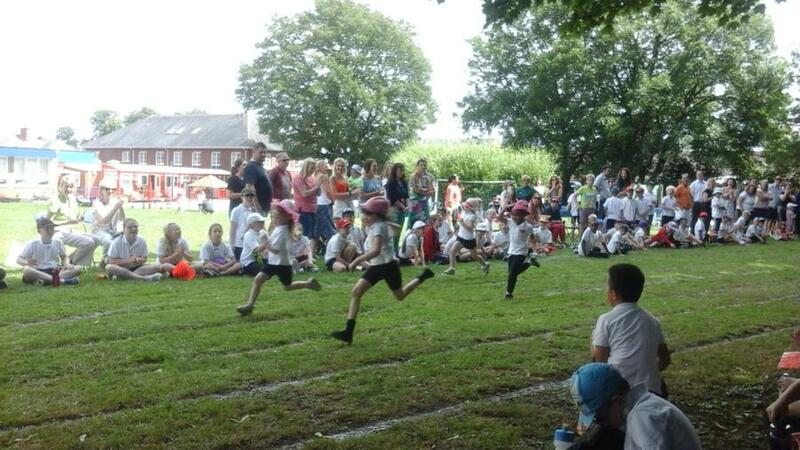 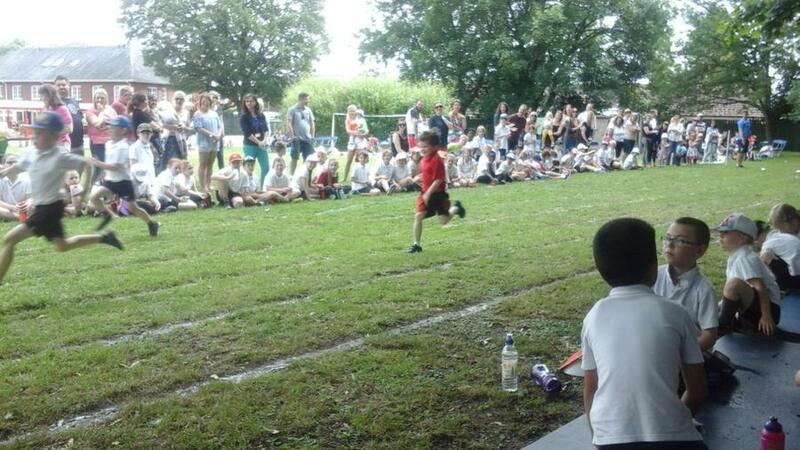 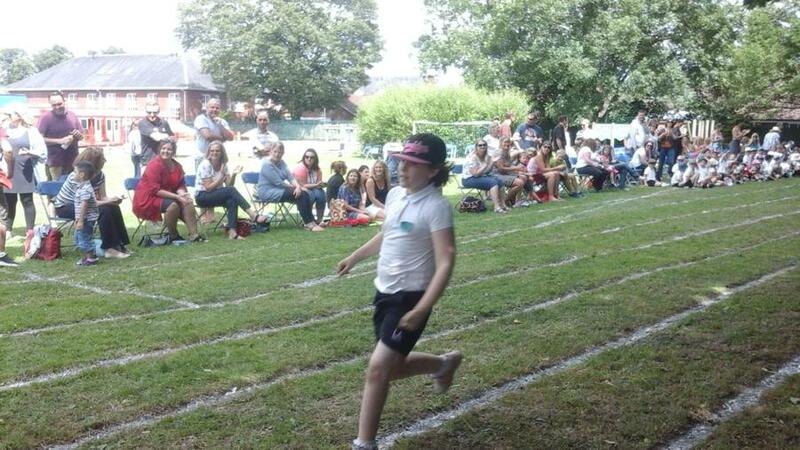 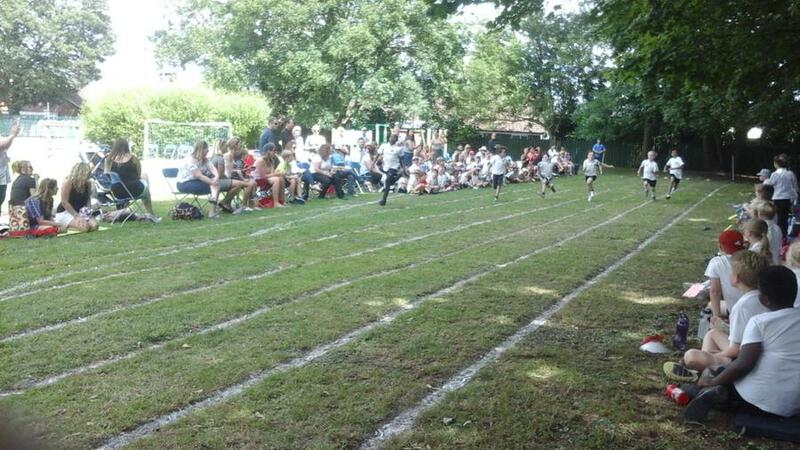 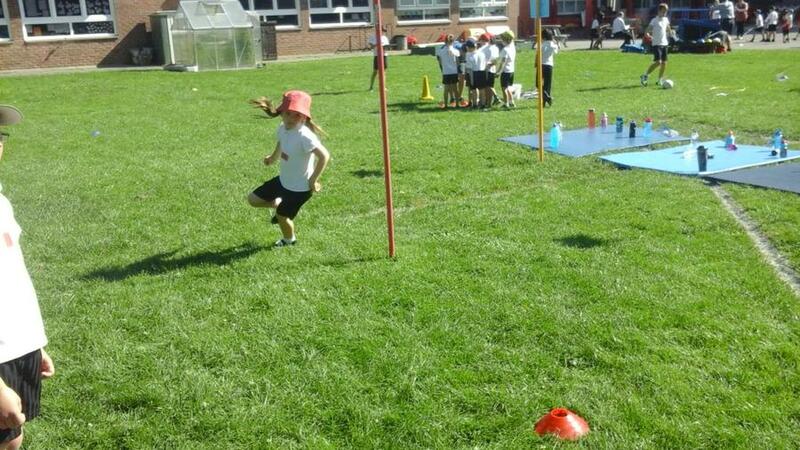 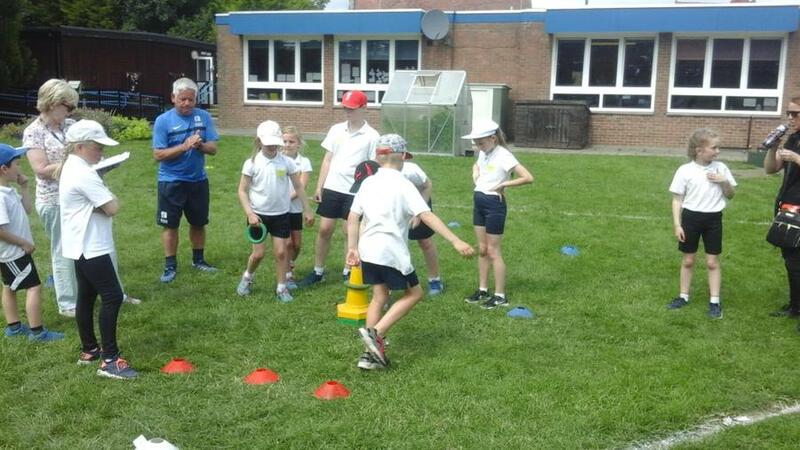 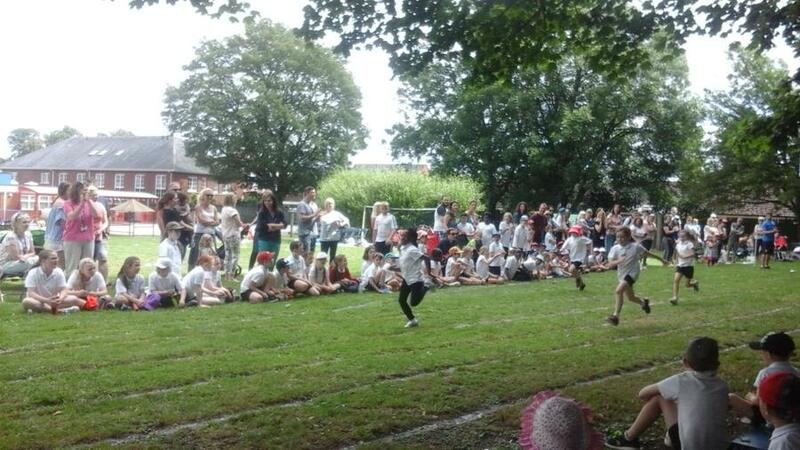 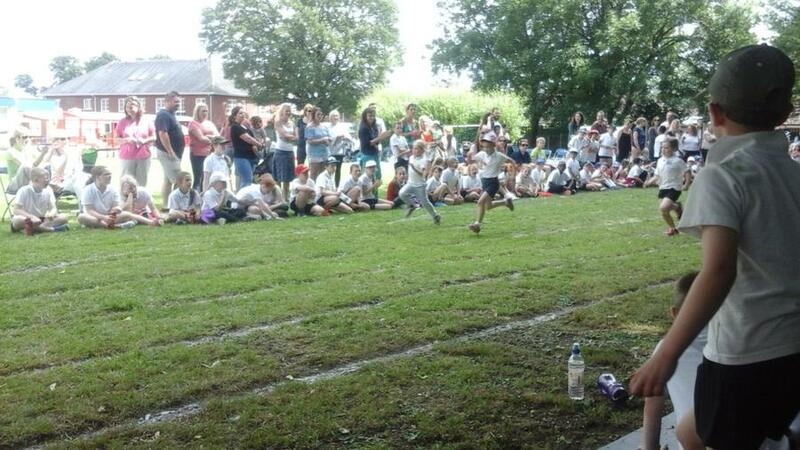 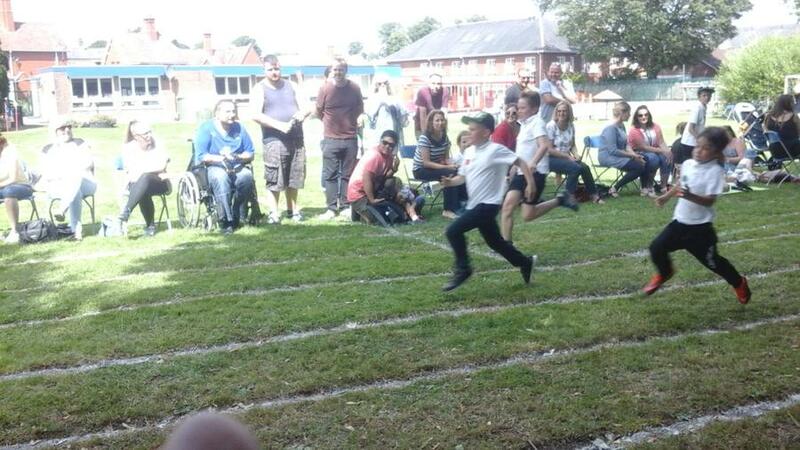 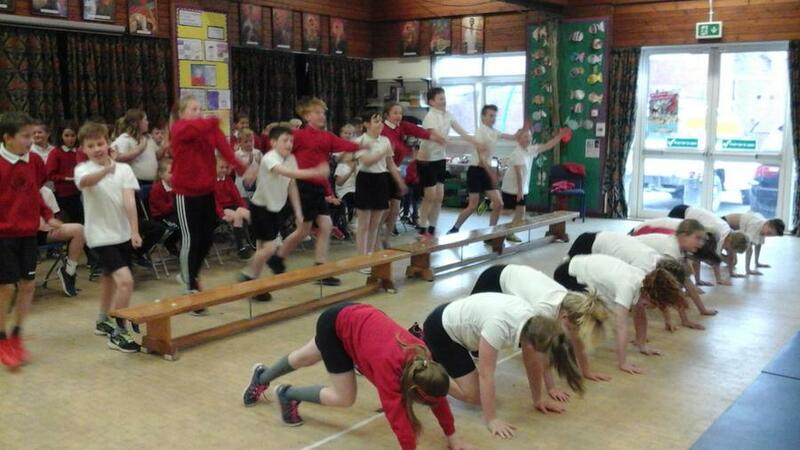 Well Done Everyone and A Big Thank you to Mr Freeman, Mr O'Reiley and all the Sports Leaders who did a great job! 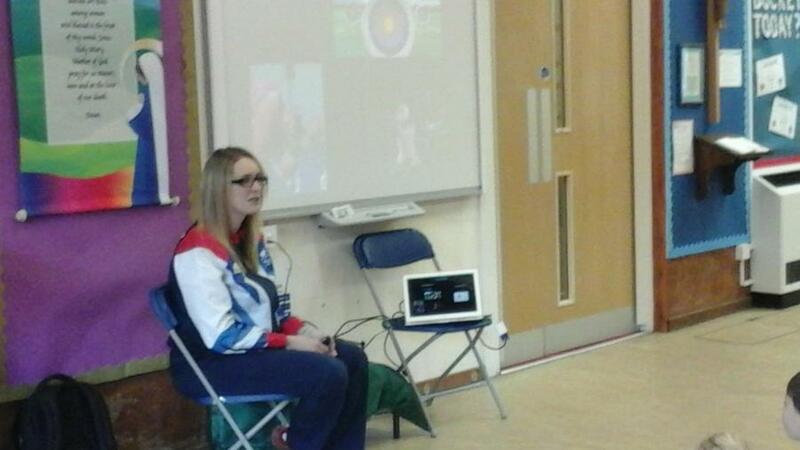 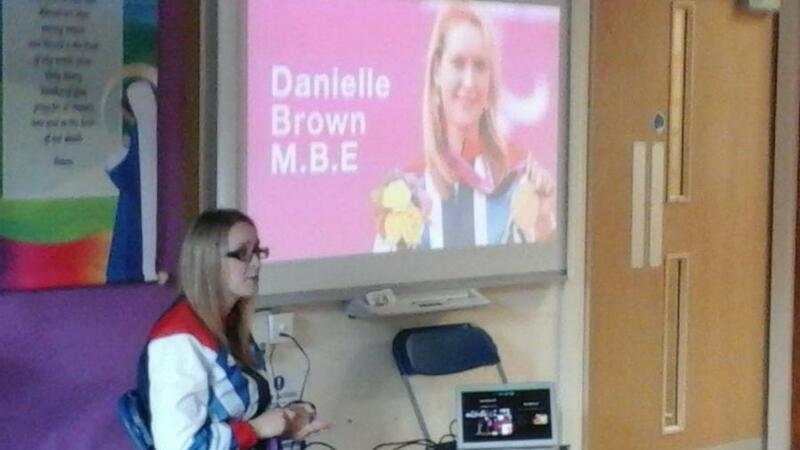 The whole school enjoyed an amazing afternoon, starting with an assembly from Paralympic Gold Medal Archer, Danielle Brown MBE. 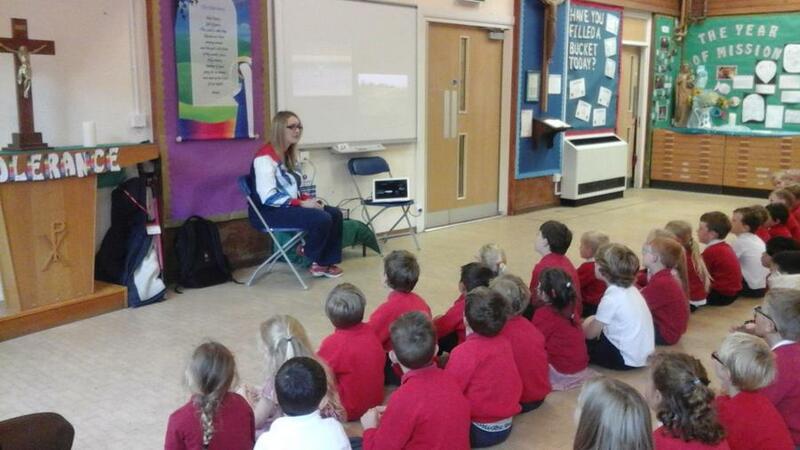 She was very inspirational and spoke to the children about her journey to the Paralympics and how it hadn't been easy but she learnt to develop a positive attitude and never gave up. 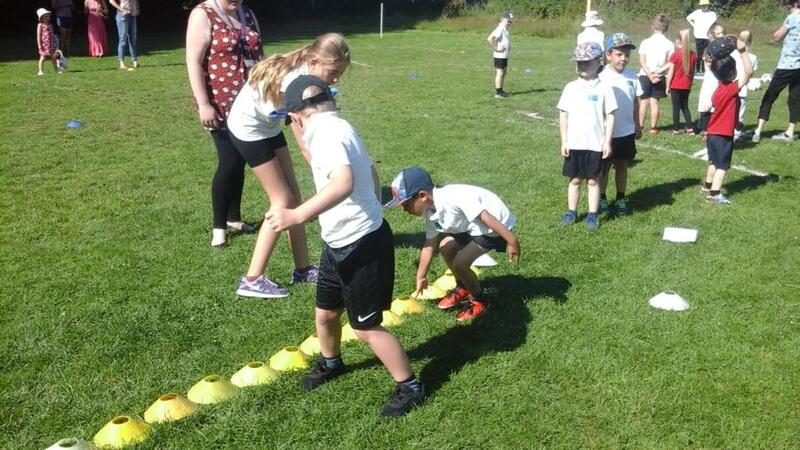 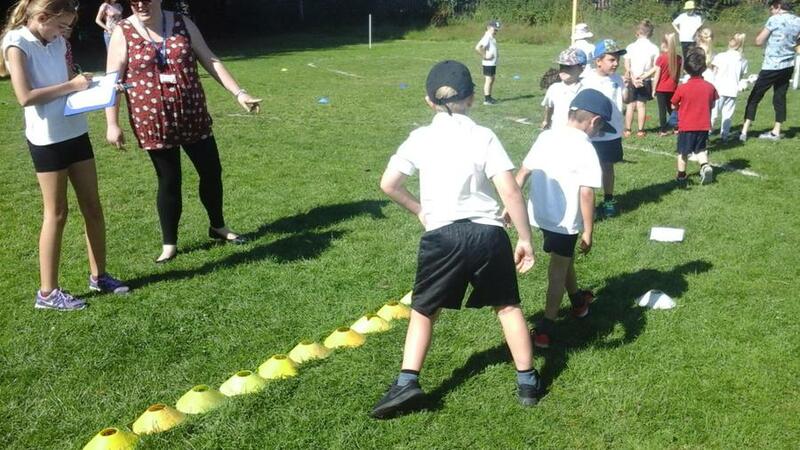 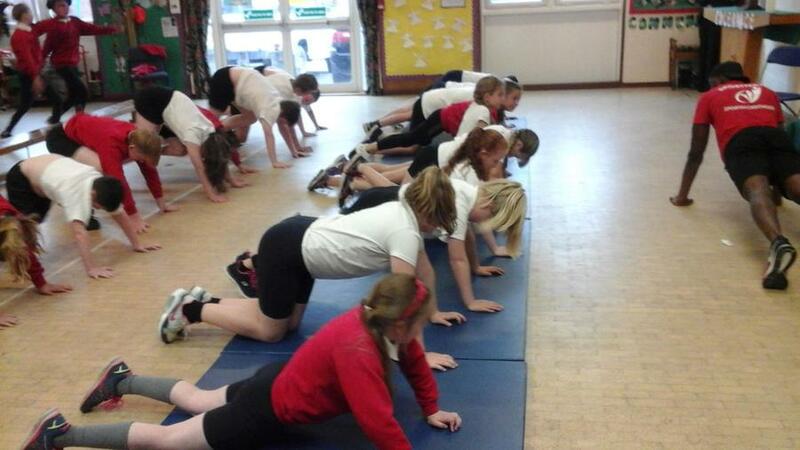 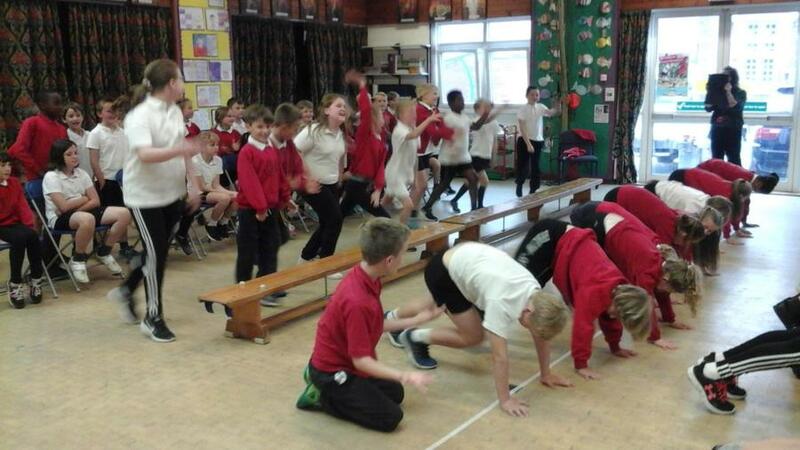 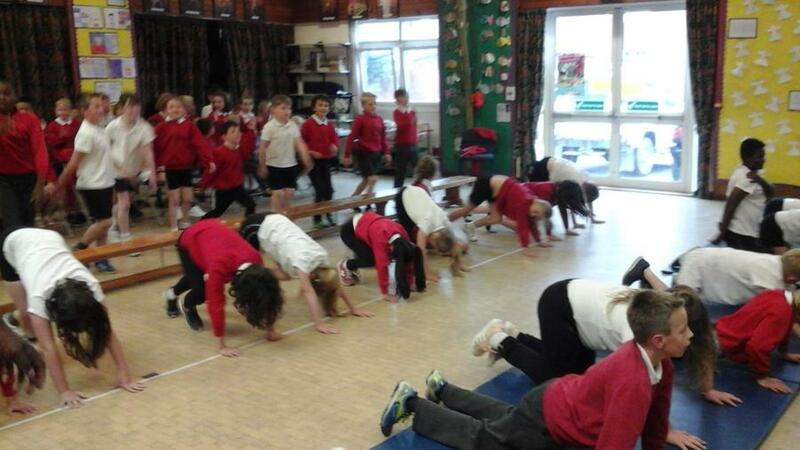 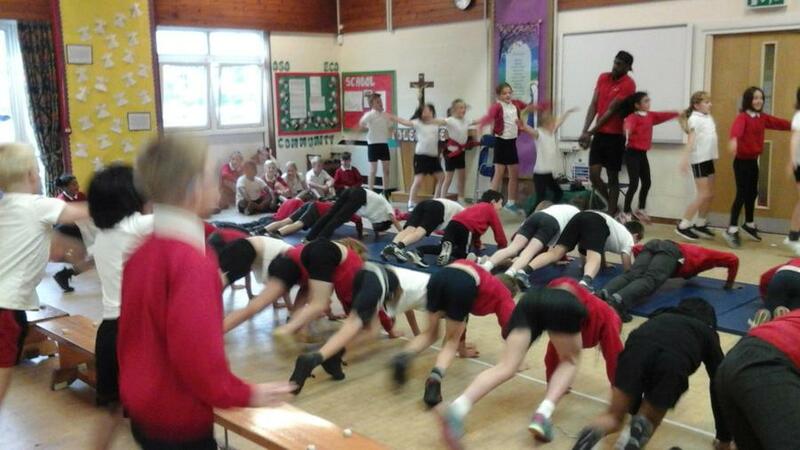 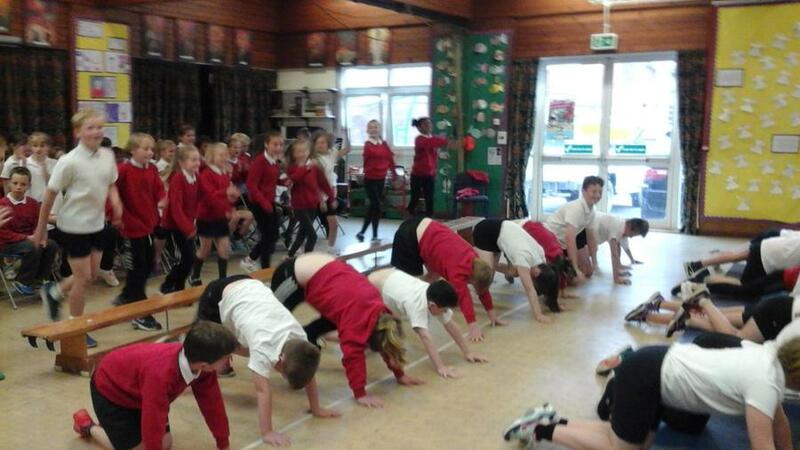 The children then join Sportivator in a sponsored exercise challenge to complete spotty dogs, press ups, star jumps and leg climbers! 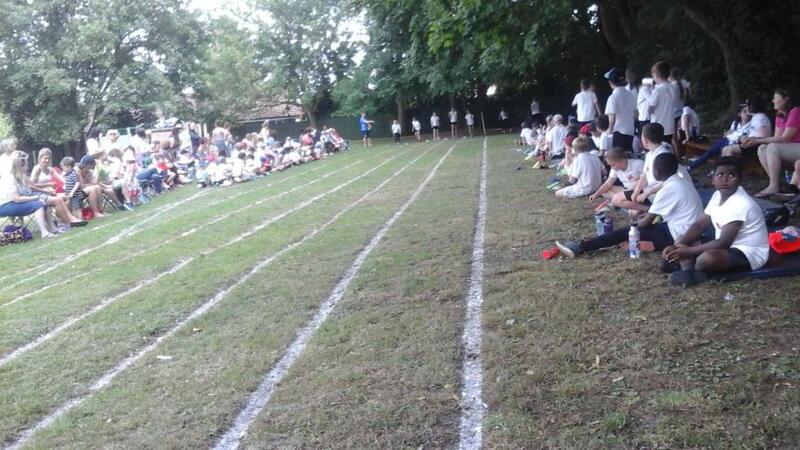 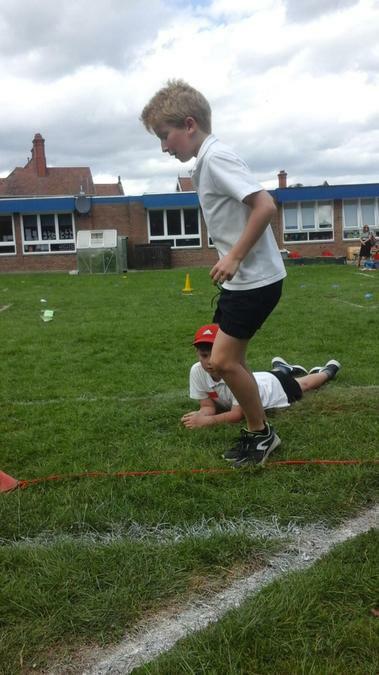 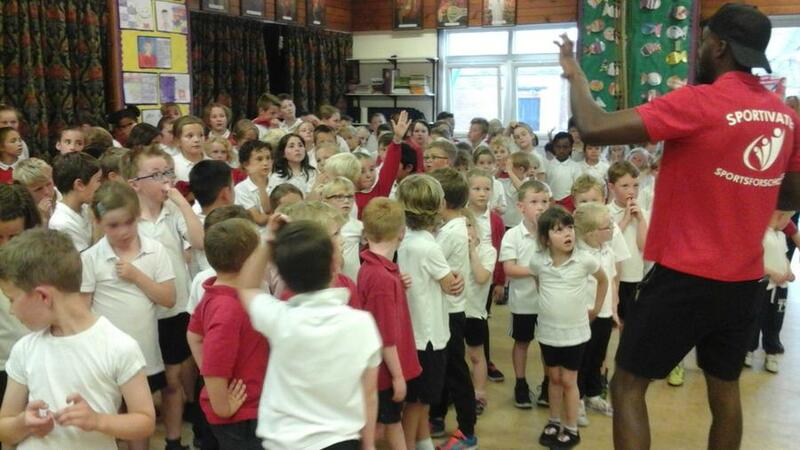 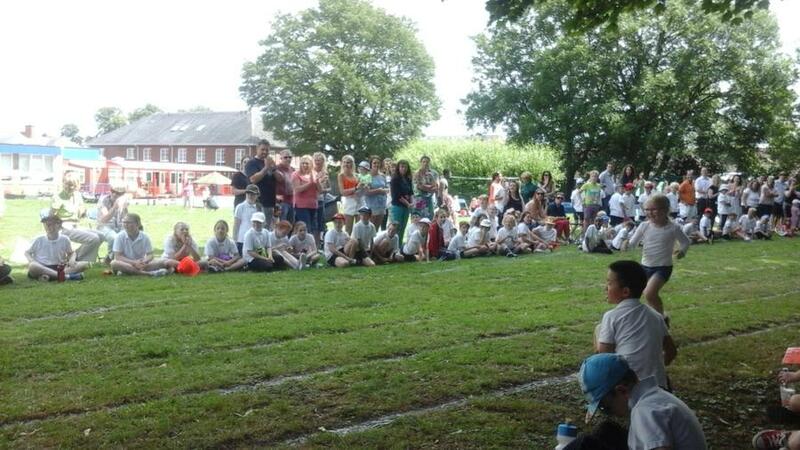 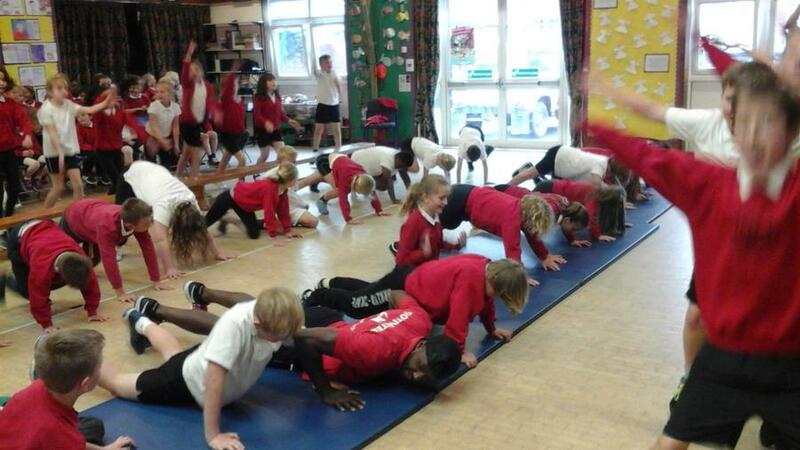 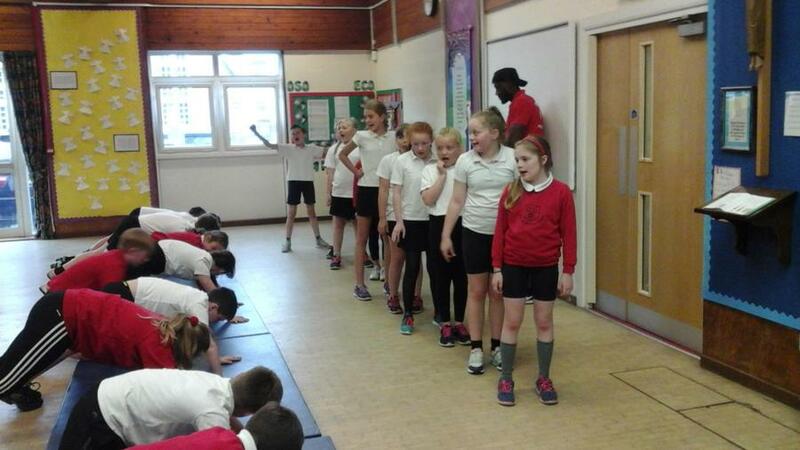 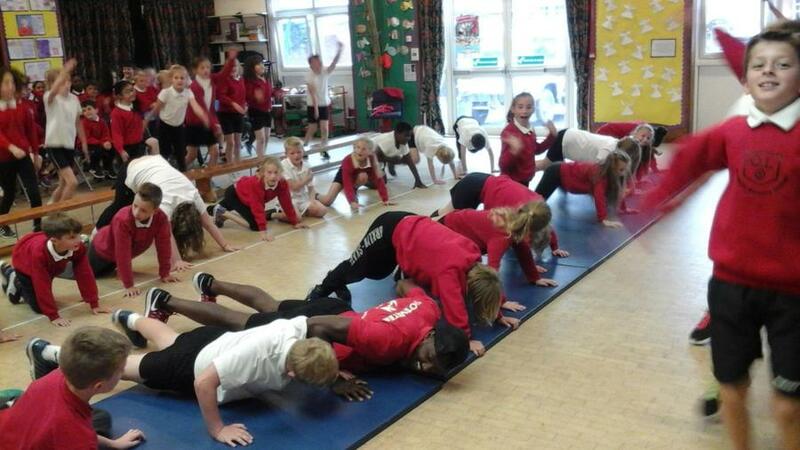 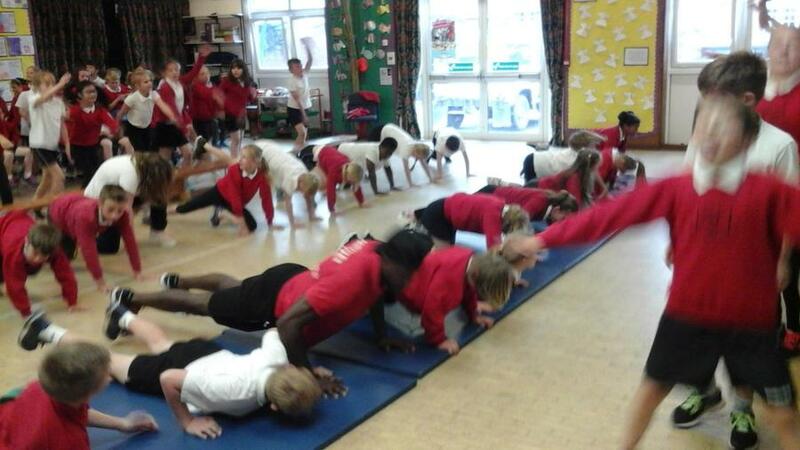 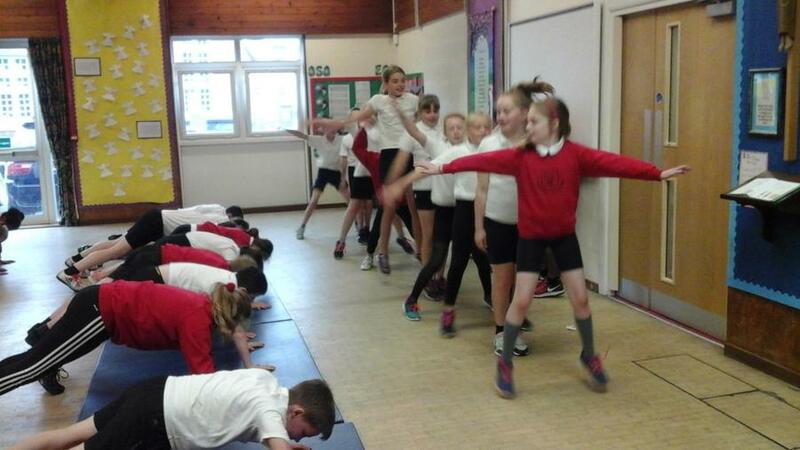 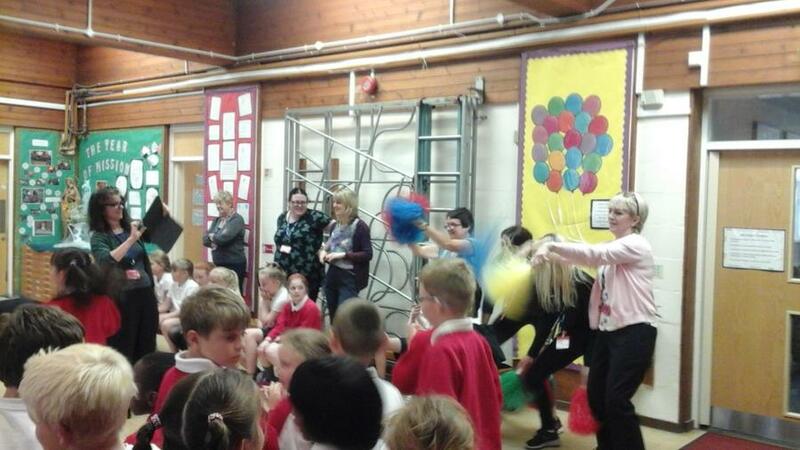 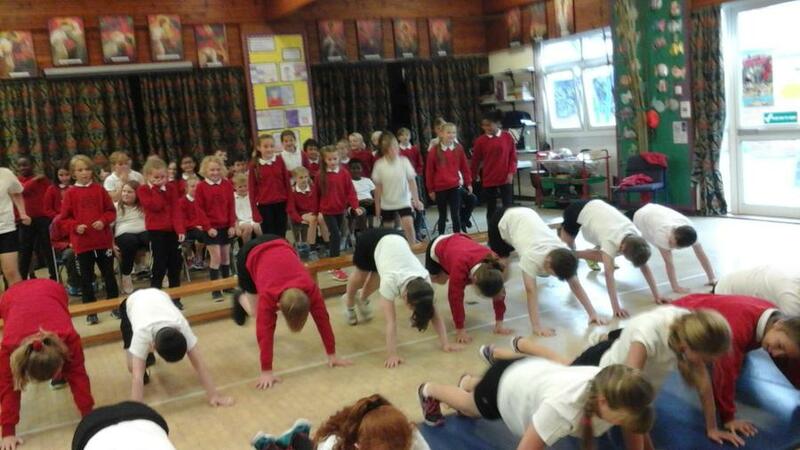 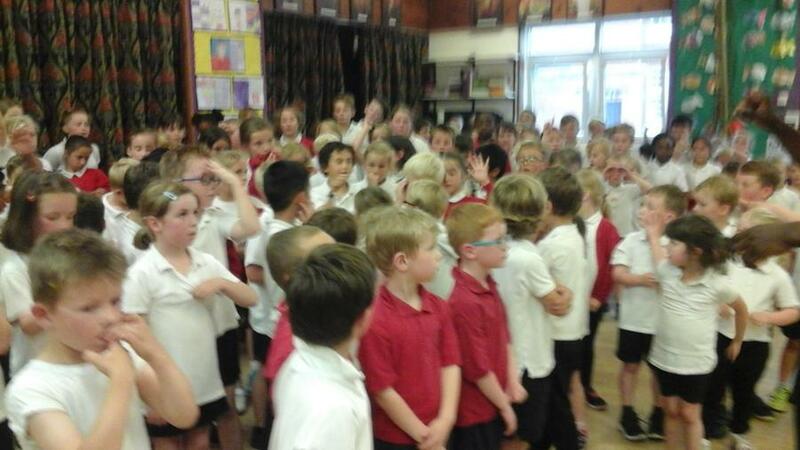 Very tiring but the whole school stayed to support each other which was amazing. 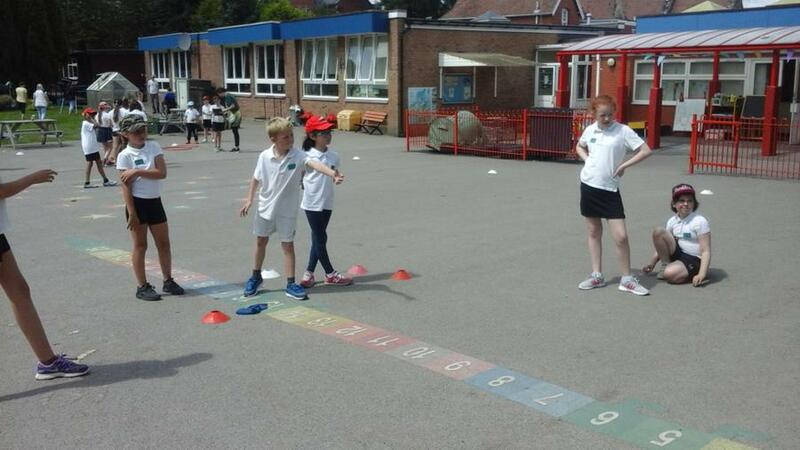 With the Year 5's out on Science Day, it was down to the Year 6's with some help from a few Year 4's to represent the school in the inter-schools swimming gala. 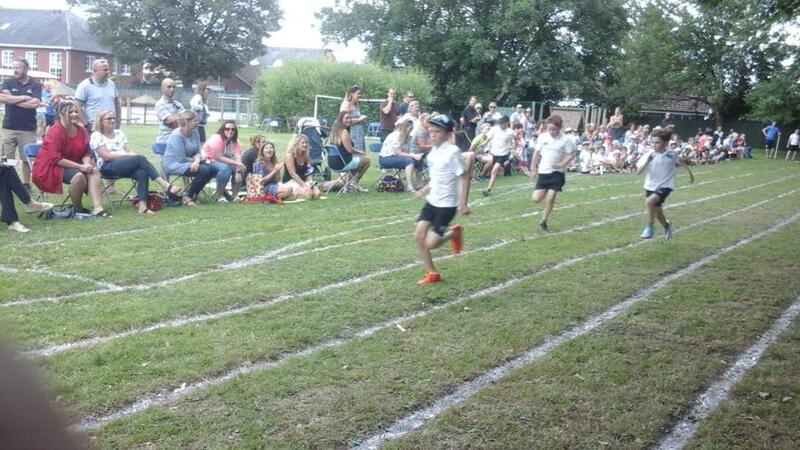 They all put in maximum effort and finished in a very impressive 2nd place. 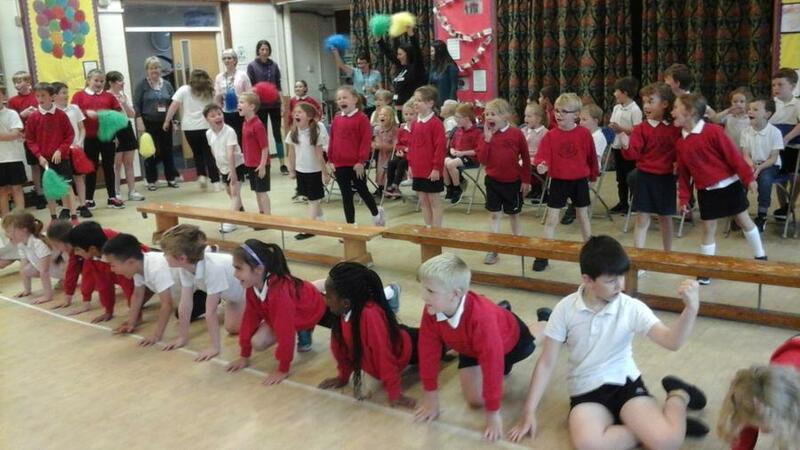 Three teams of gymnasts went to perform both on the floor and the vault in the individual and team competitions. 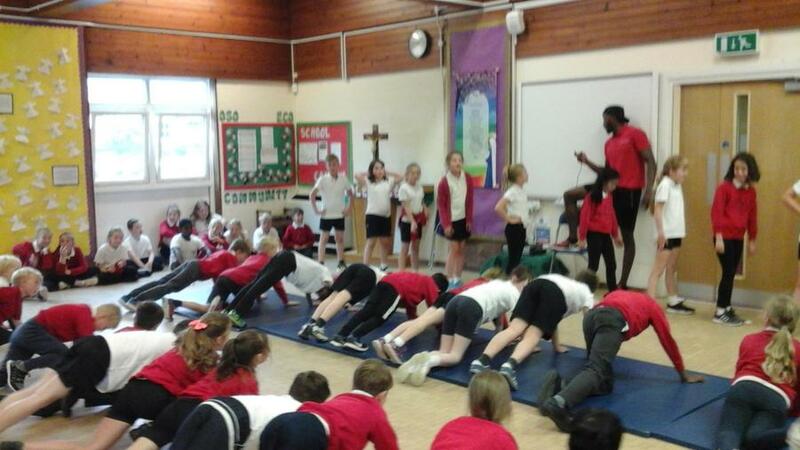 They had all worked hard to learn their floor routines and some of the younger ones were faced with a higher vault than they had been use to. 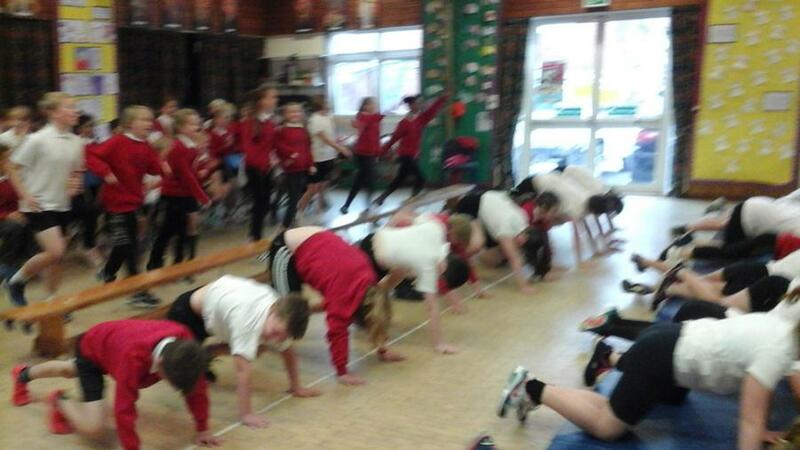 Well done to all the gymnasts - Saskia, Sophia, Paige, Marnie, Saoirse, Tessa, Sofia, Holly, Caidy, Ben, Sammy, Ellie and Maisie. 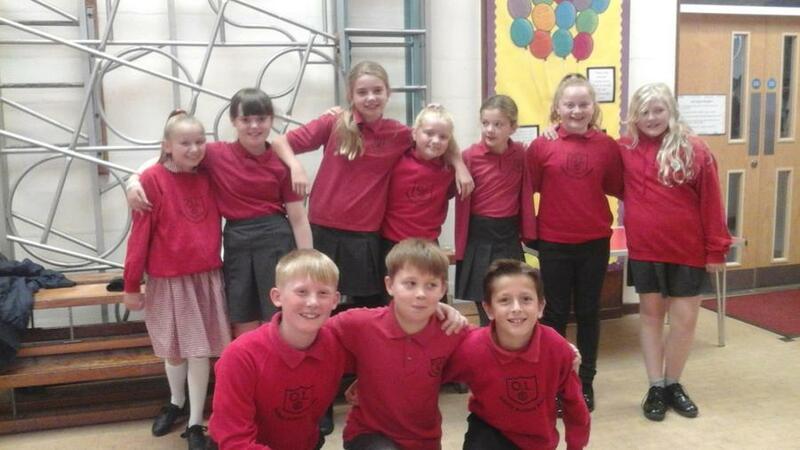 After a fantastic performance Saskia, Sophia, Paige and Marnie won the Team Floor and Vault Event, Sophia came 1st in the Elite Floor & Vault, Saskia came 3rd in the Elite Floor & Vault, Sofia came 2nd in the Intermediate Floor & Vault and Ben came 5th in the Boys Floor & Vault. 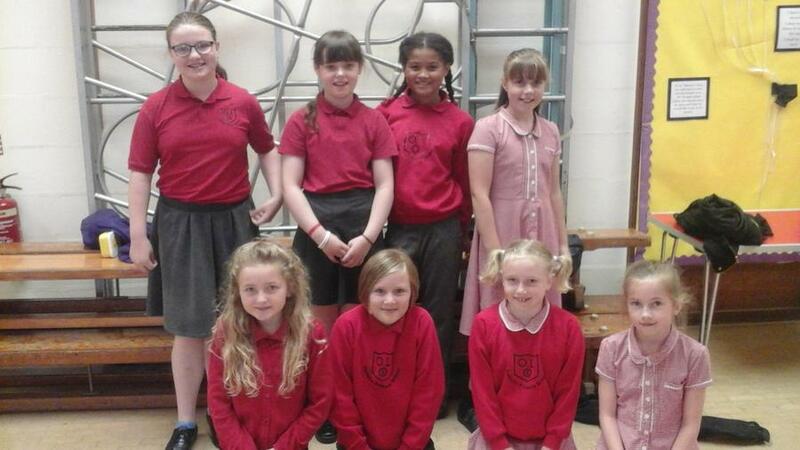 Congratulations - very proud! 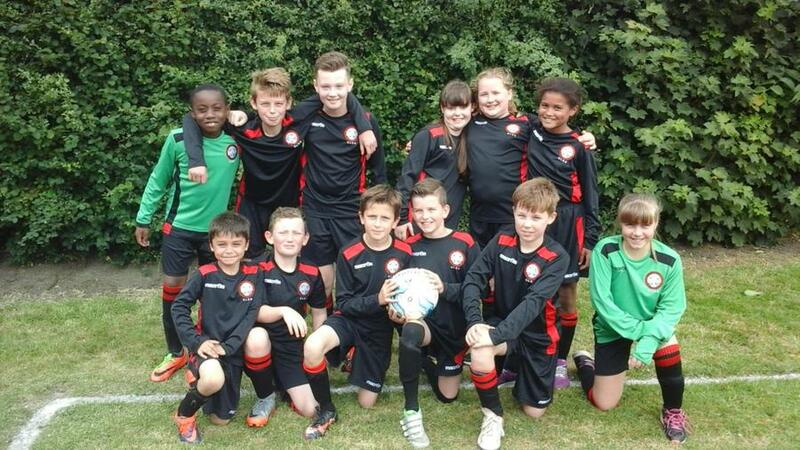 After a disappointing start losing to Whittington (in our new, very smart kits! 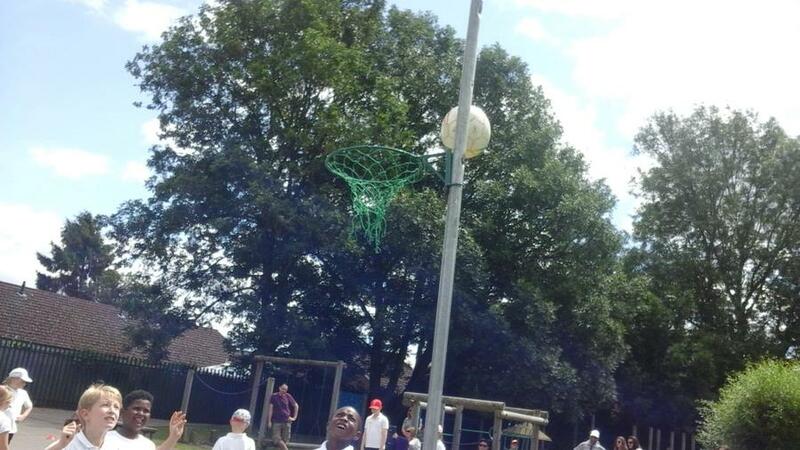 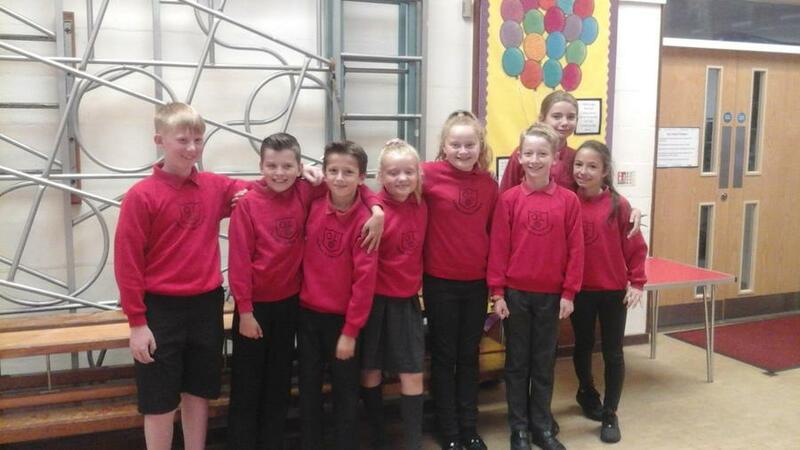 )The team went from strength to strength beating Weston Rhyn and Woodside, which meant they were in a play off for 3rd place against Morda and they definitely didn't disappoint with a very impressive win. 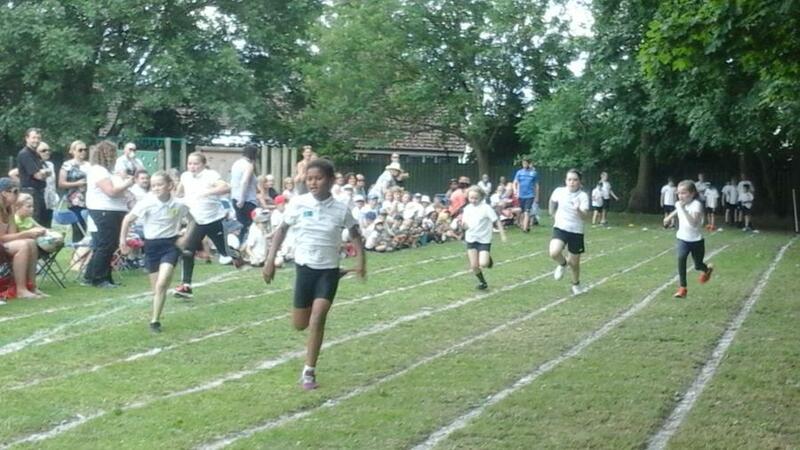 Final results Whittington 1st, The Meadows 2nd, Our Lady's 3rd and Morda 4th. 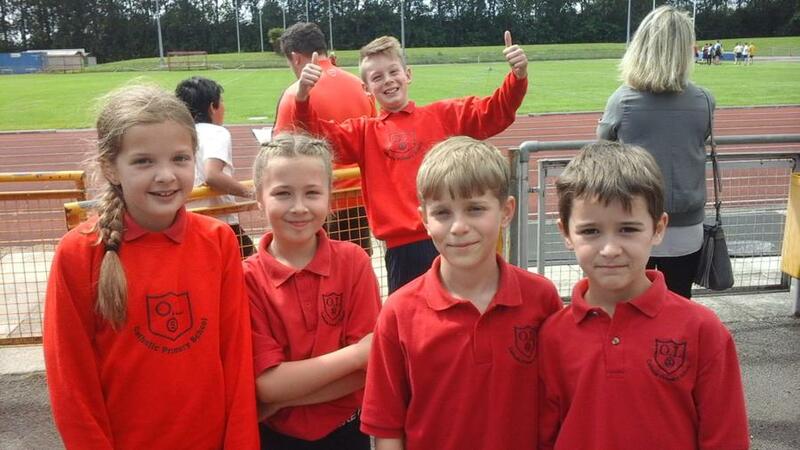 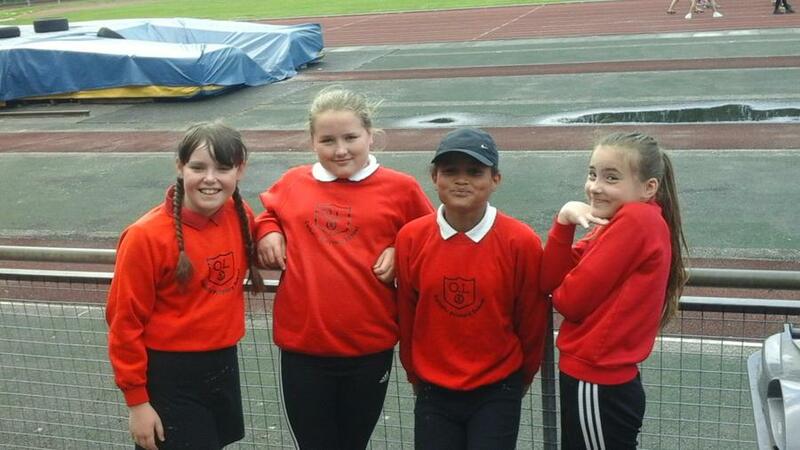 Congratulations to our amazing athletics team who represented the school in the area athletics competition at Queensway. 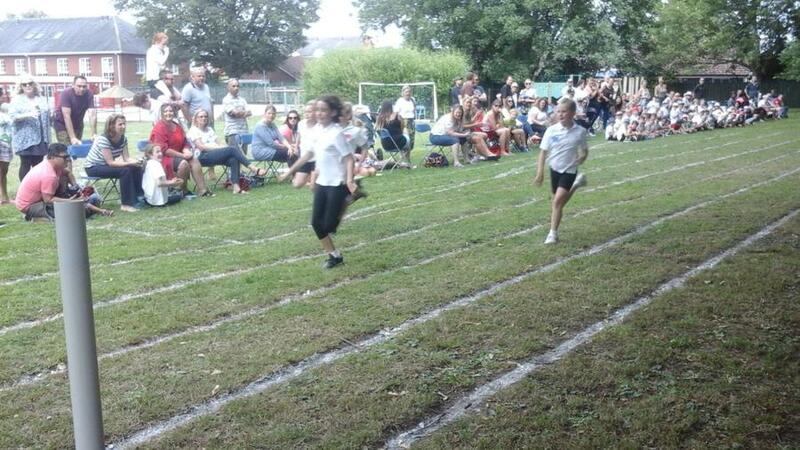 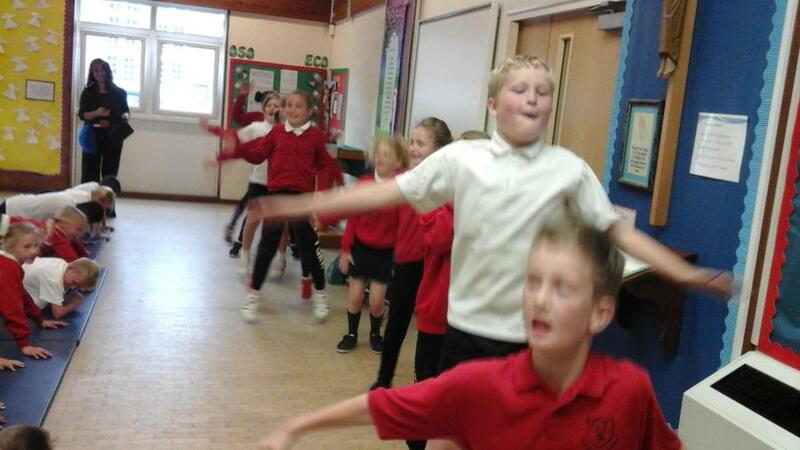 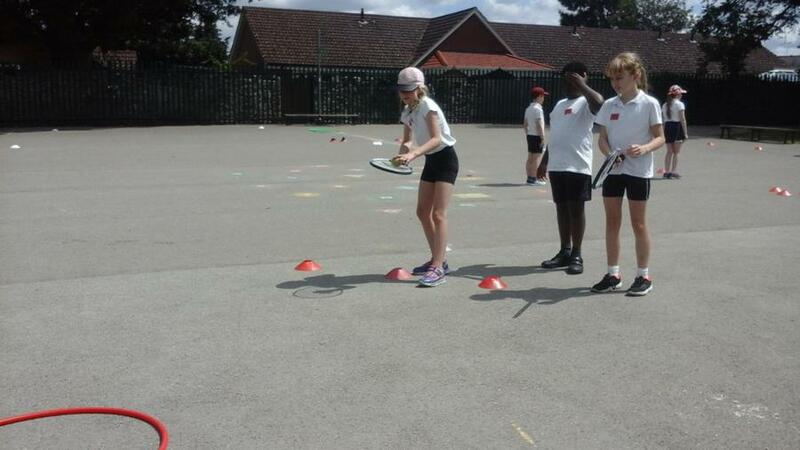 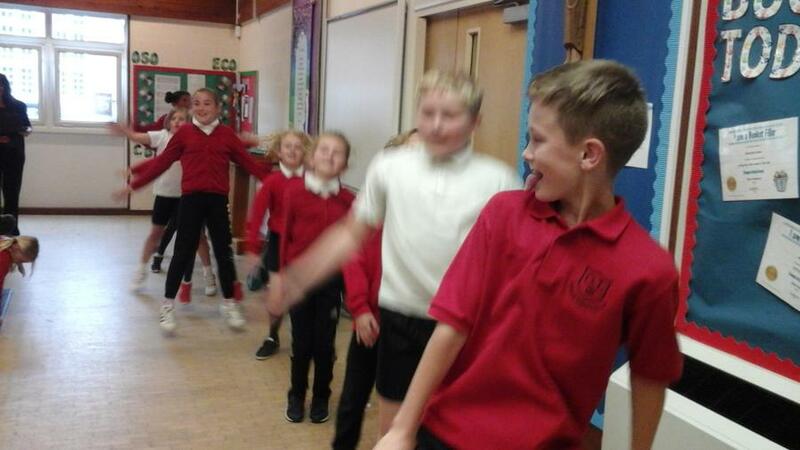 They were so competitive with some excellent performances and team work. 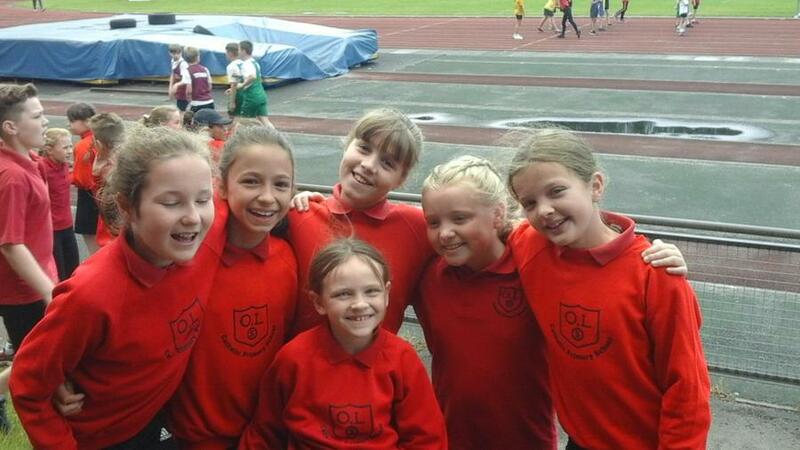 The team came 3rd overall in the Medium Schools Competition. 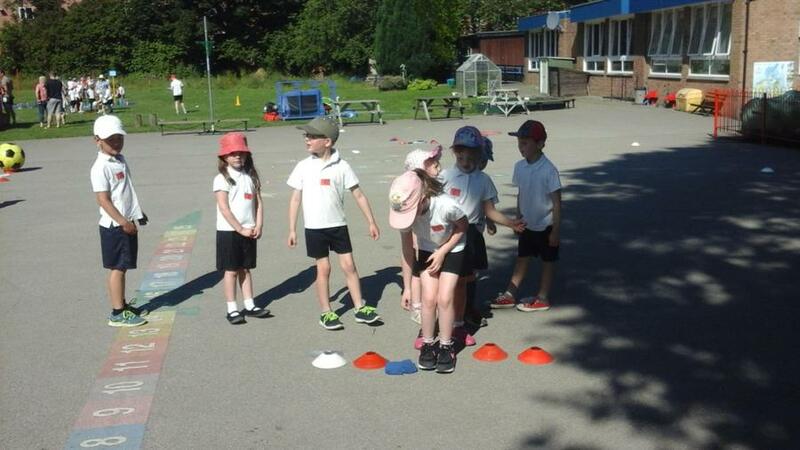 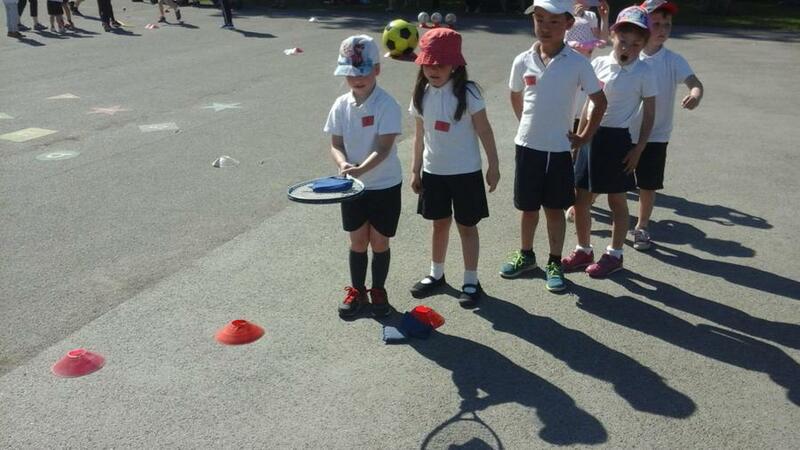 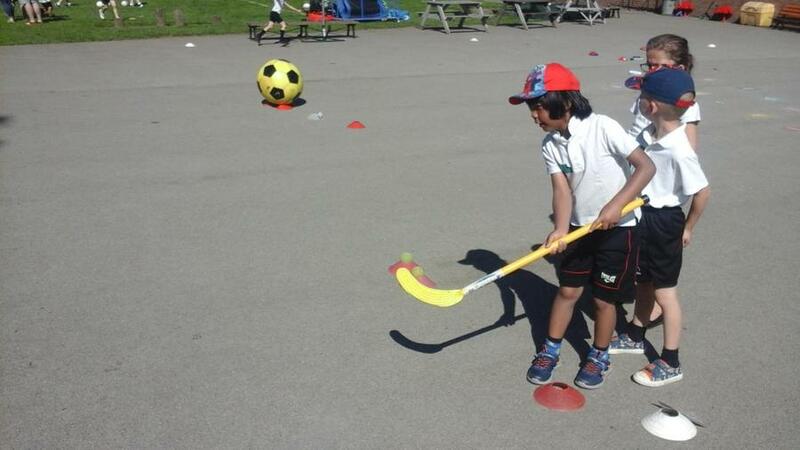 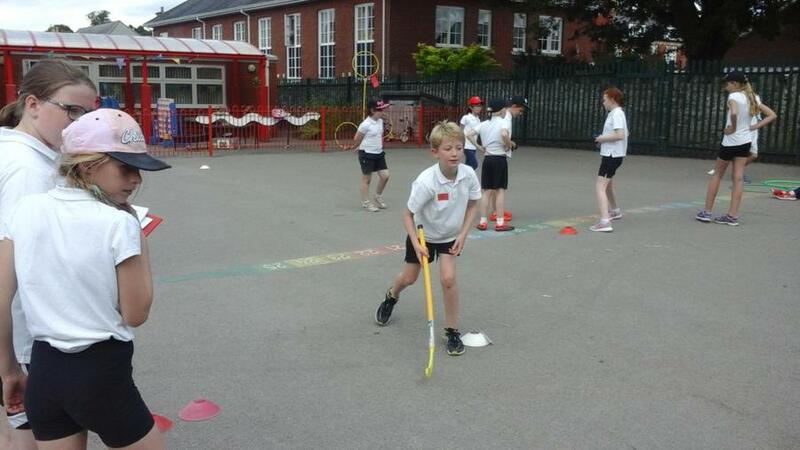 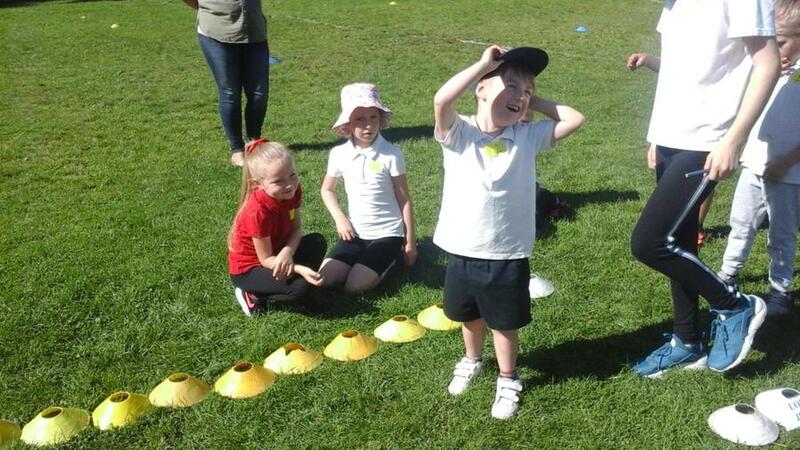 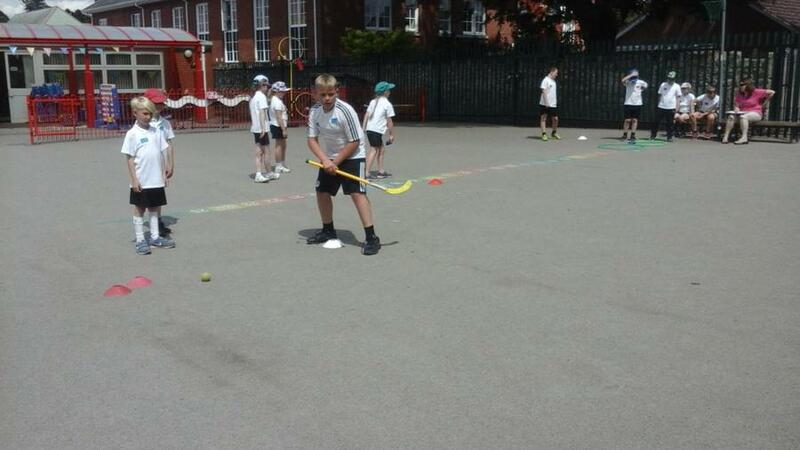 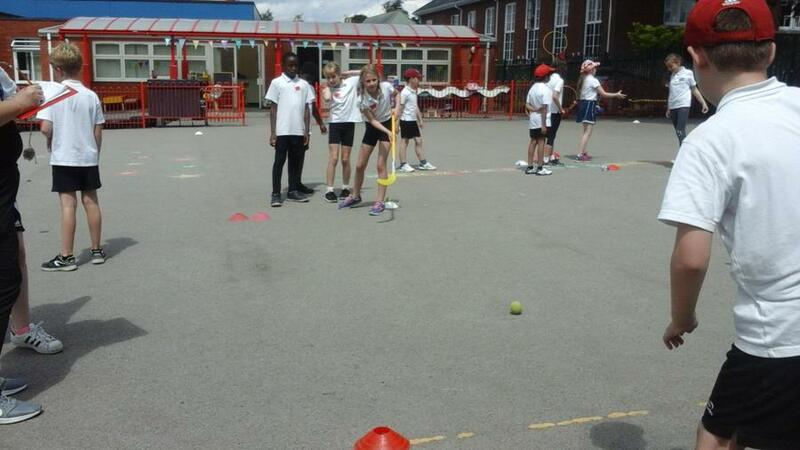 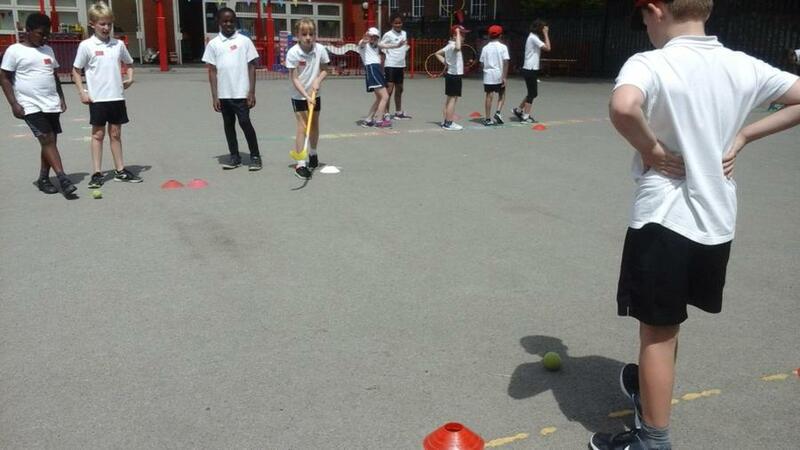 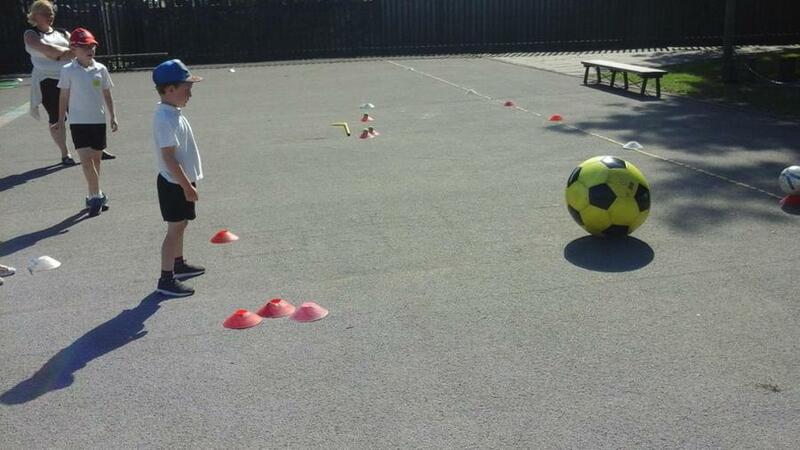 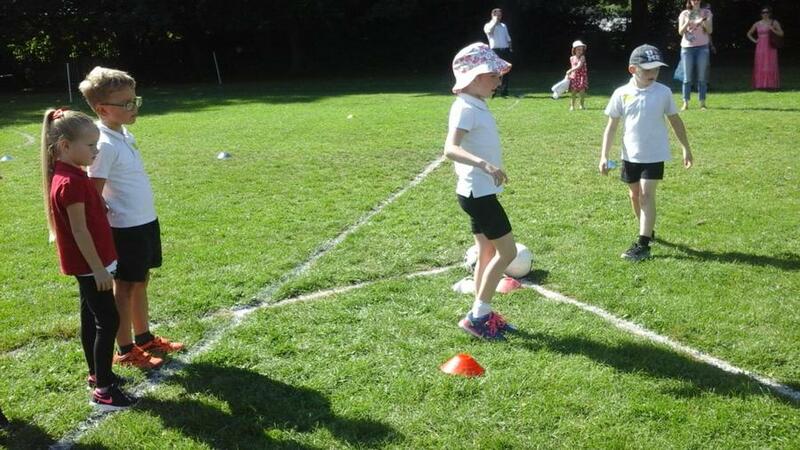 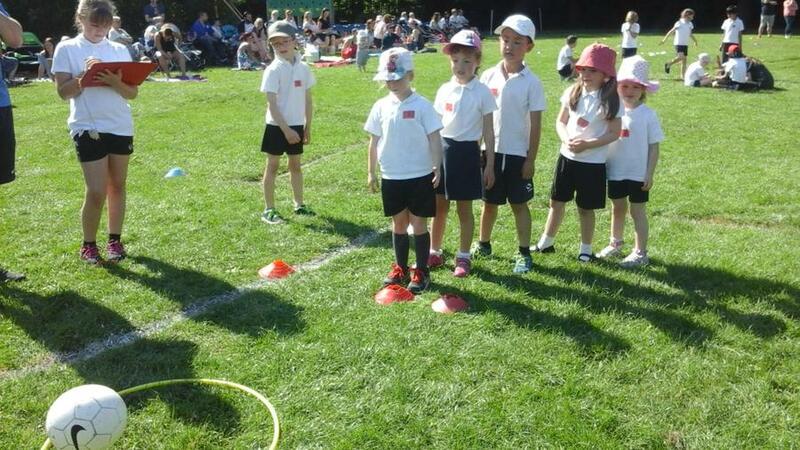 The Rounders team had a lovely afternoon in the sun. 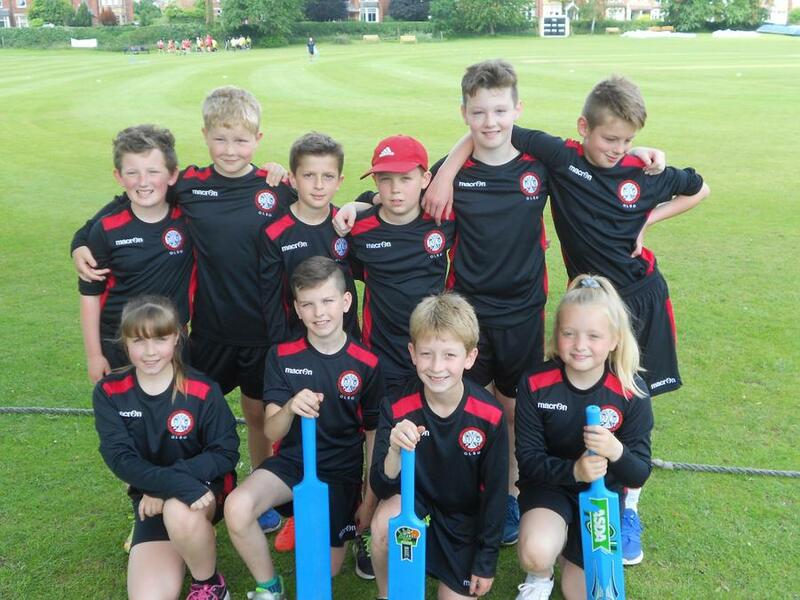 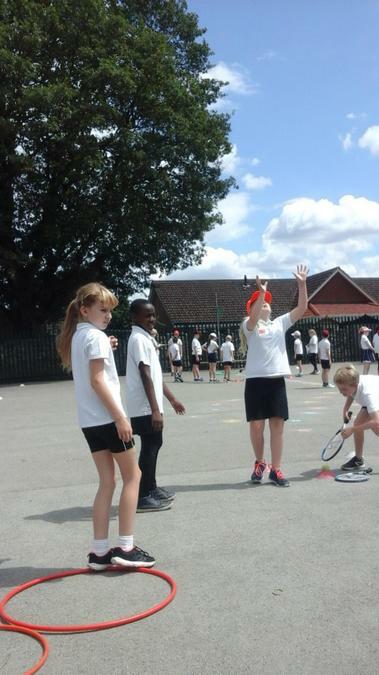 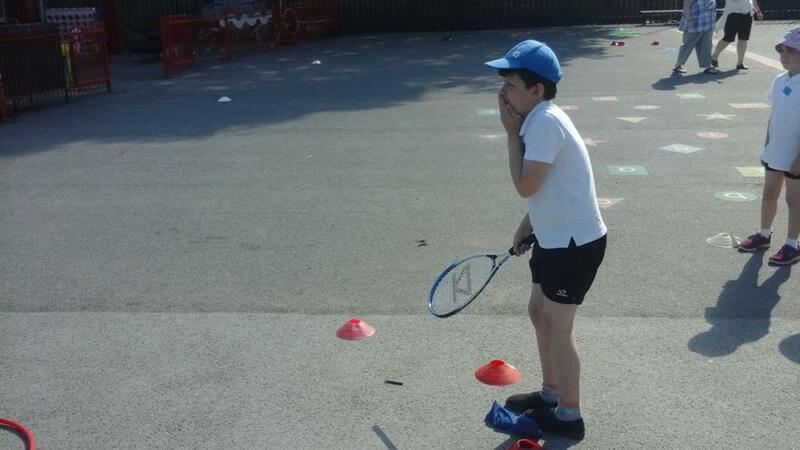 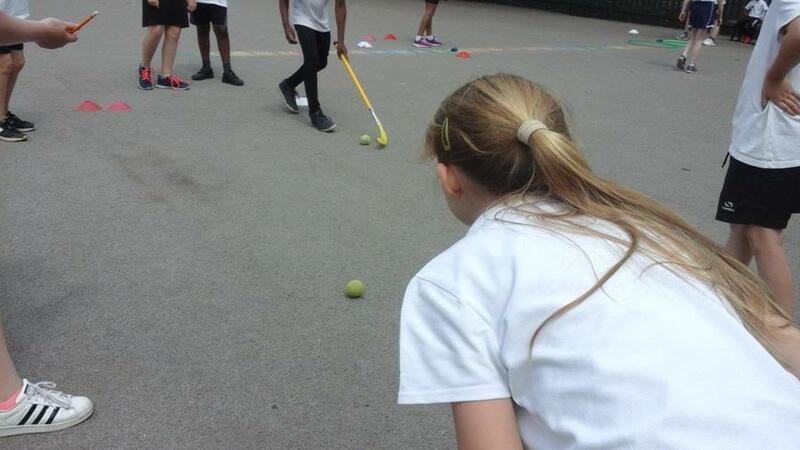 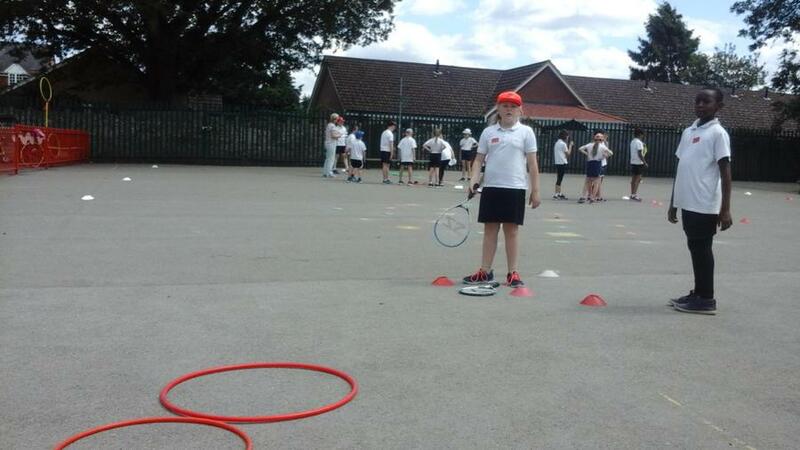 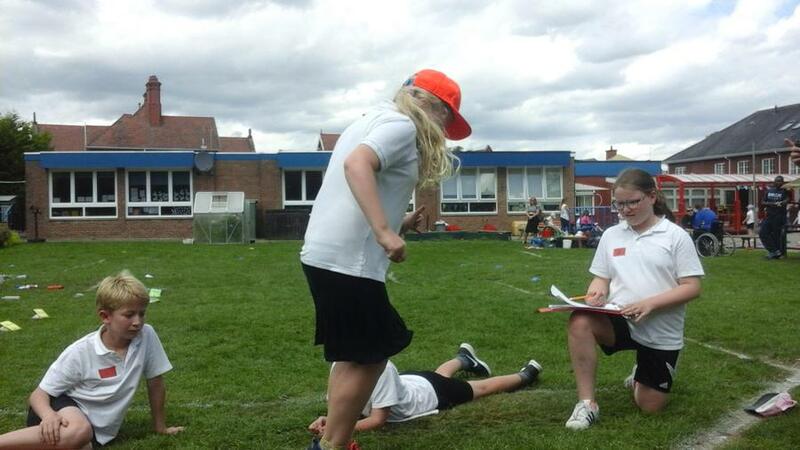 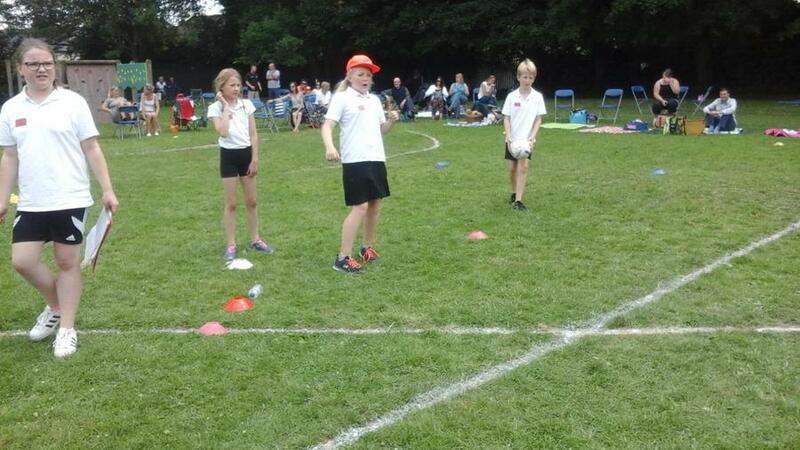 They lost one game and won two, managing to score 11 rounders in the first round! 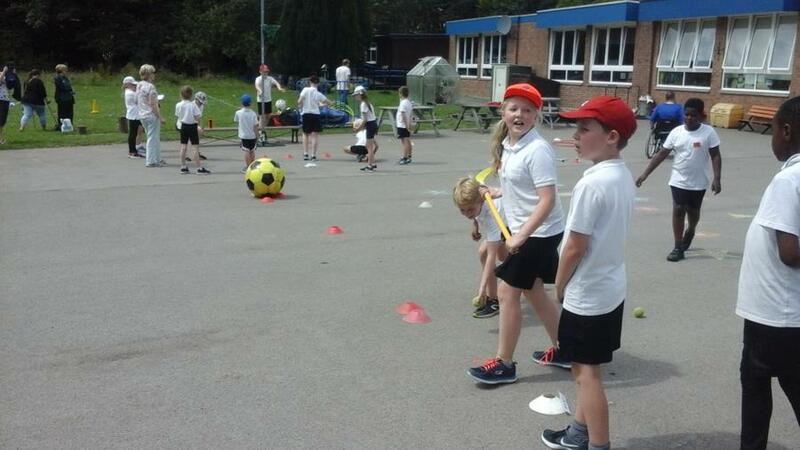 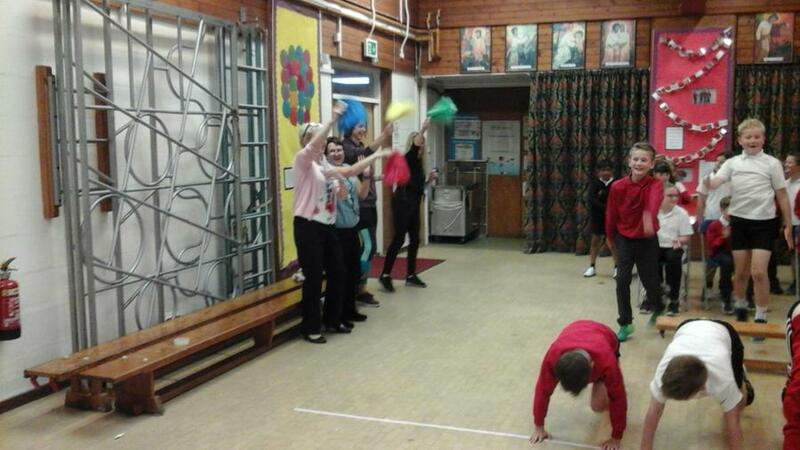 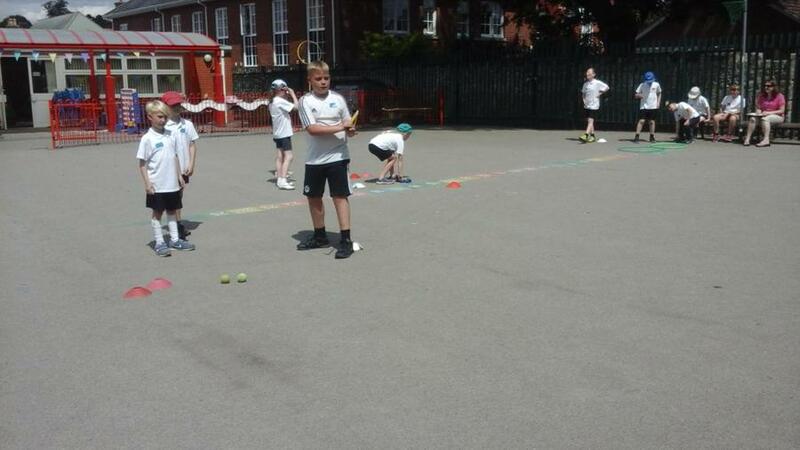 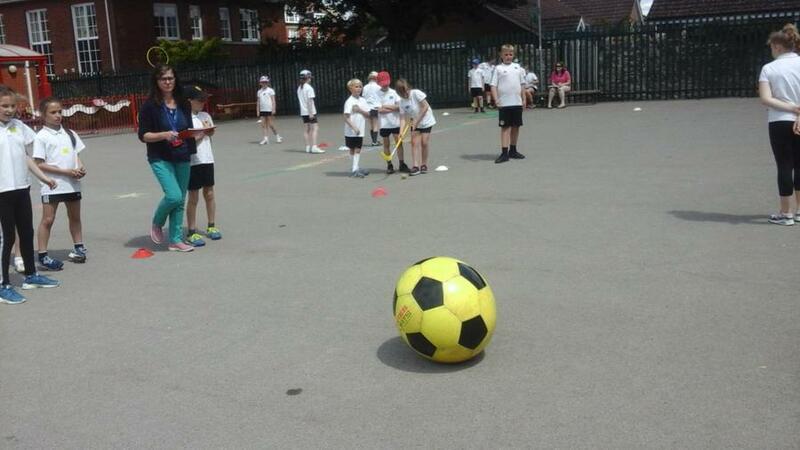 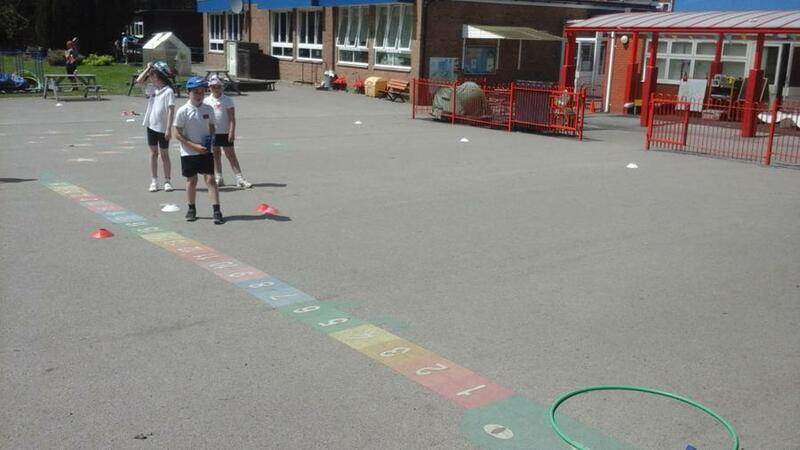 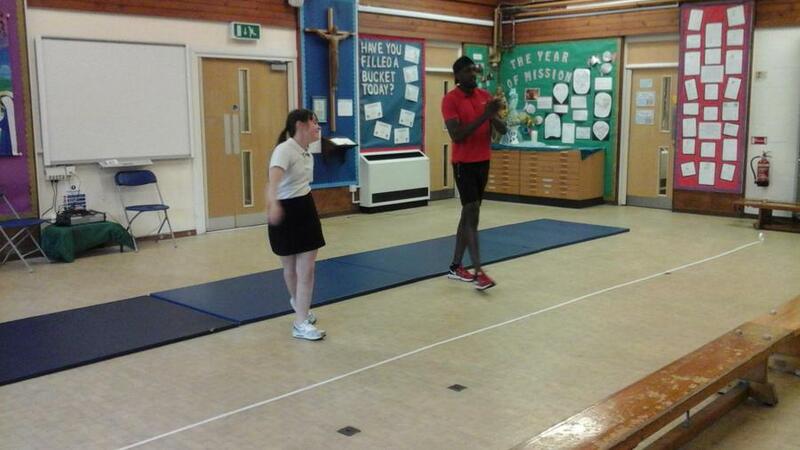 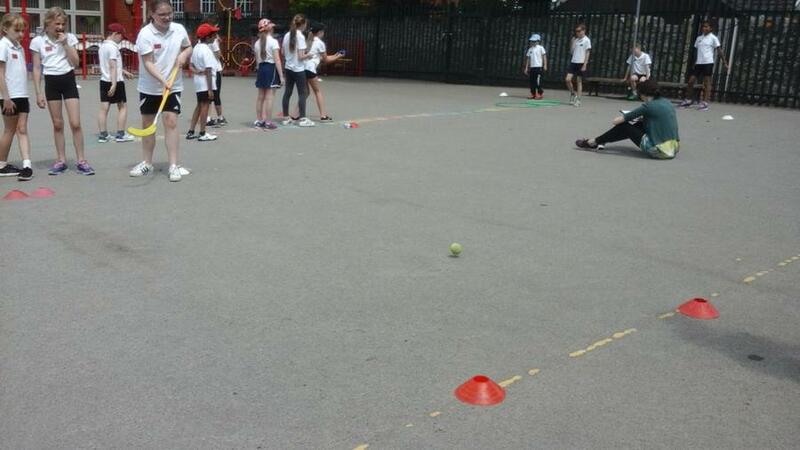 The children thoroughly enjoyed a very fast and furious afternoon of Dodgeball! 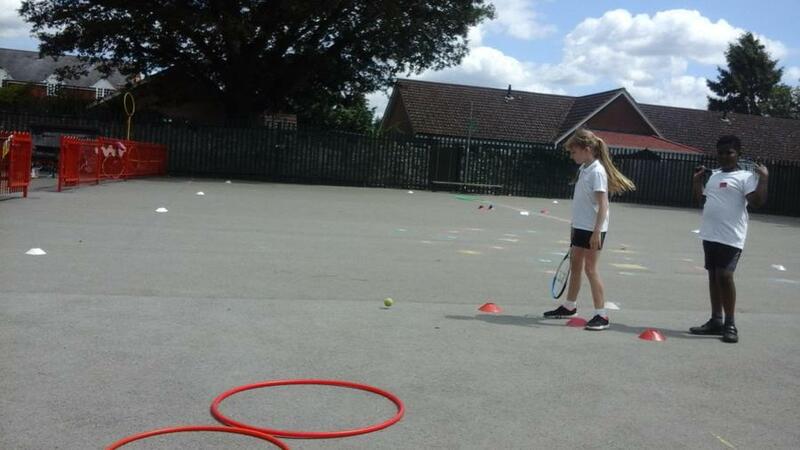 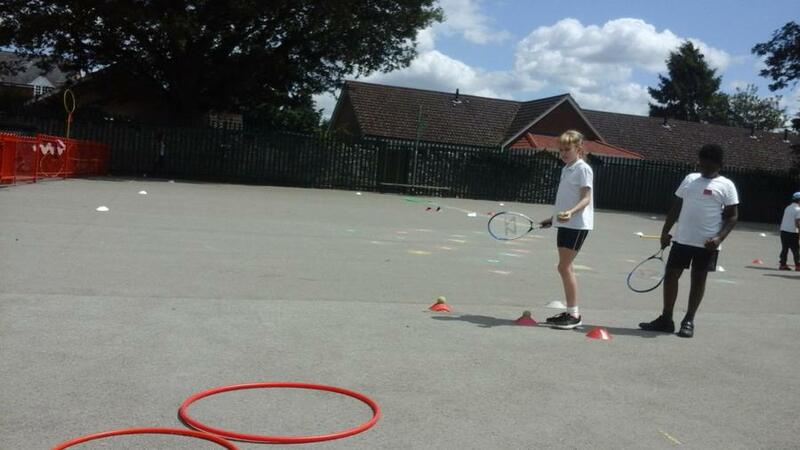 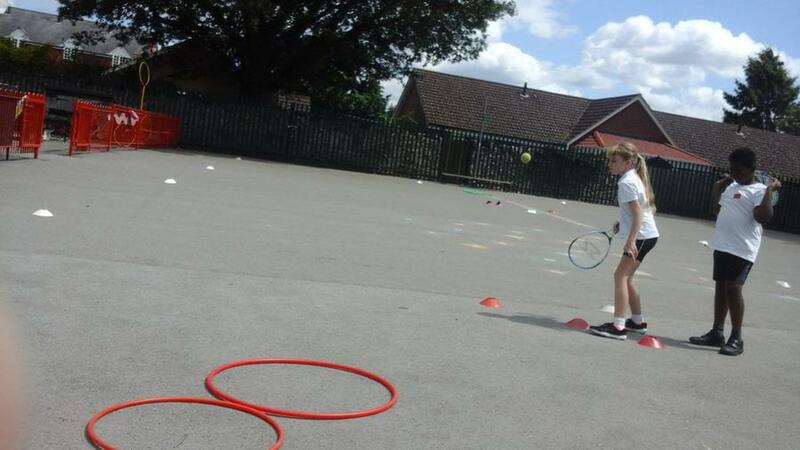 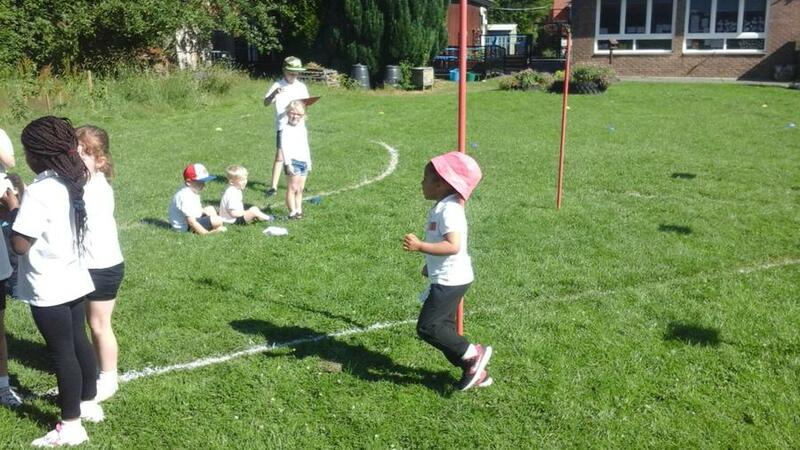 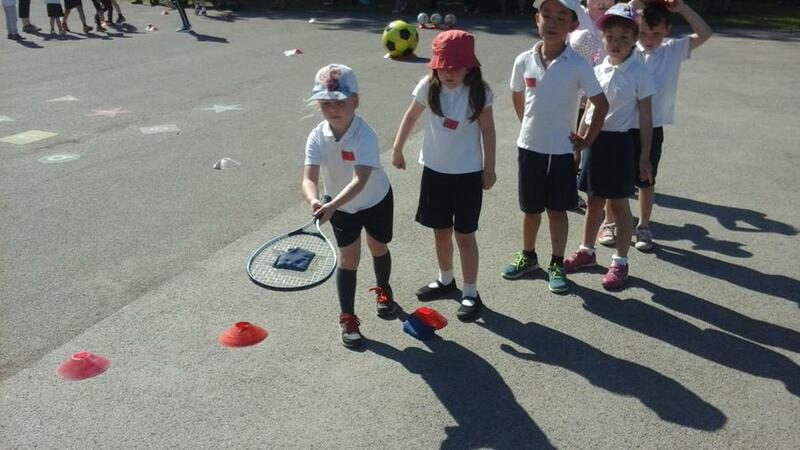 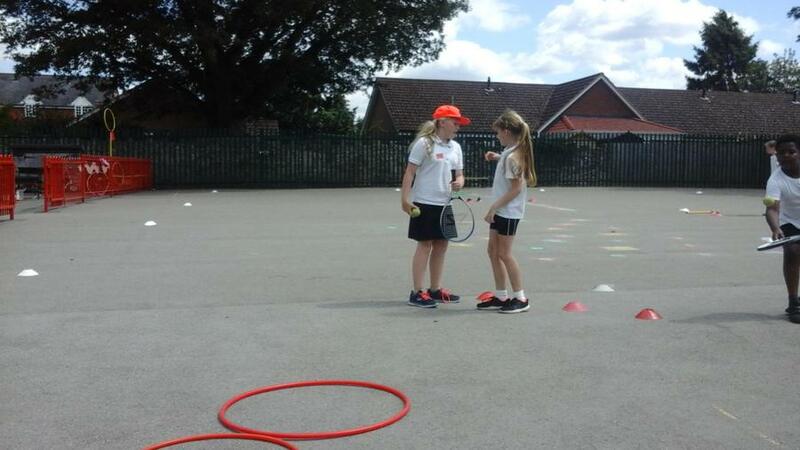 There was some excellent play especially by Sam and Sophia when they ended up on their own! 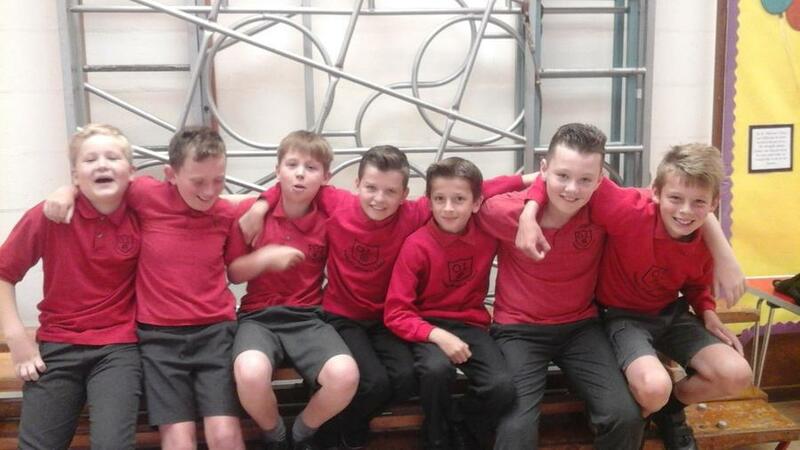 A big well done to the Boys Football Team, they won 2 games, but were very unlucky to lose to Woodside. 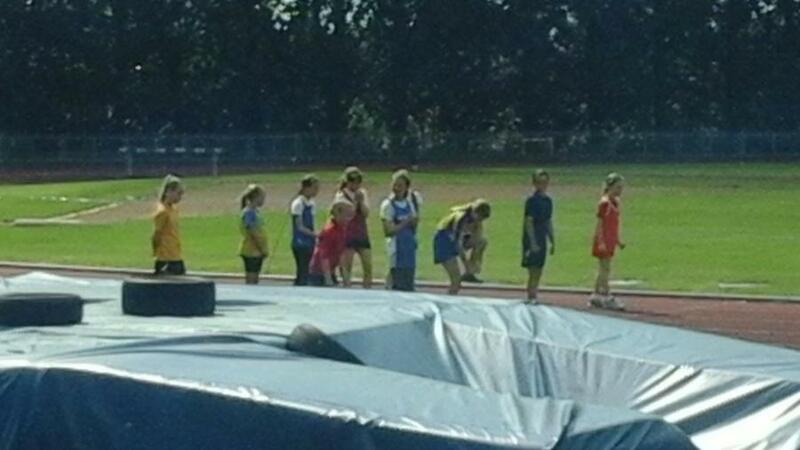 Results: Jac 11th, George 13th, Tessa 10th & Saskia 14th!! 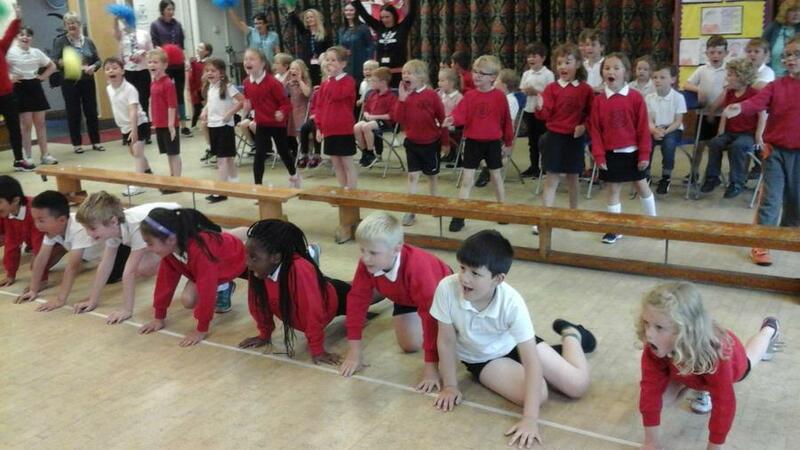 A huge well done to our awesome gymnasts, who were amazing and competed so well to finish in 4th place at the KS1 Gymnastics Competition. 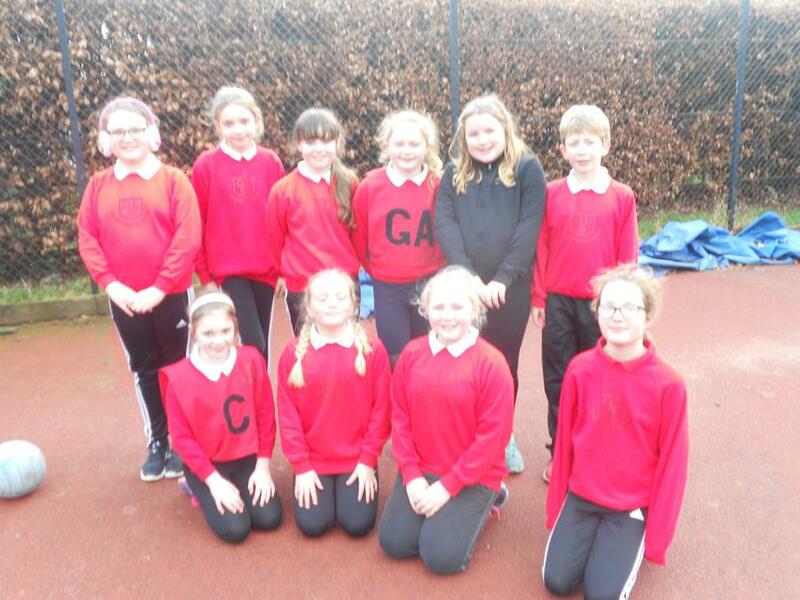 A big well done to the Netball Team who represented the school at the tournament, they played really well with some excellent team work. 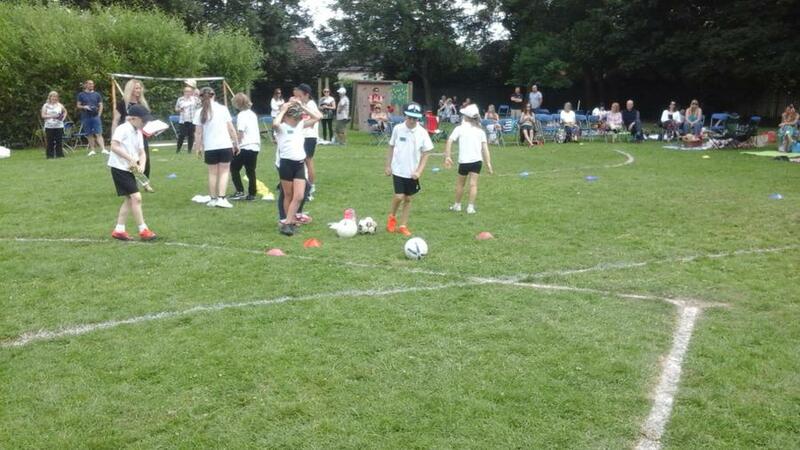 But unfortunately narrowly missed getting through to the semi- finals. 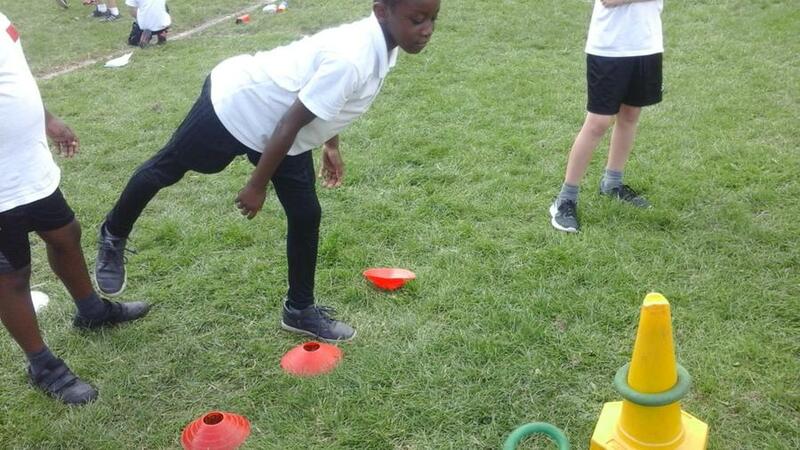 A team of Year 5&6 children competed in the indoor athletics competition, they worked so hard in both the individual and team events. 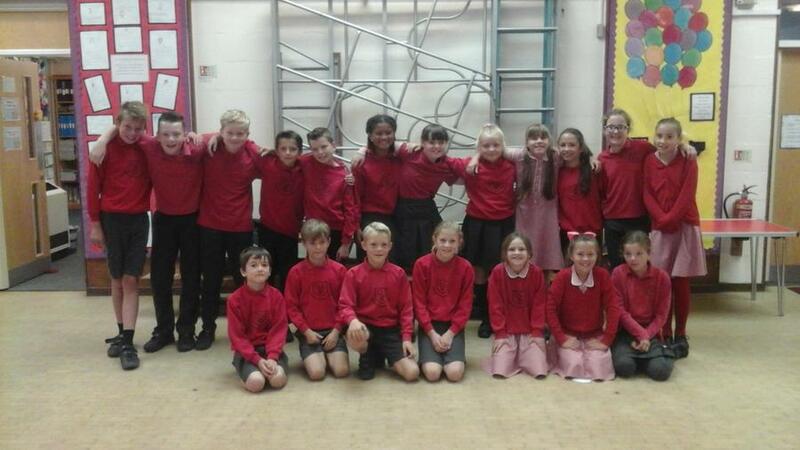 A huge well done to all of you especially, those who stepped in to replace due to illness. 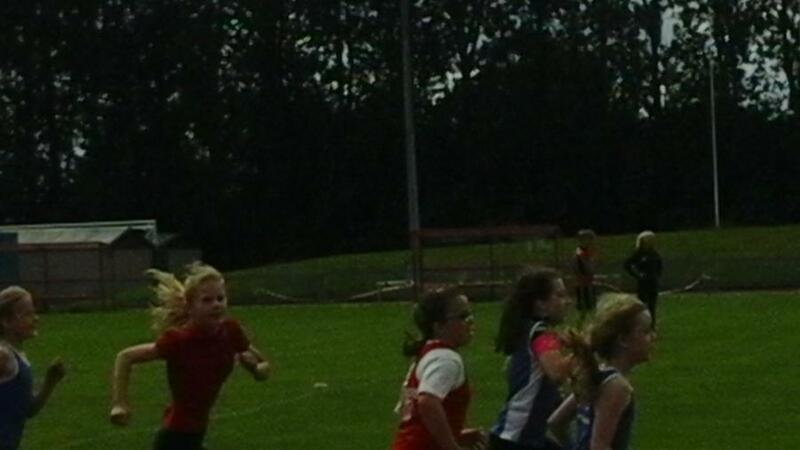 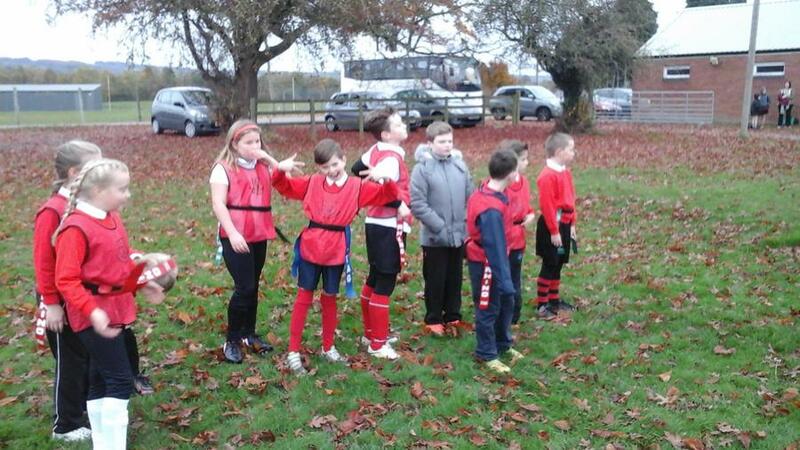 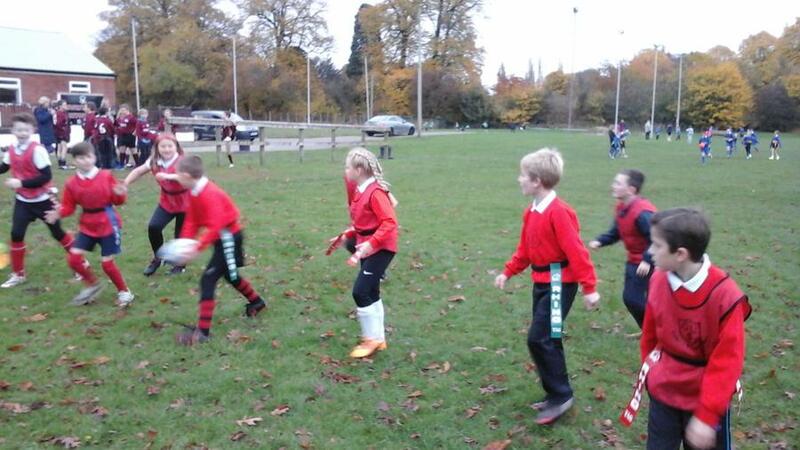 We took a team of Year 5&6 children to brave the cold weather at the Rugby Club on Thursday. 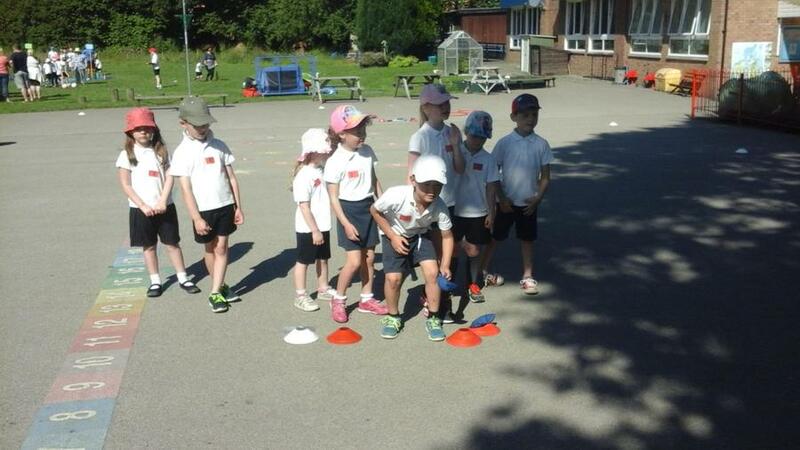 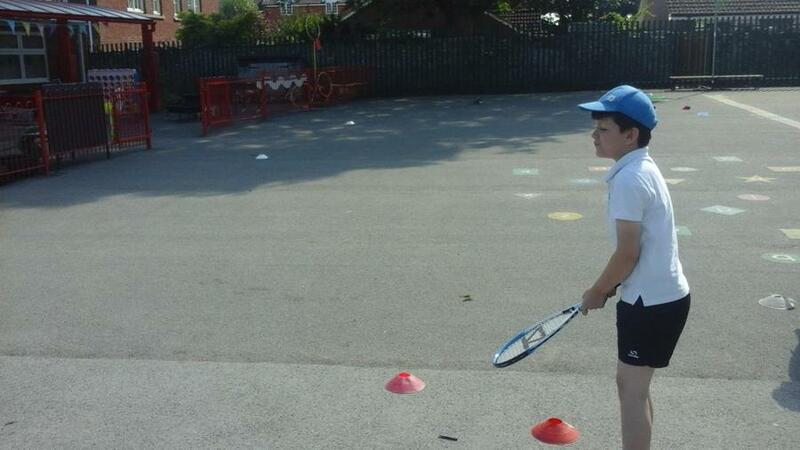 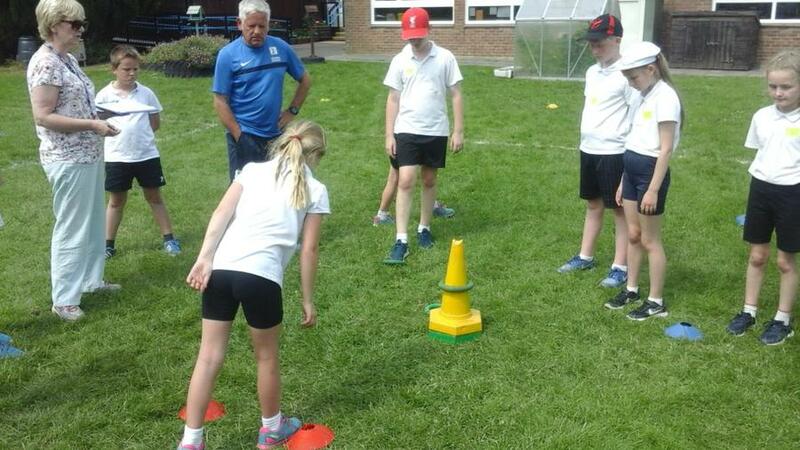 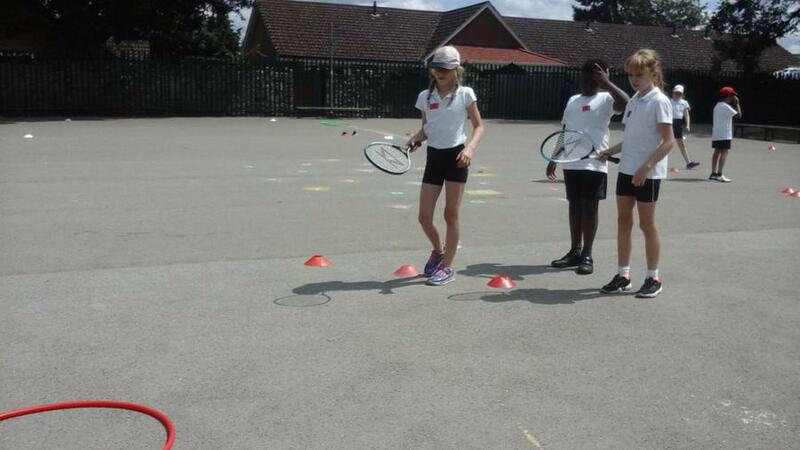 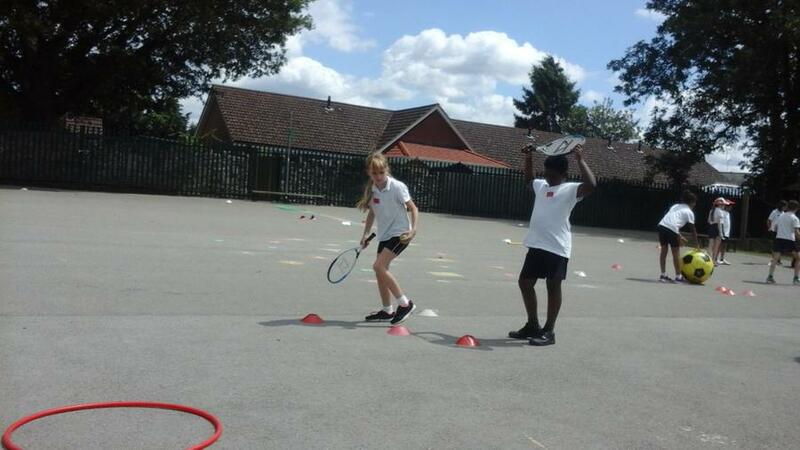 The team worked really well with some excellent coaching from Sam Hodgson. 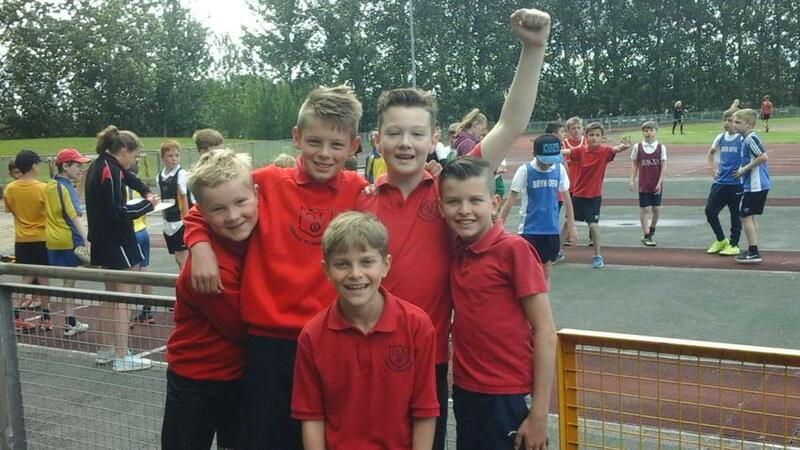 After losing the first two games the team drew against the Meadows and then beat Morda. 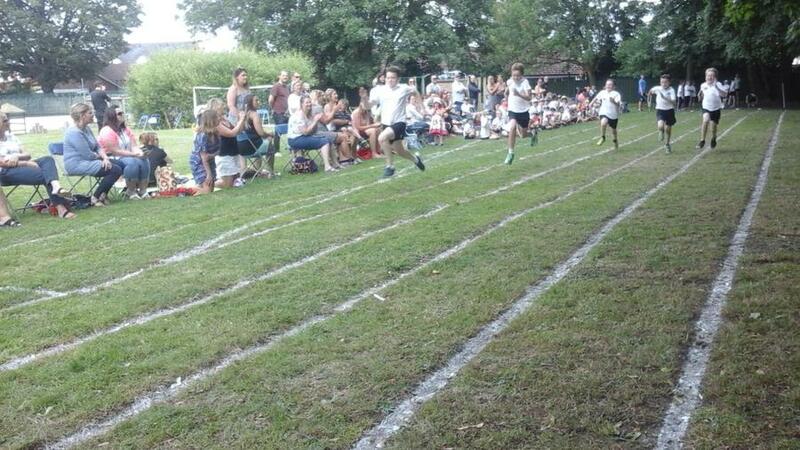 Well done to everyone and a big thanks to Sam Hodgson. 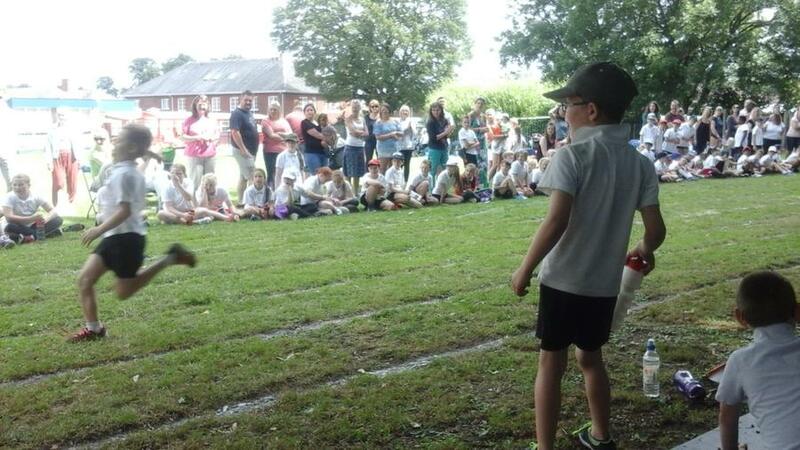 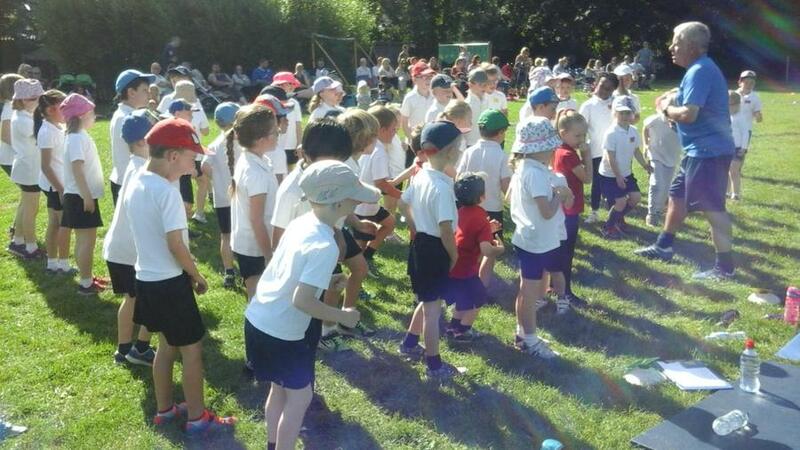 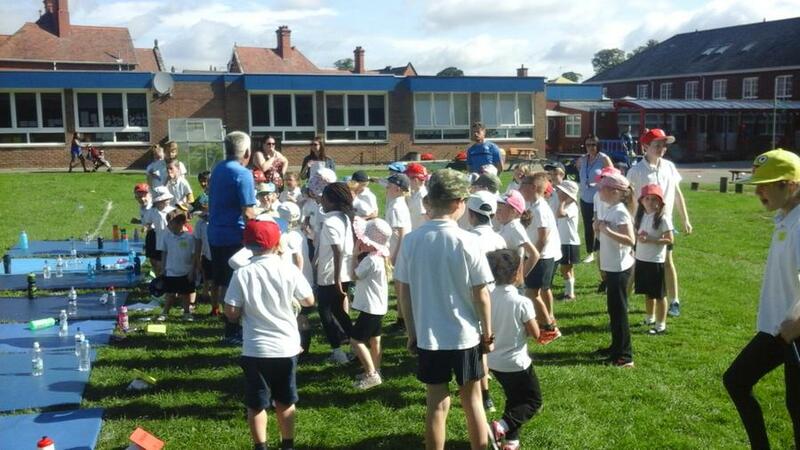 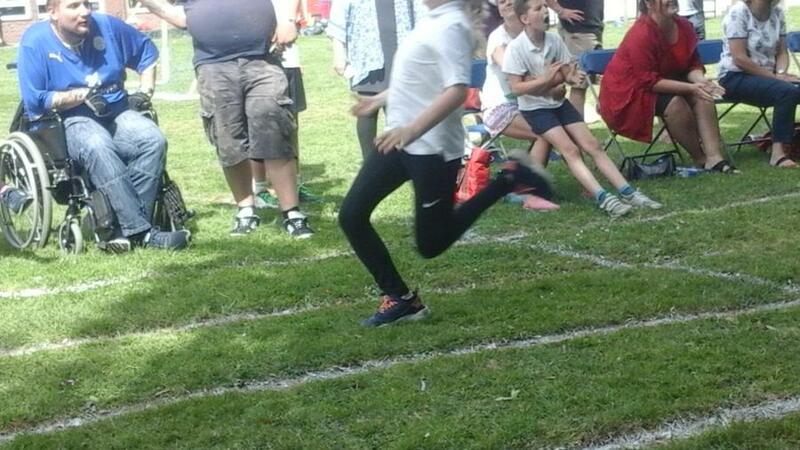 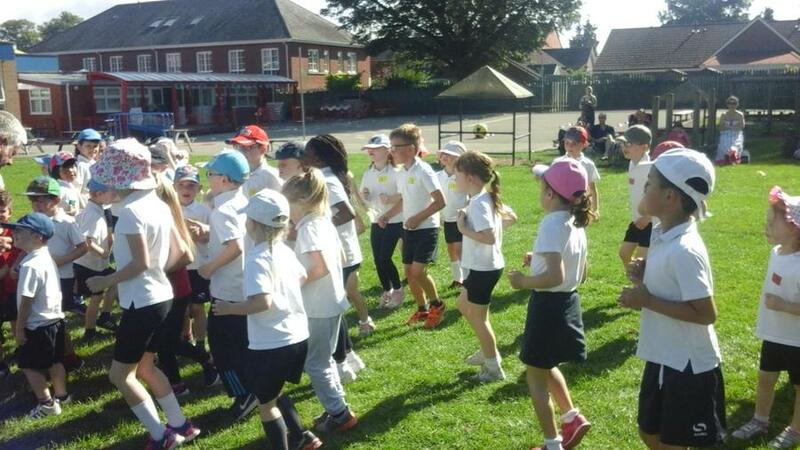 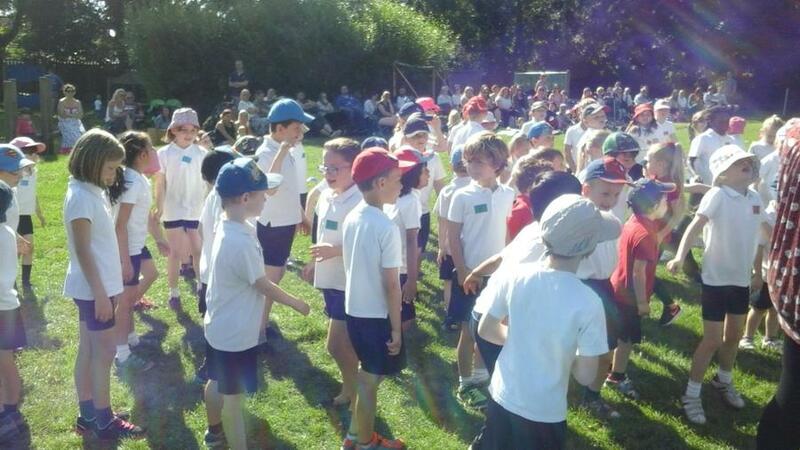 A HUGE WELL DONE TO ALL THOSE WHO ATTENDED THE CROSS COUNTRY EVENTS AT THE MARCHES SCHOOL. 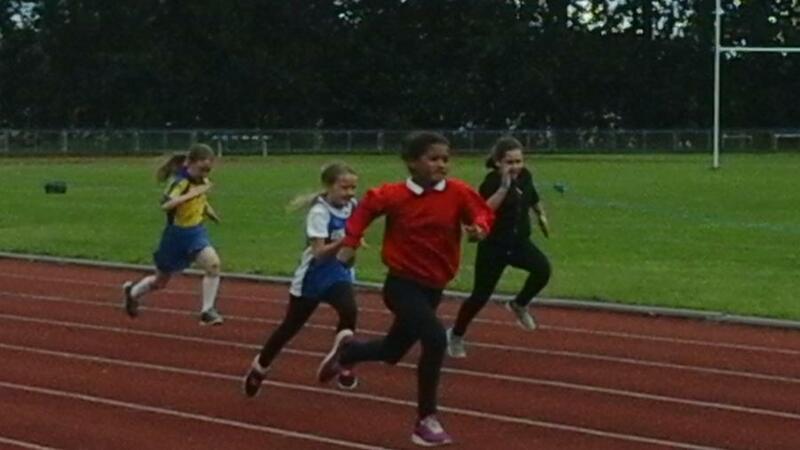 SOME EXCELLENT RUNNING WITH SOME VERY PLEASING RESULTS! 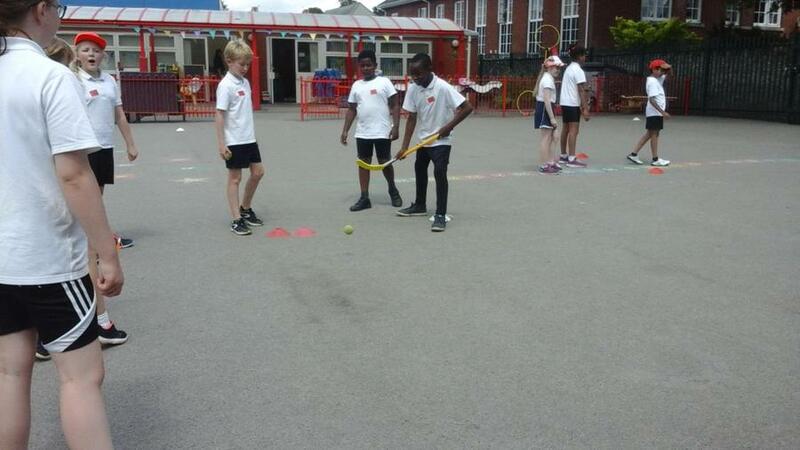 The team all worked really hard to win both their games in the first round against Cockshutt and Whittington taking them into the semi-final against Bellan House. 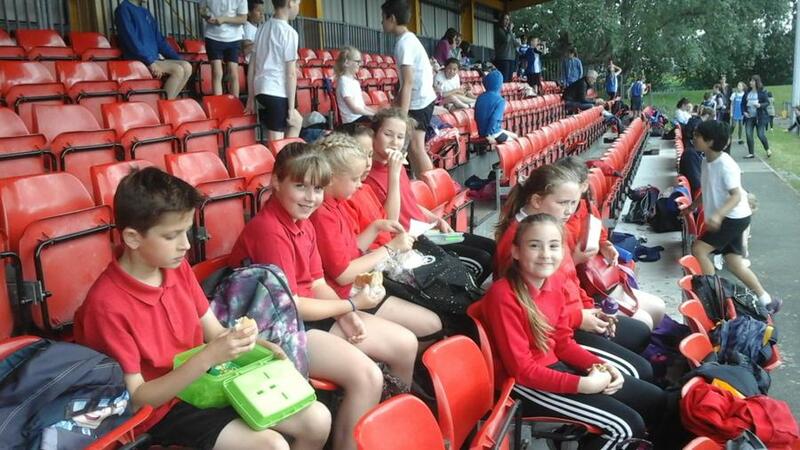 The team continued to play well but suffered a last minute unlucky goal from Bellan. 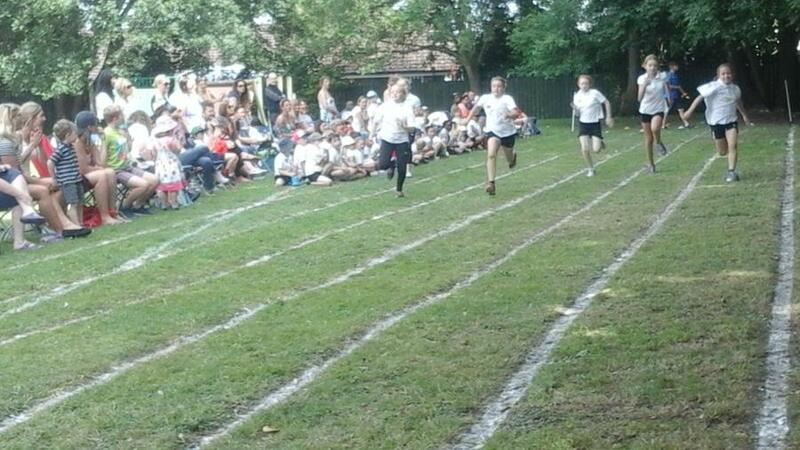 Well done everyone a very good effort from all involved and thank you to Mr Bell for coming to support us. 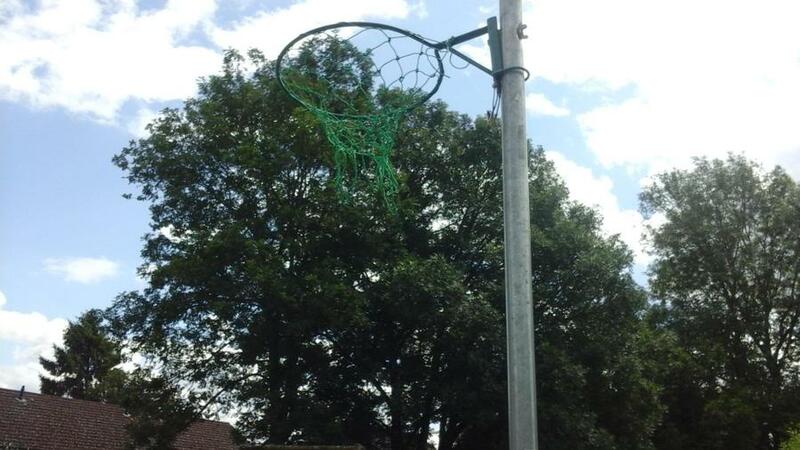 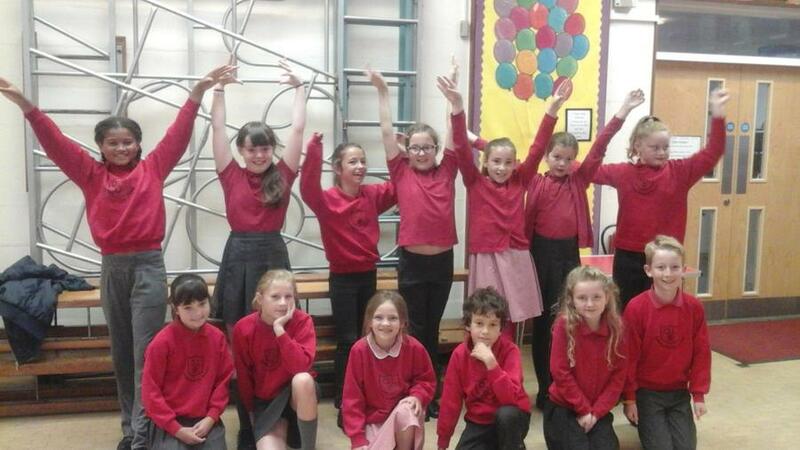 CONGRATULATIONS TO OUR SCHOOL NETBALL TEAM FOR THEIR AMAZING WIN AT THE OSWESTRY SCHOOL NETBALL TOURNAMENT! 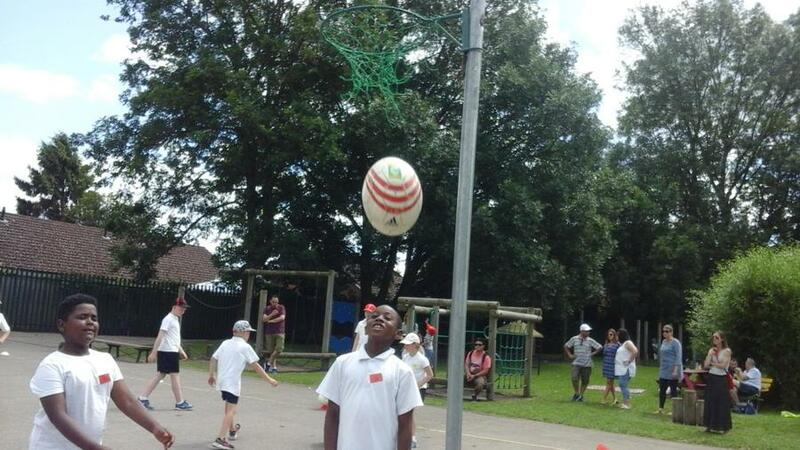 The team got off to a slow start losing against St Mary's, but soon picked up the pace with wins against Bellan House and Whittington taking them into the final to face St Mary's again. 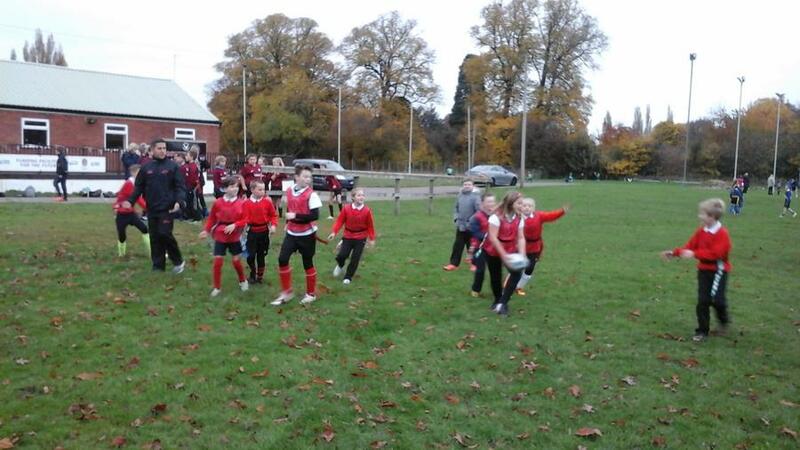 It was a very exciting match with end to end goals until the final whistle blew with Our Lady's winning 6-5. 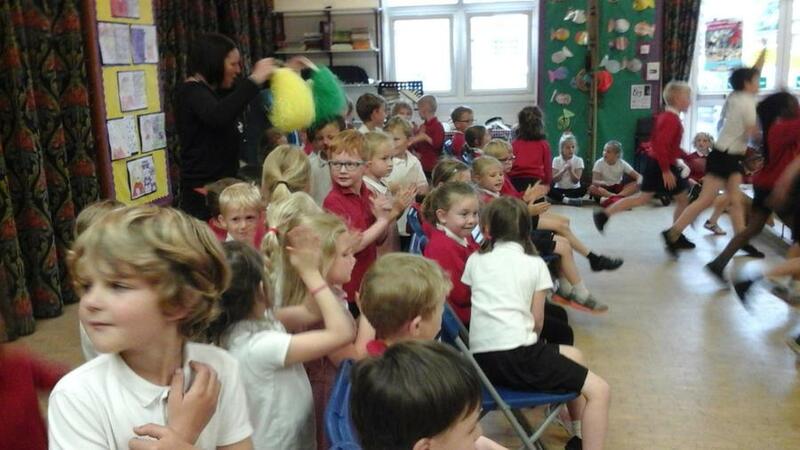 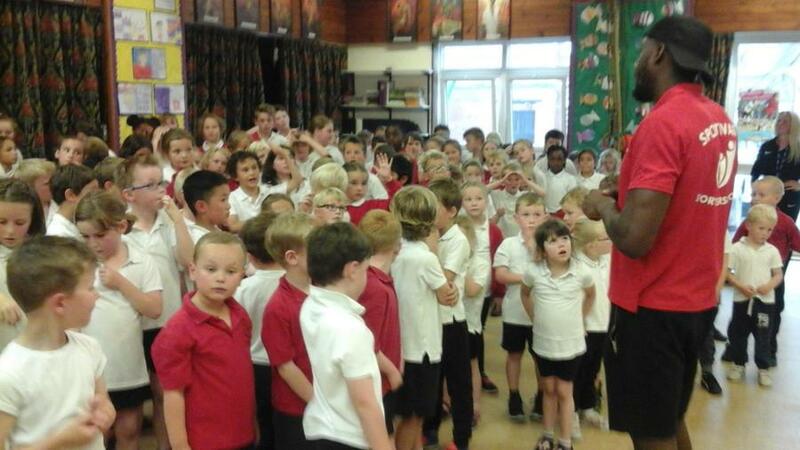 A brilliant start to the new school year, well done all!